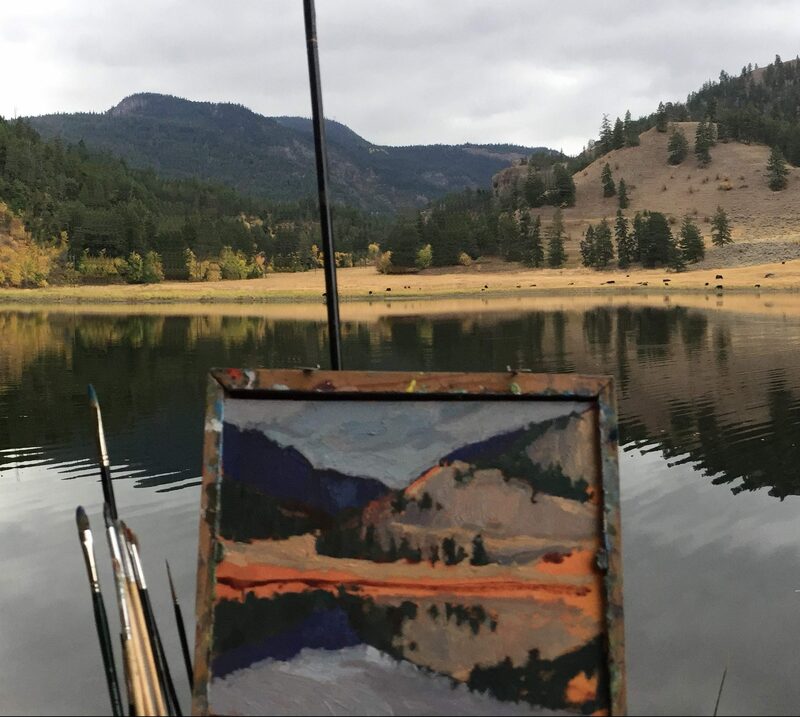 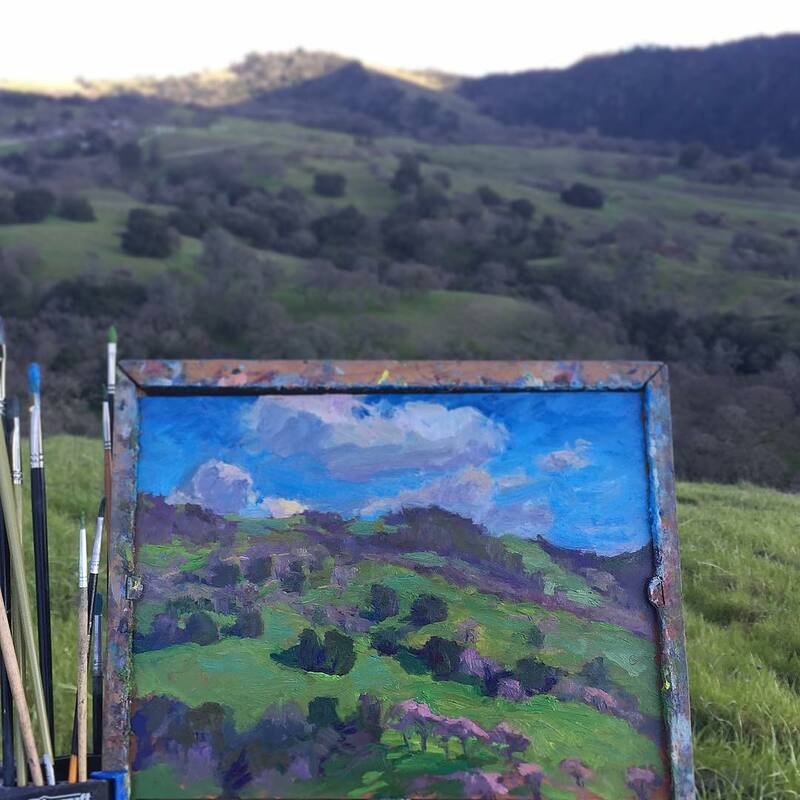 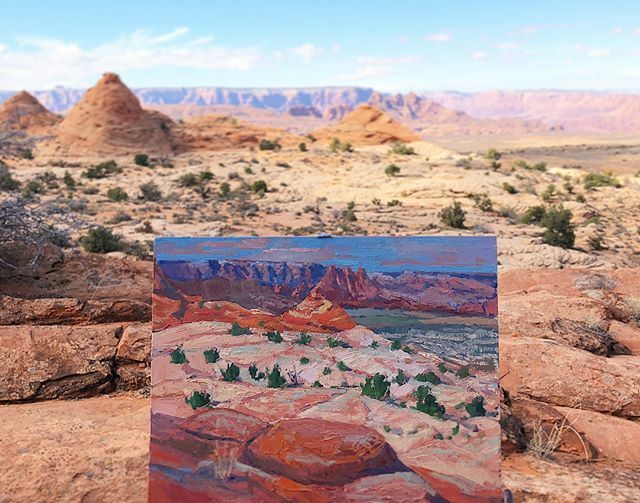 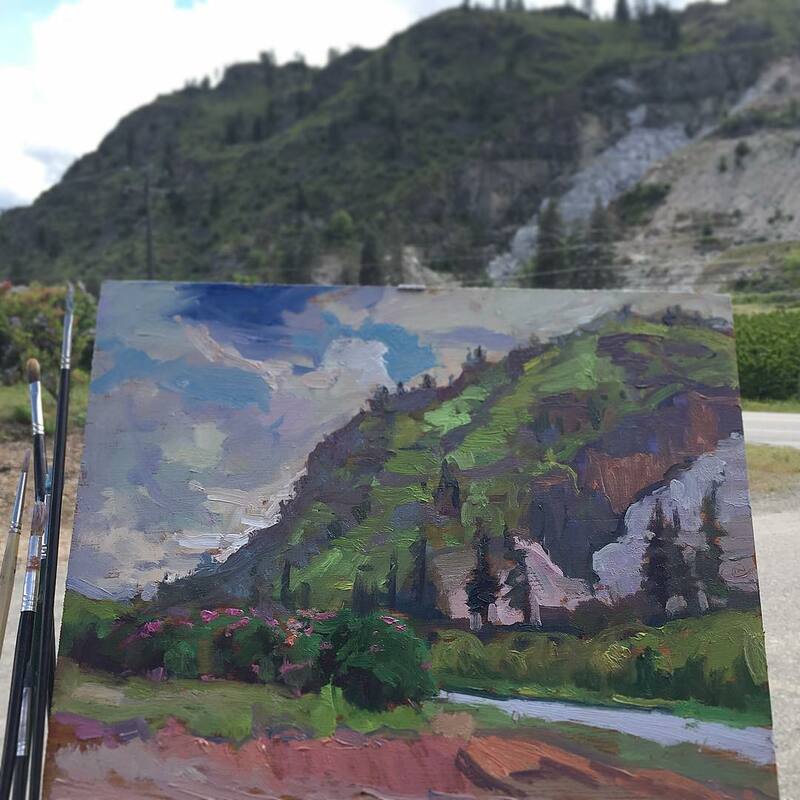 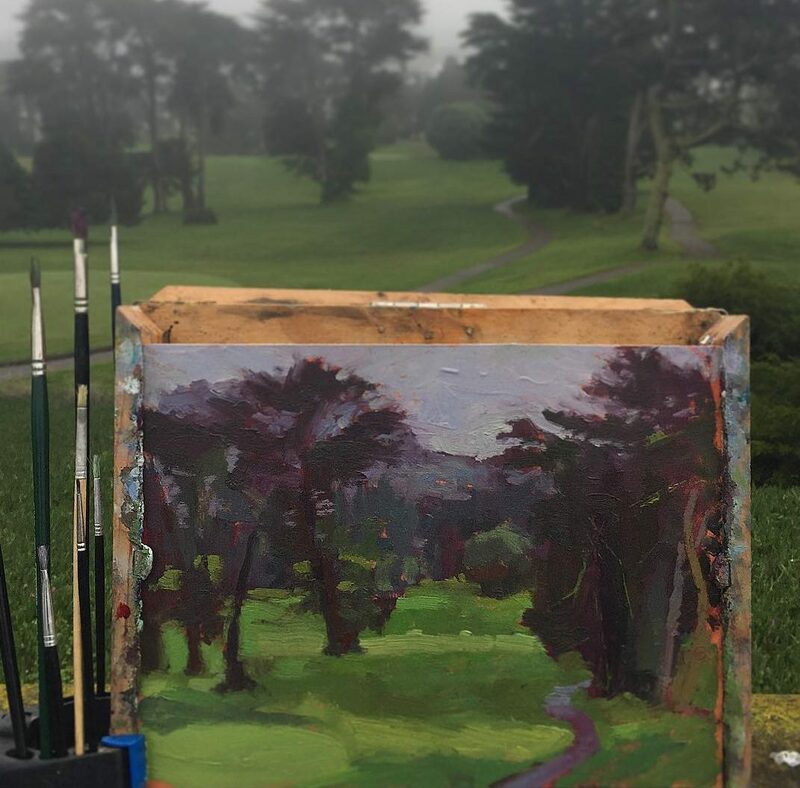 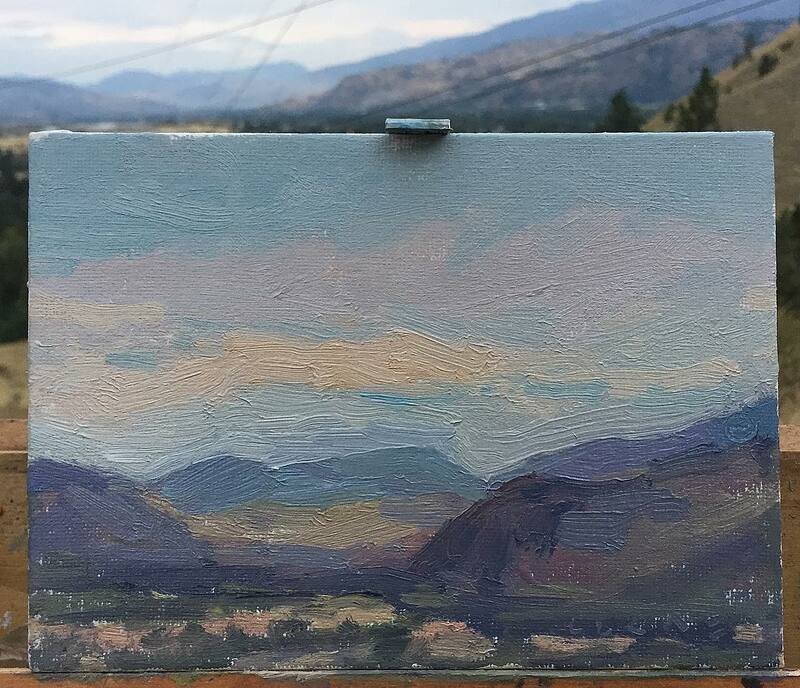 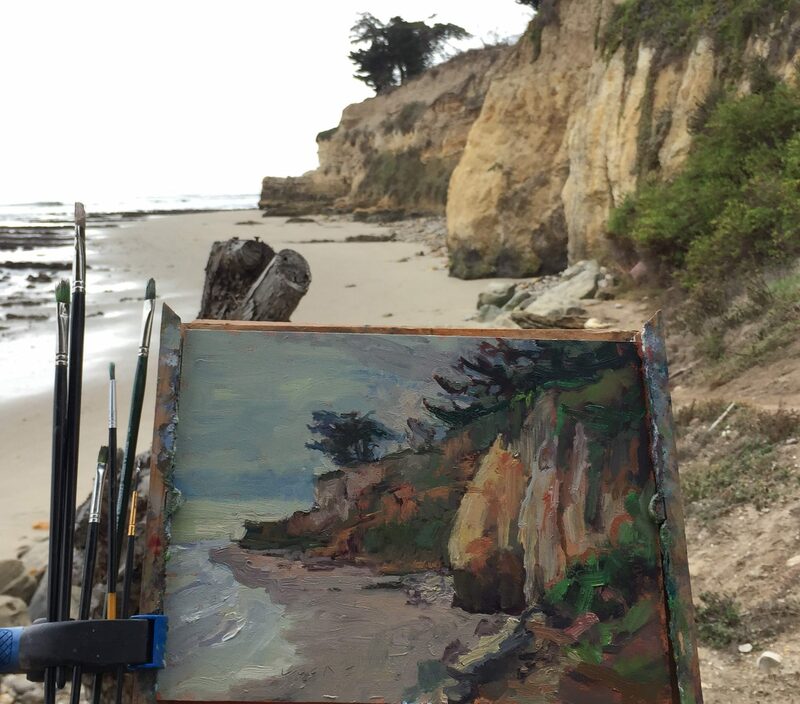 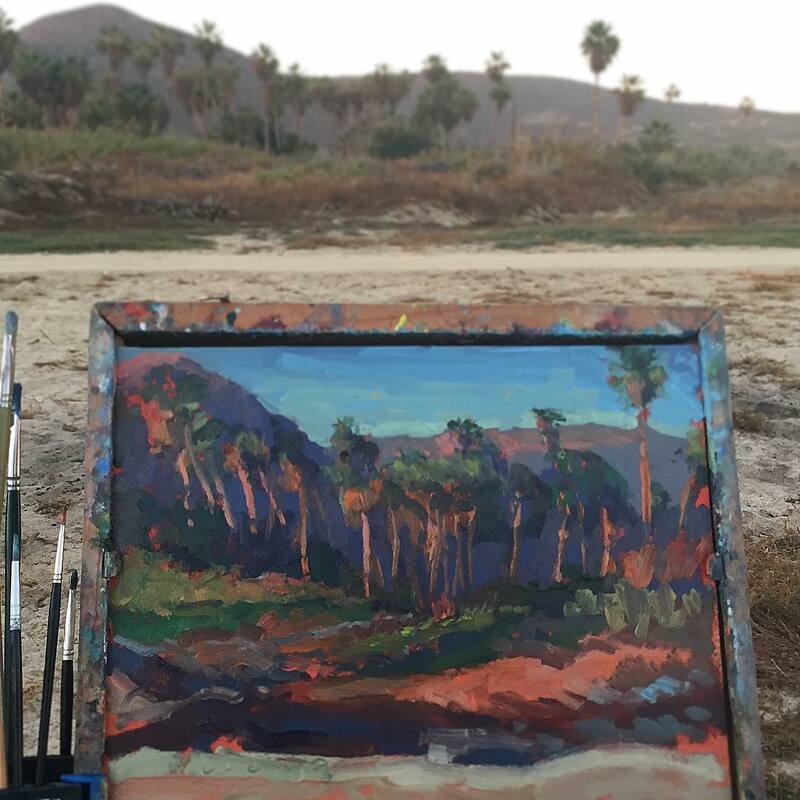 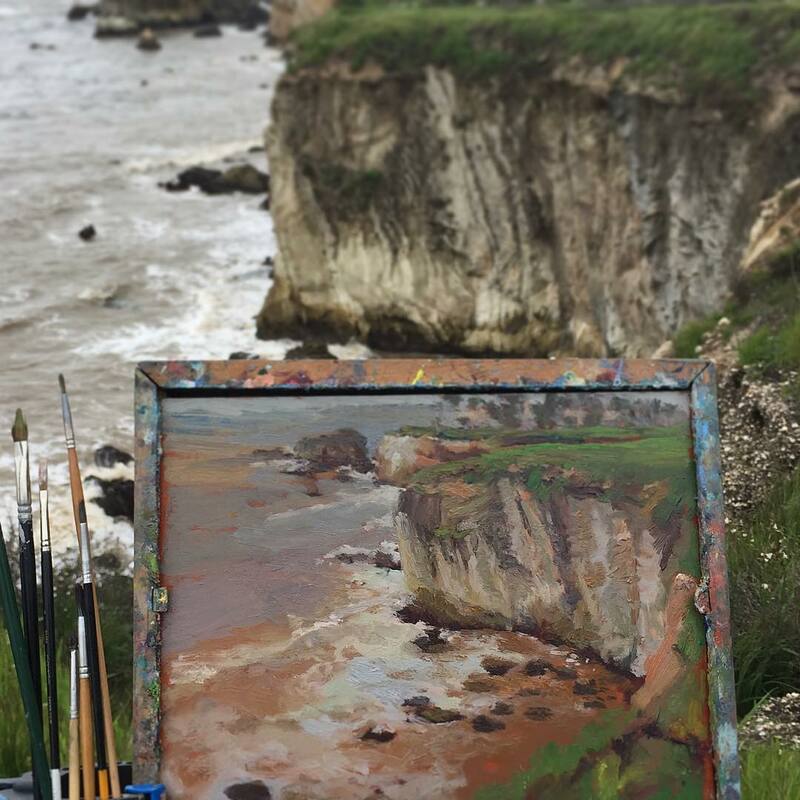 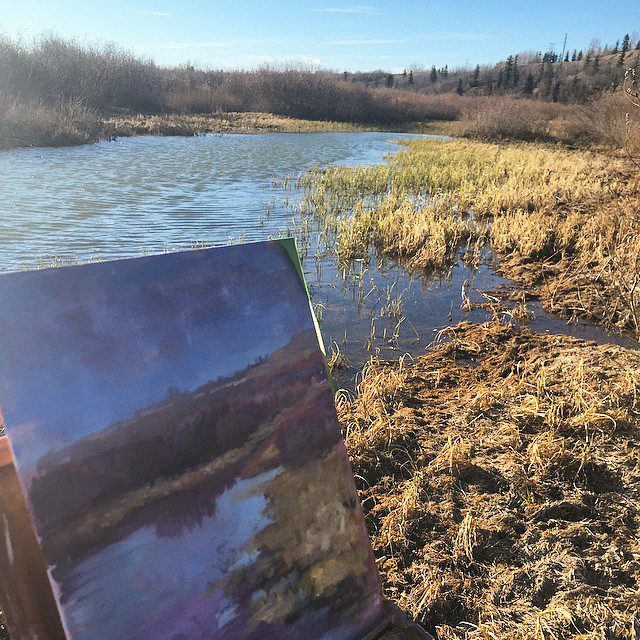 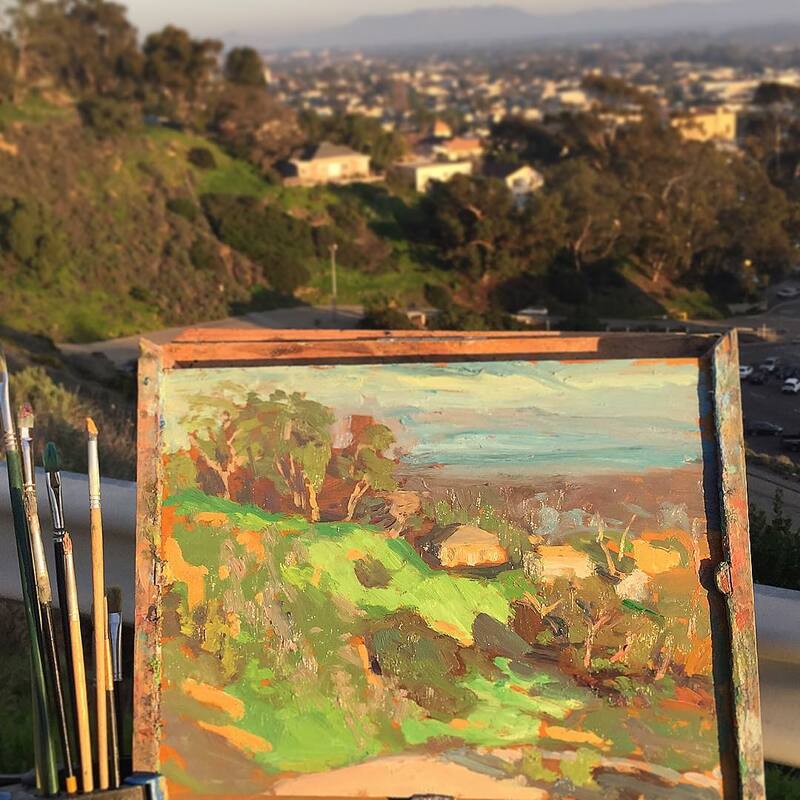 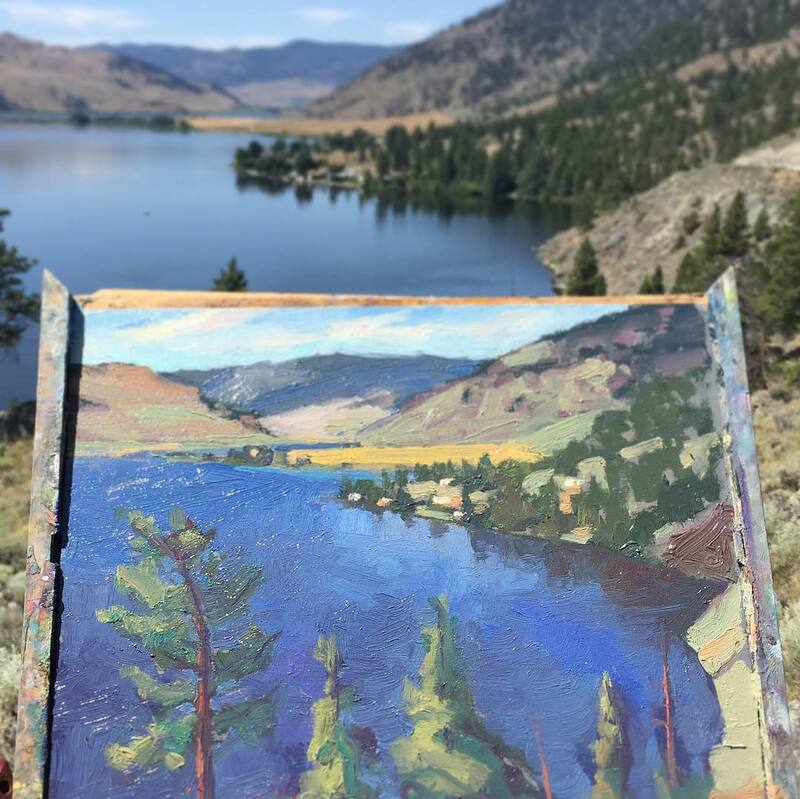 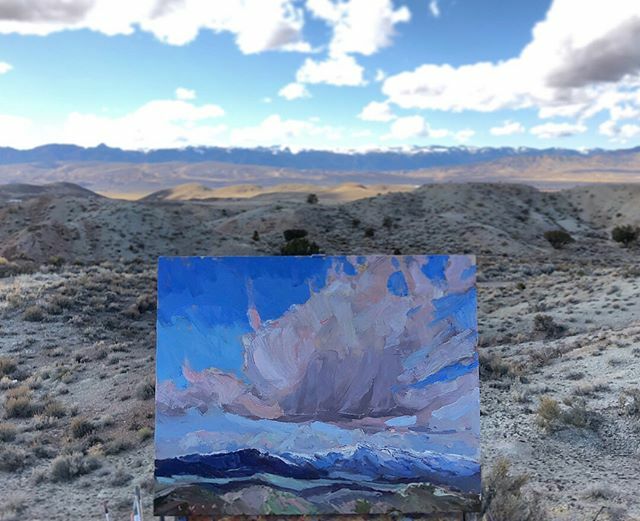 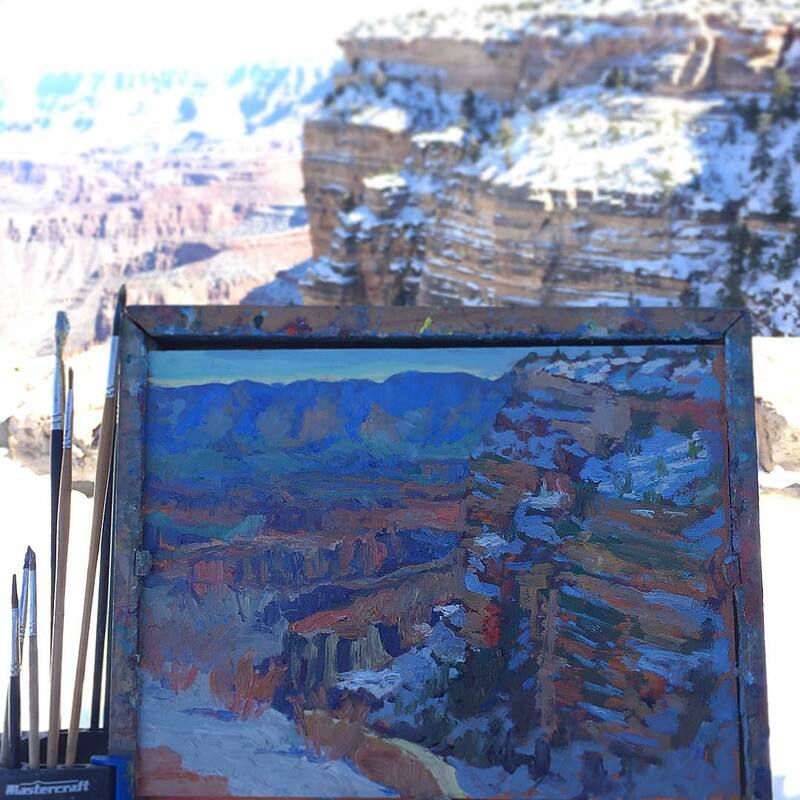 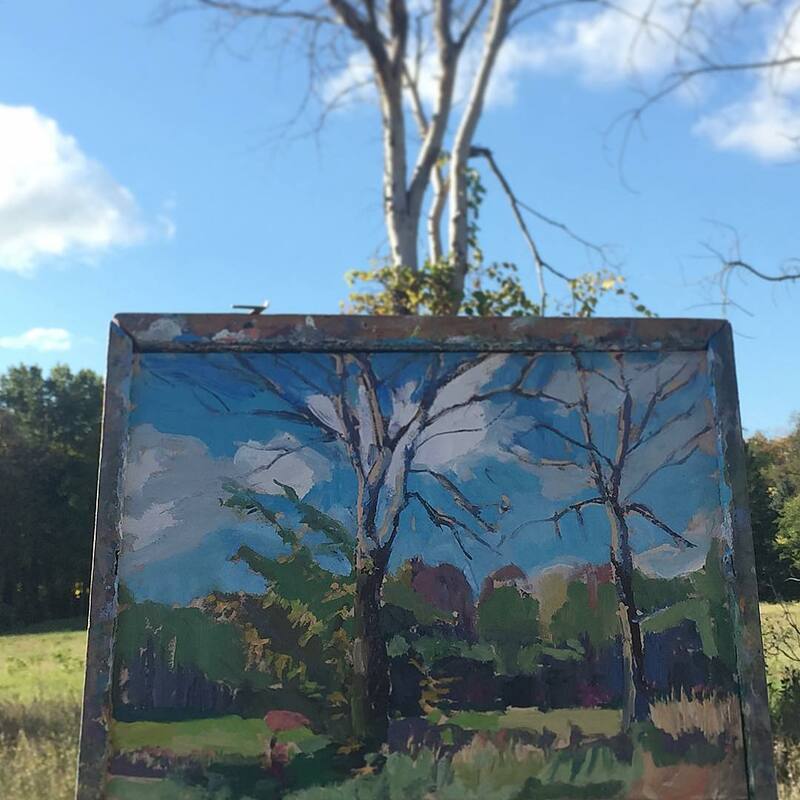 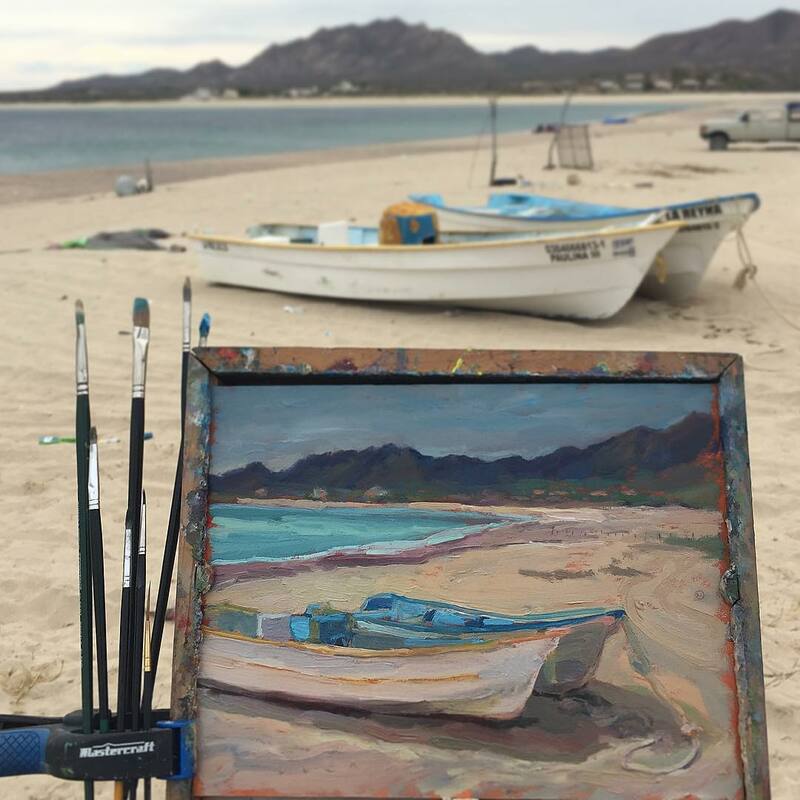 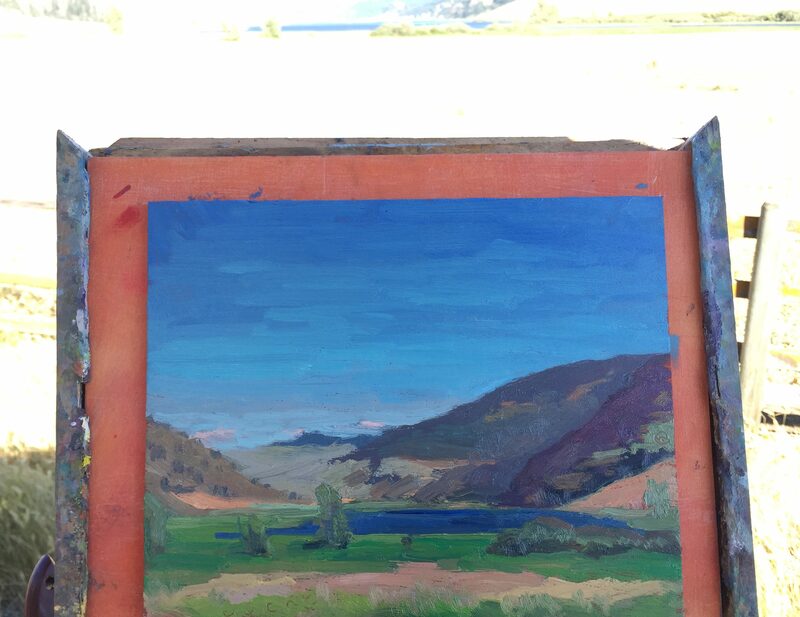 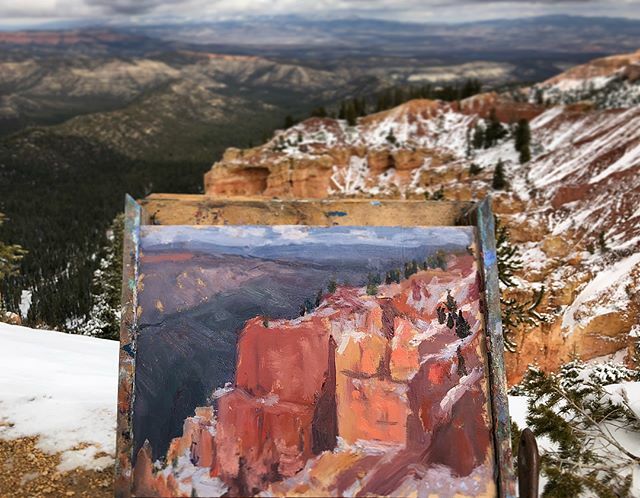 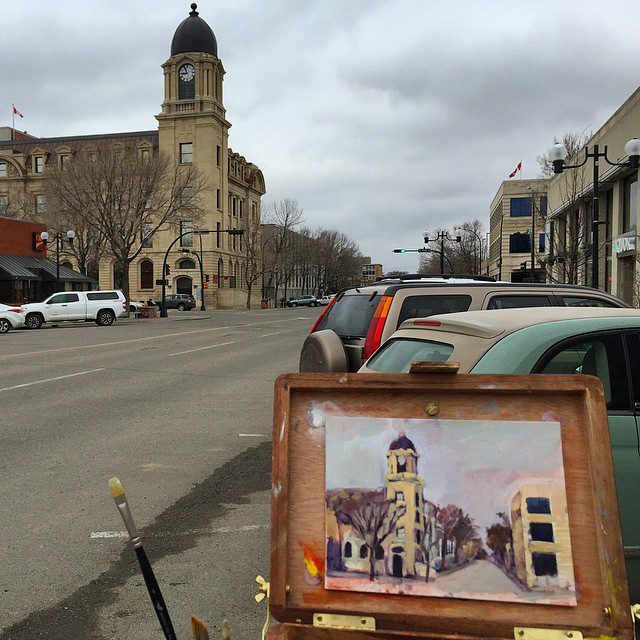 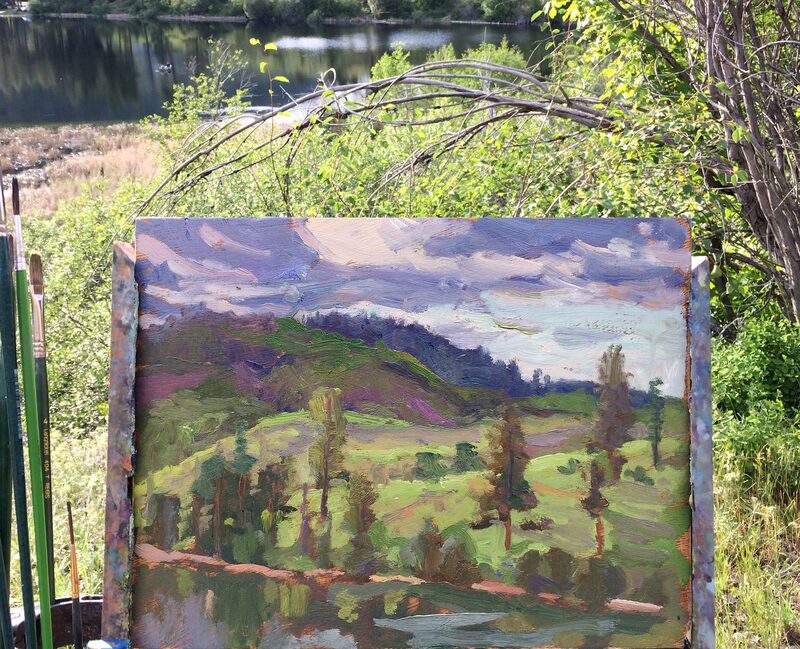 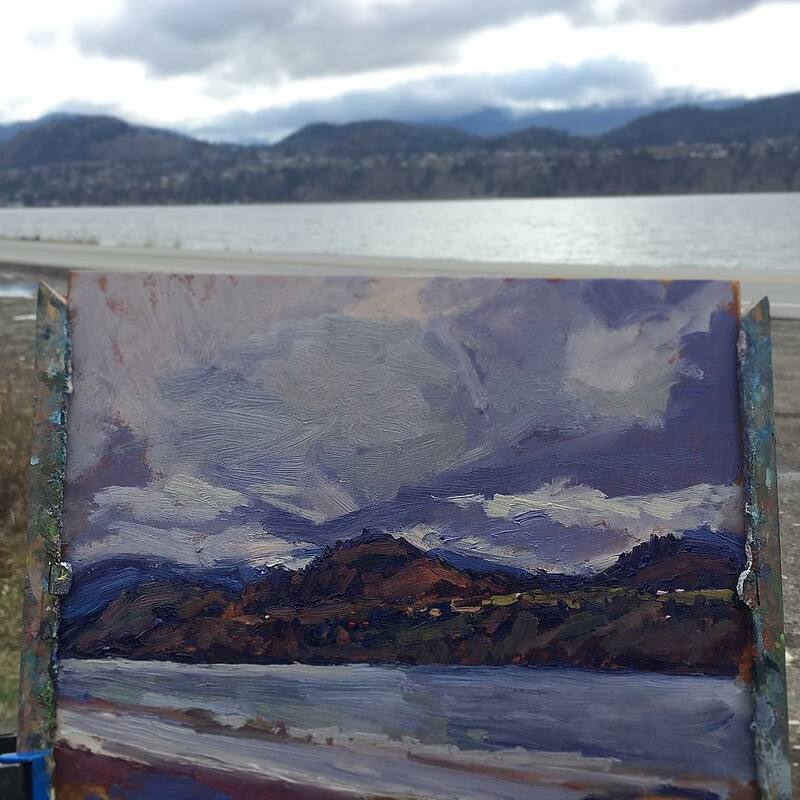 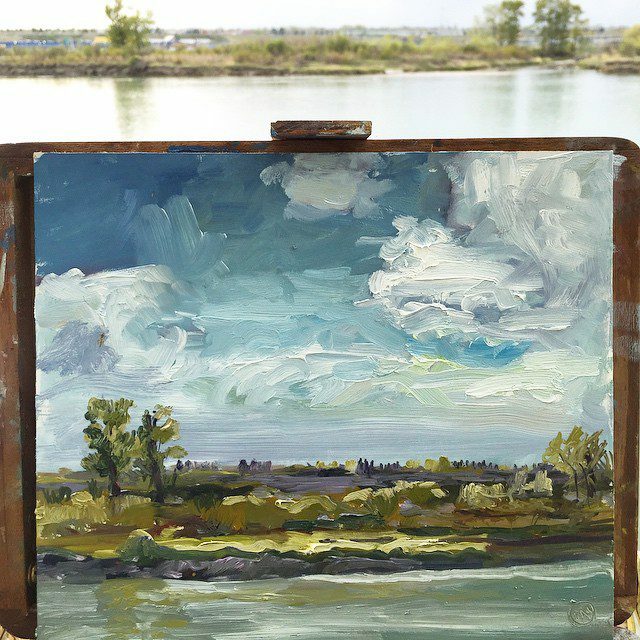 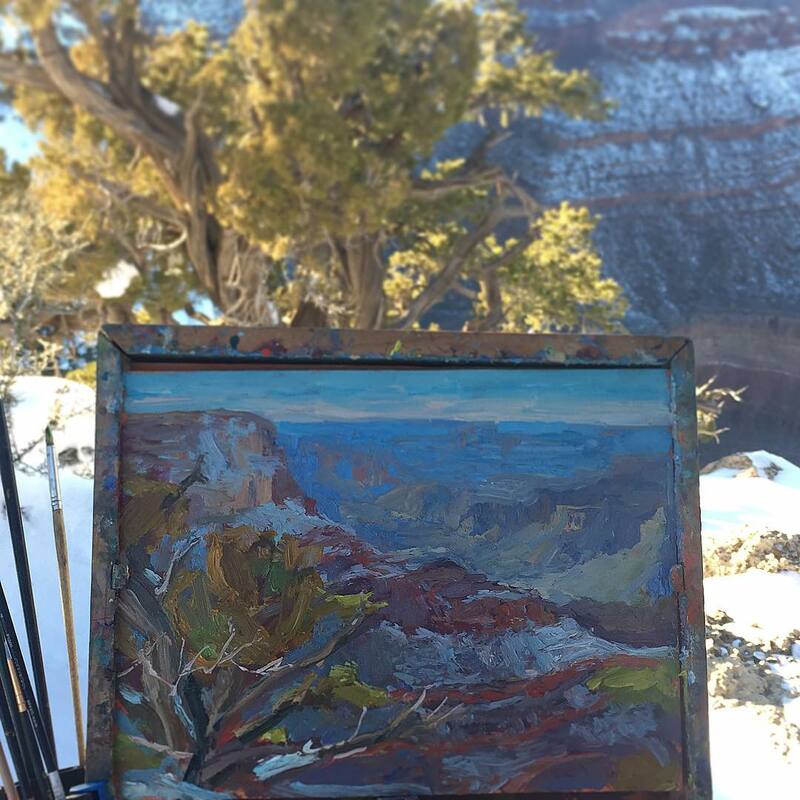 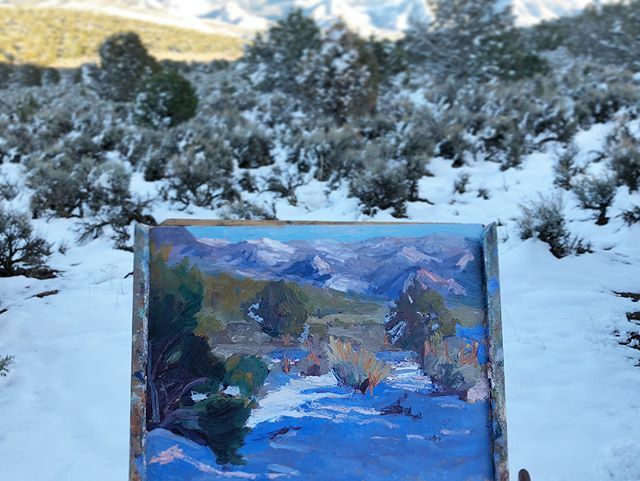 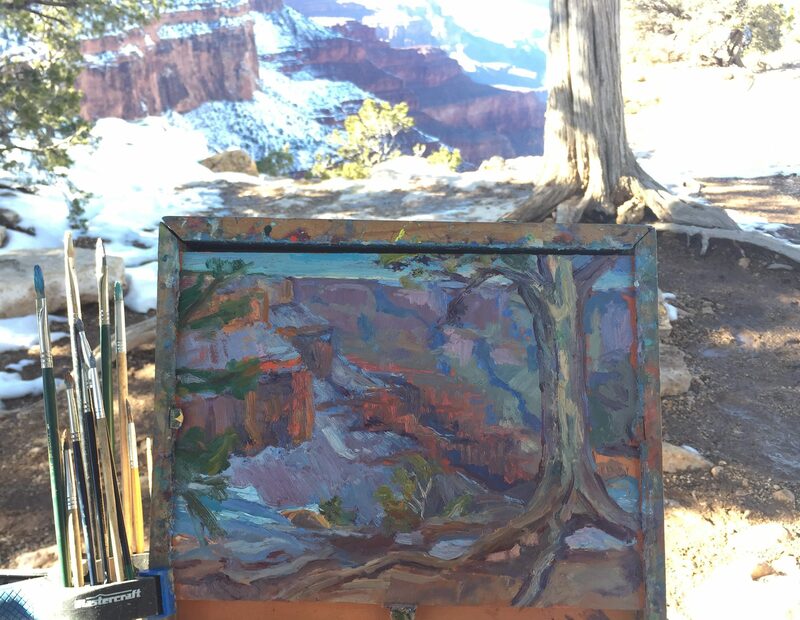 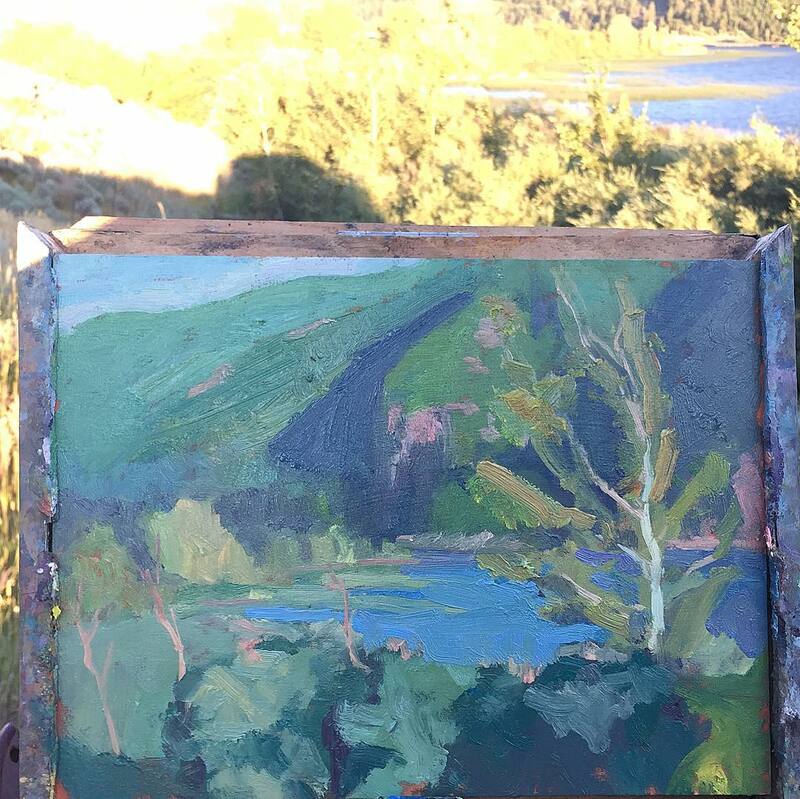 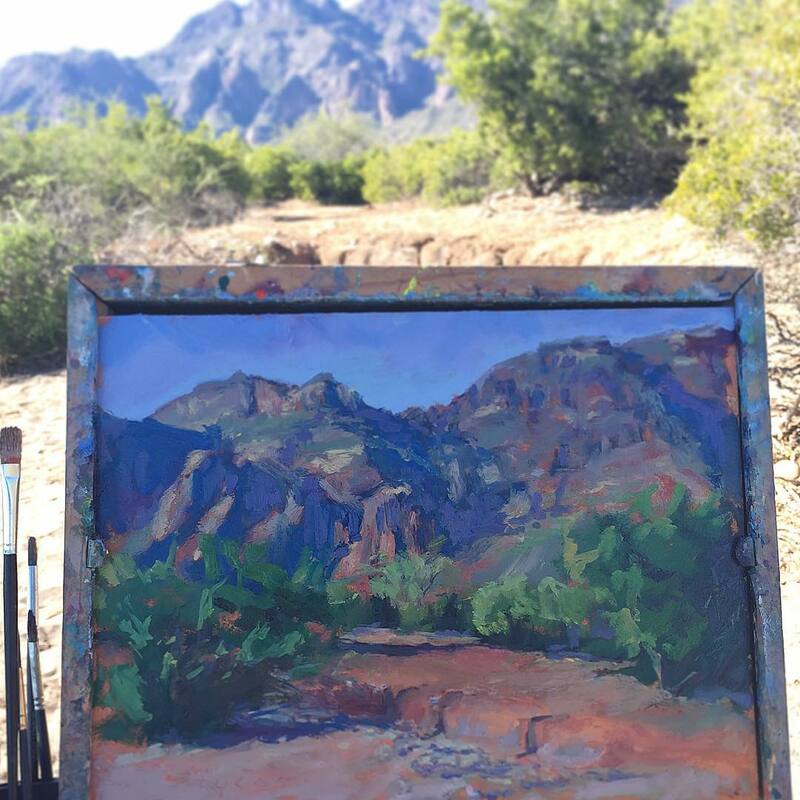 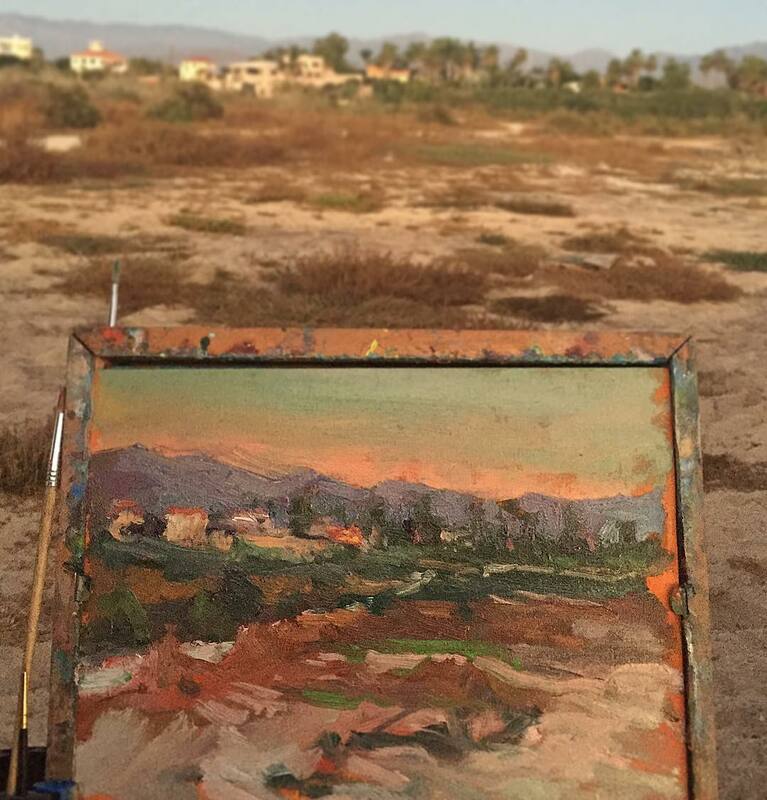 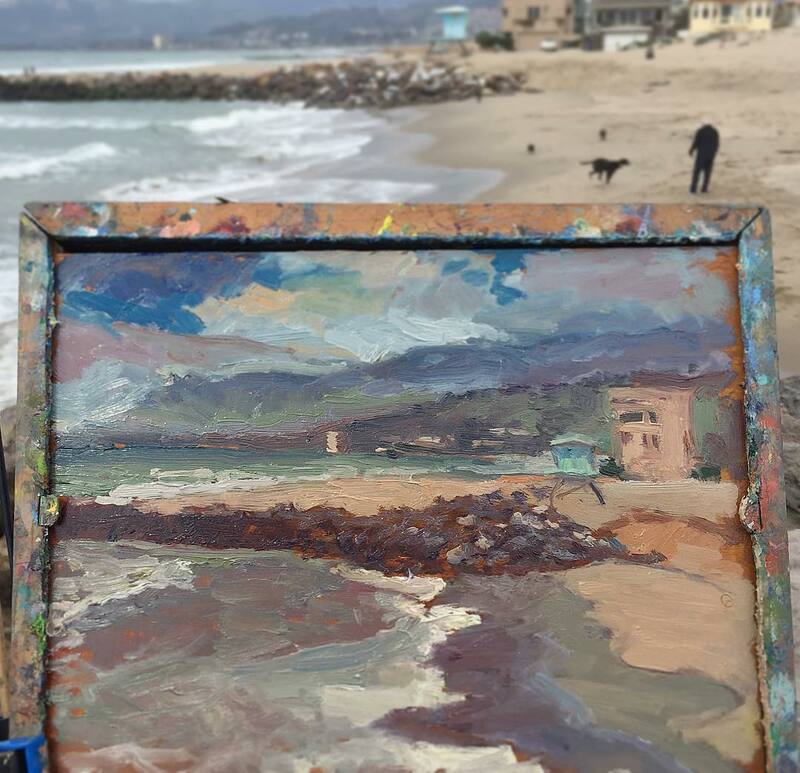 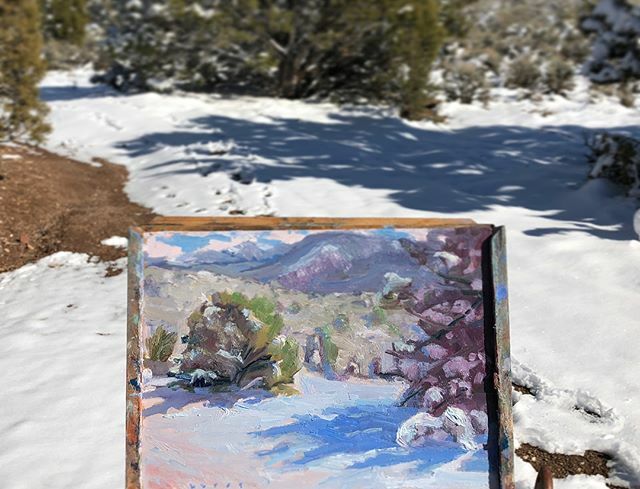 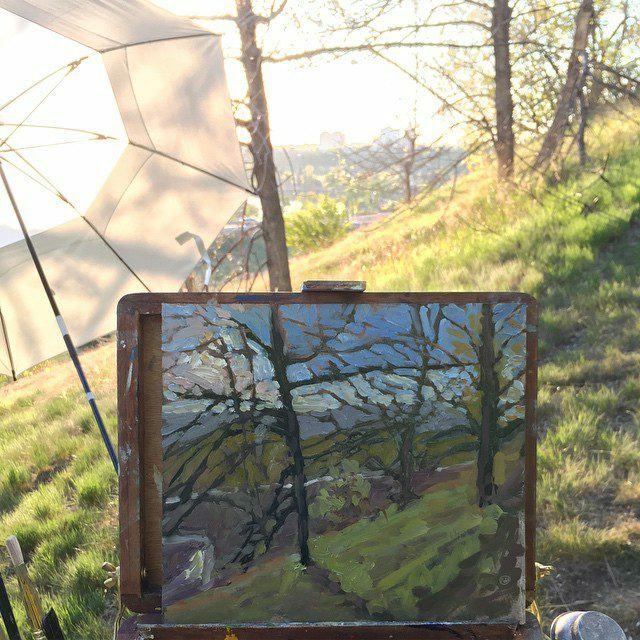 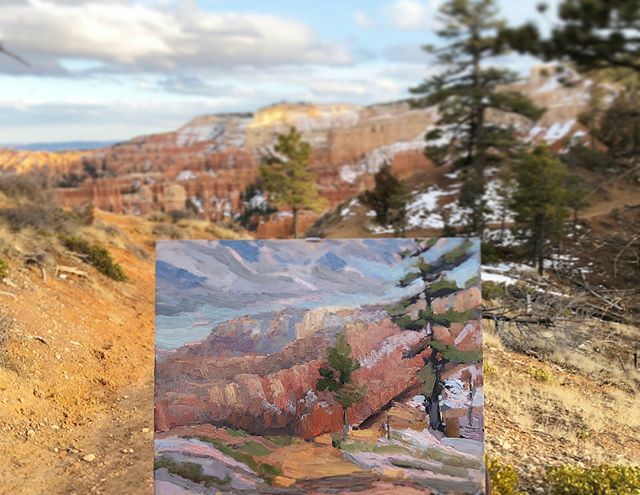 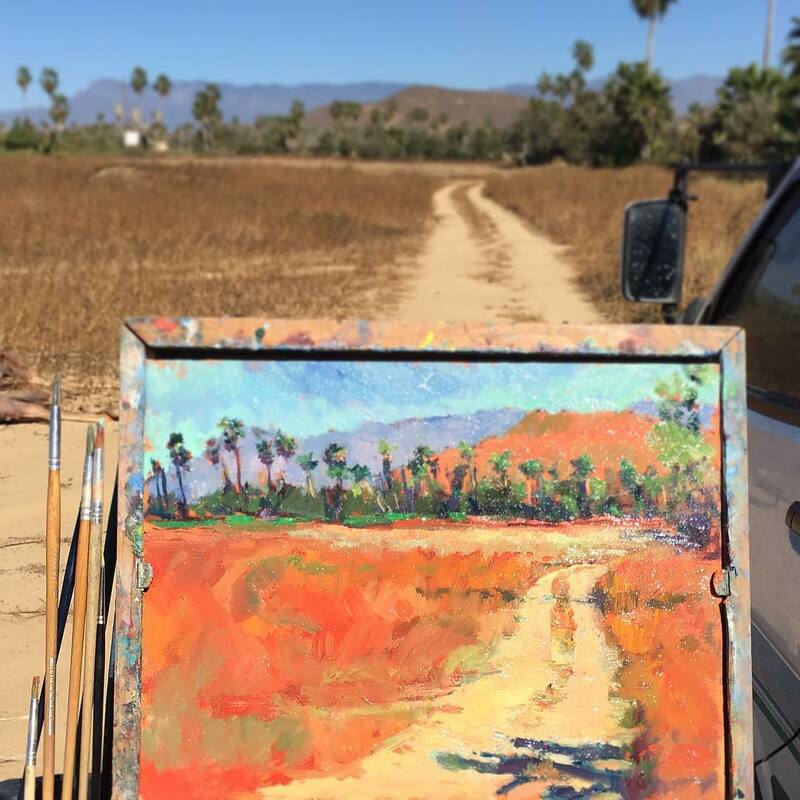 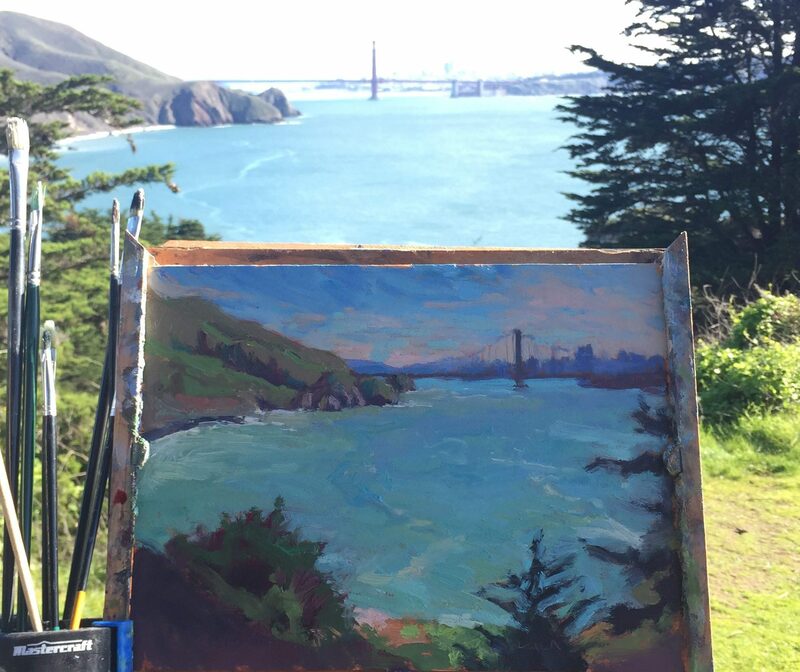 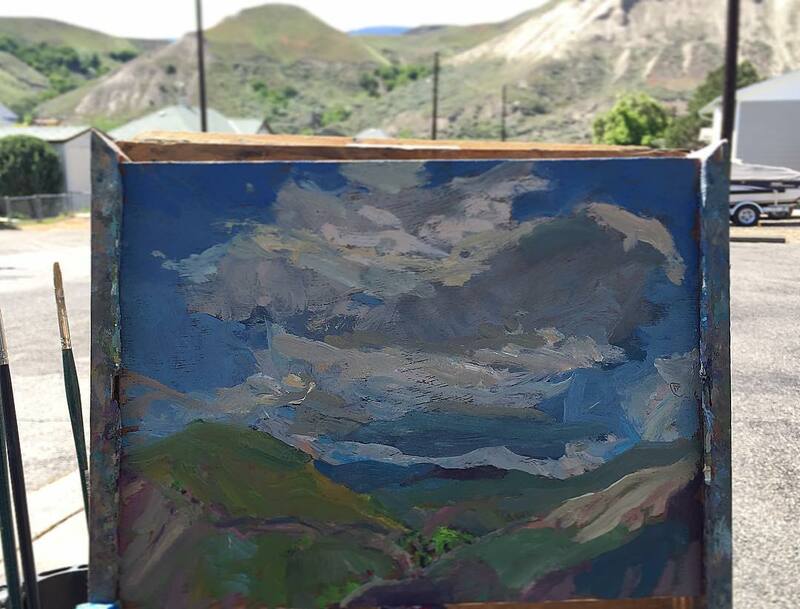 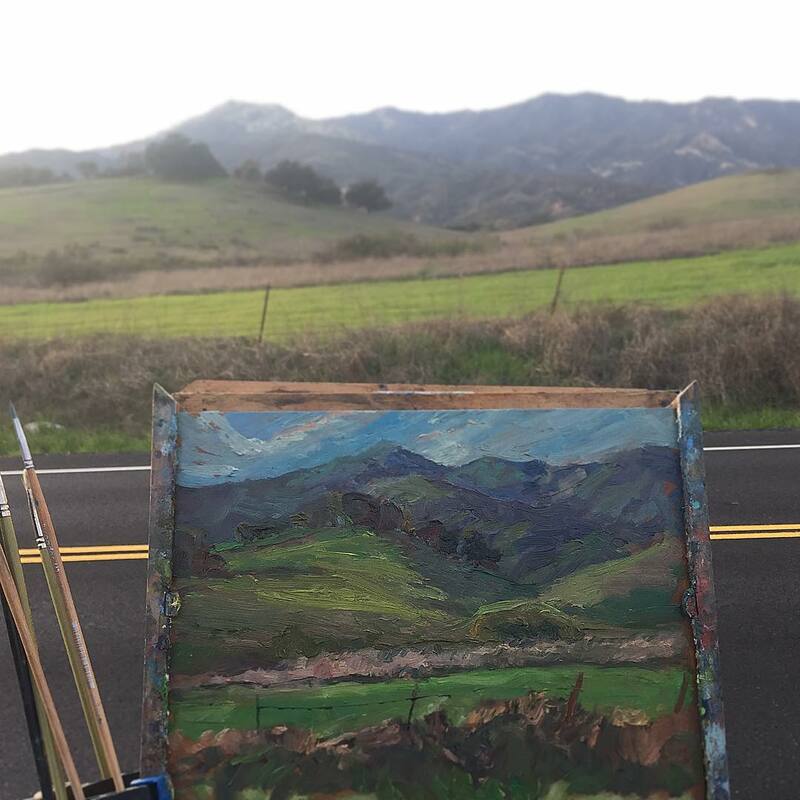 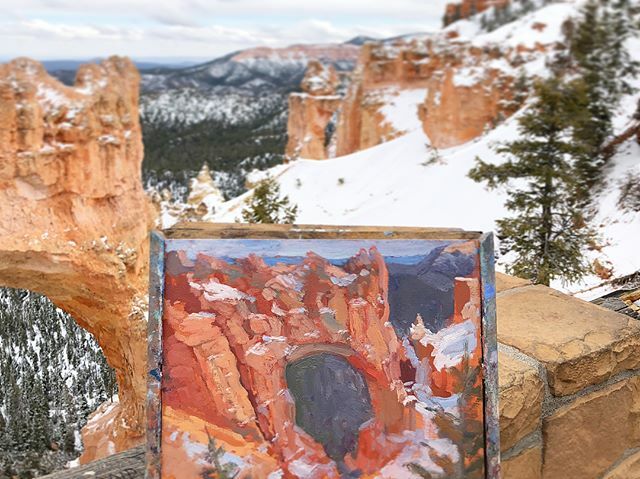 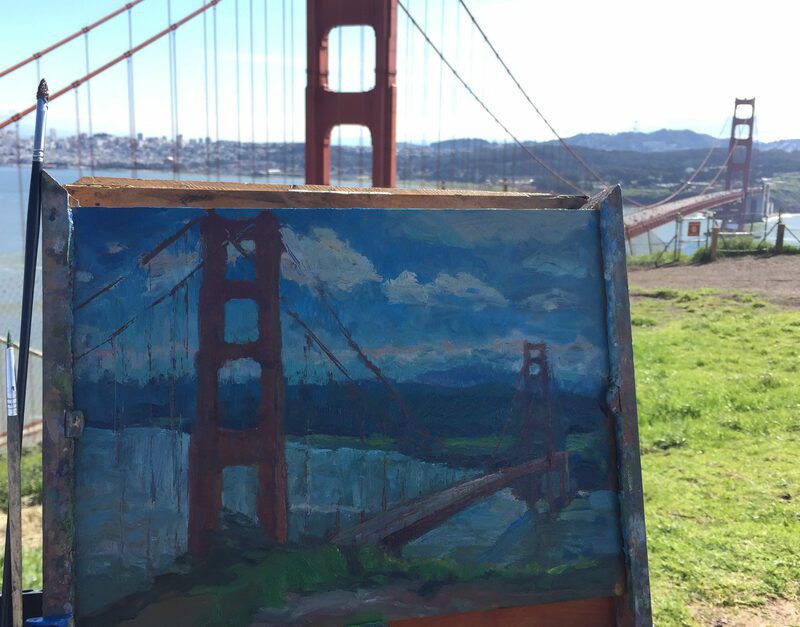 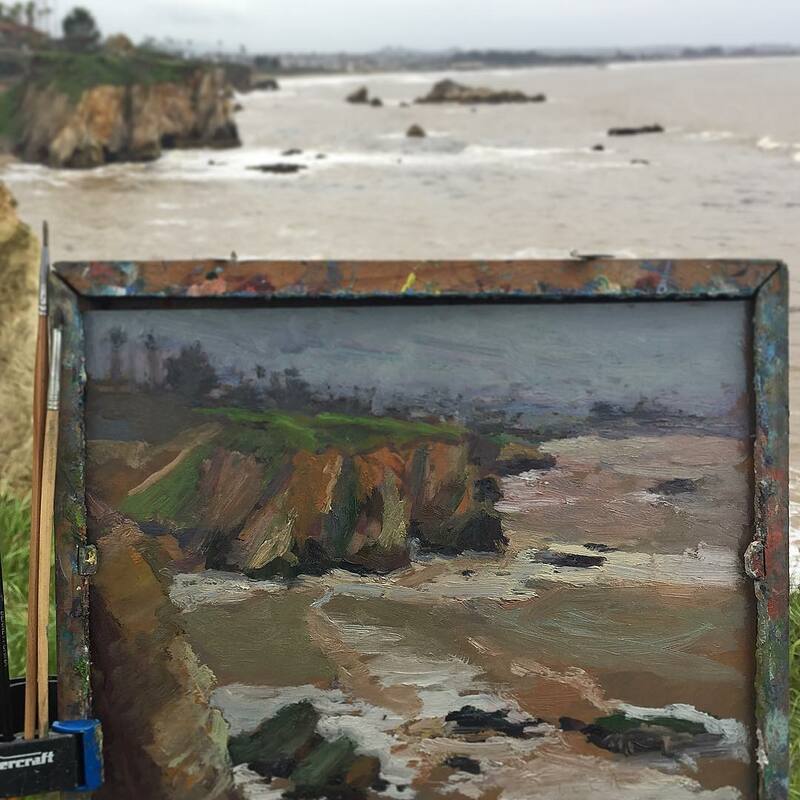 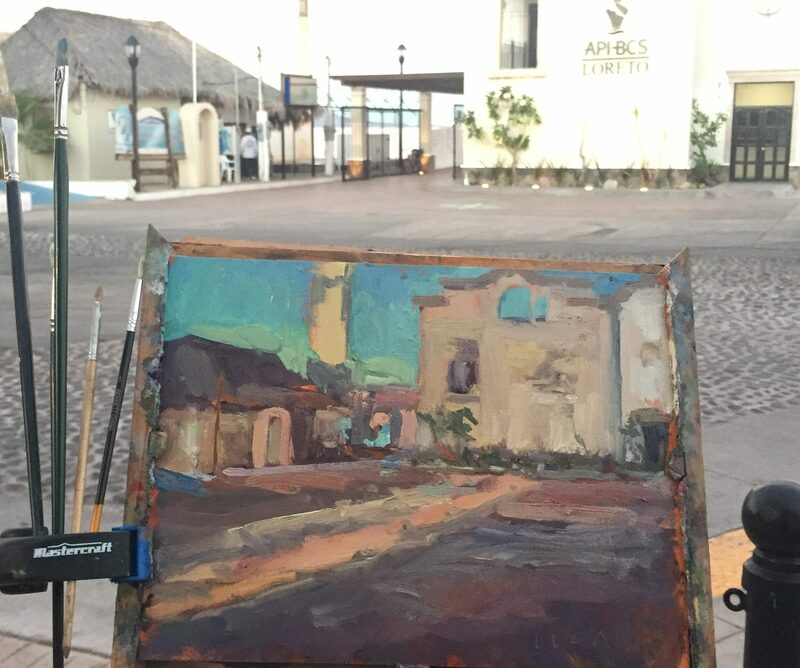 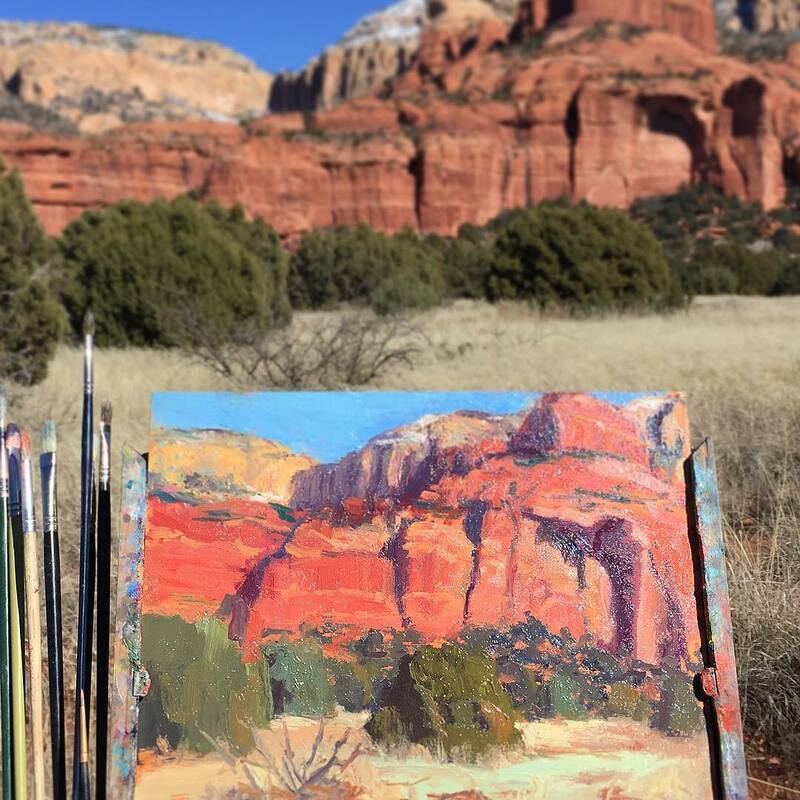 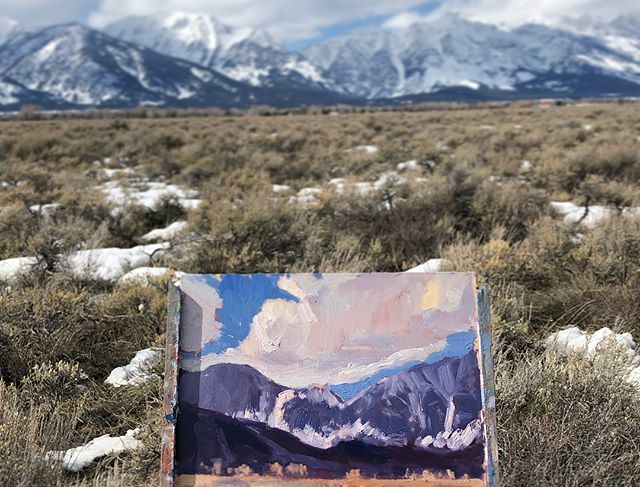 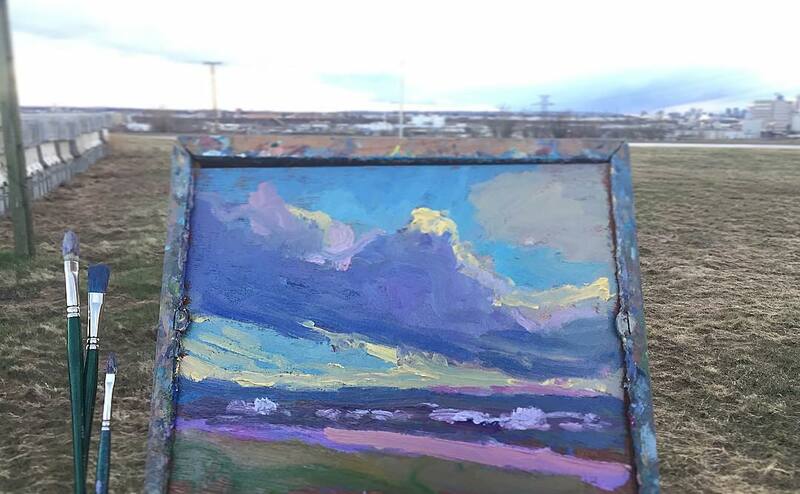 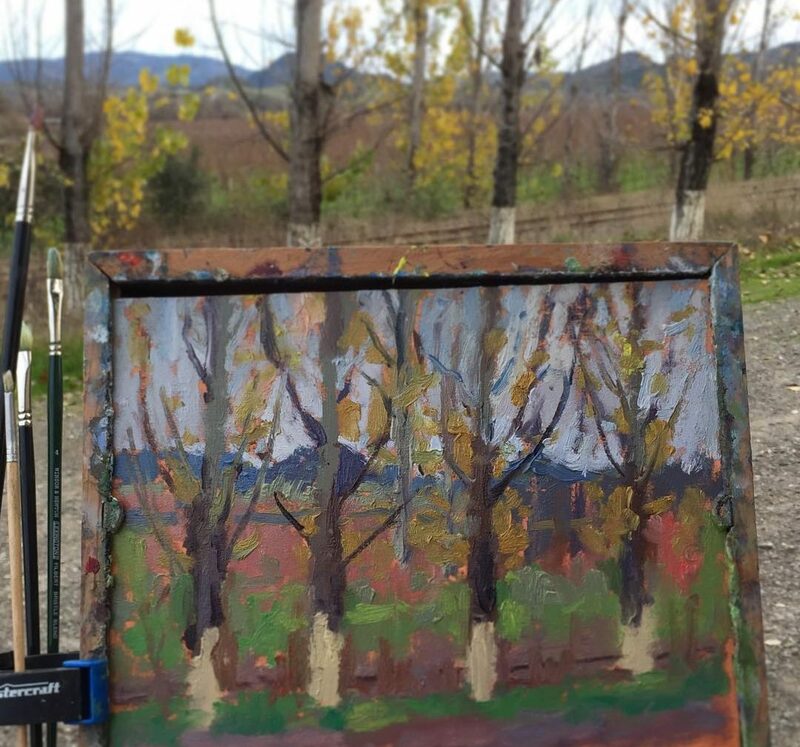 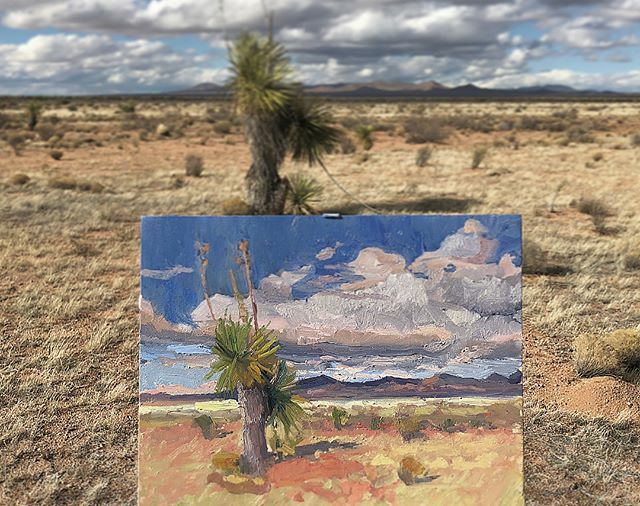 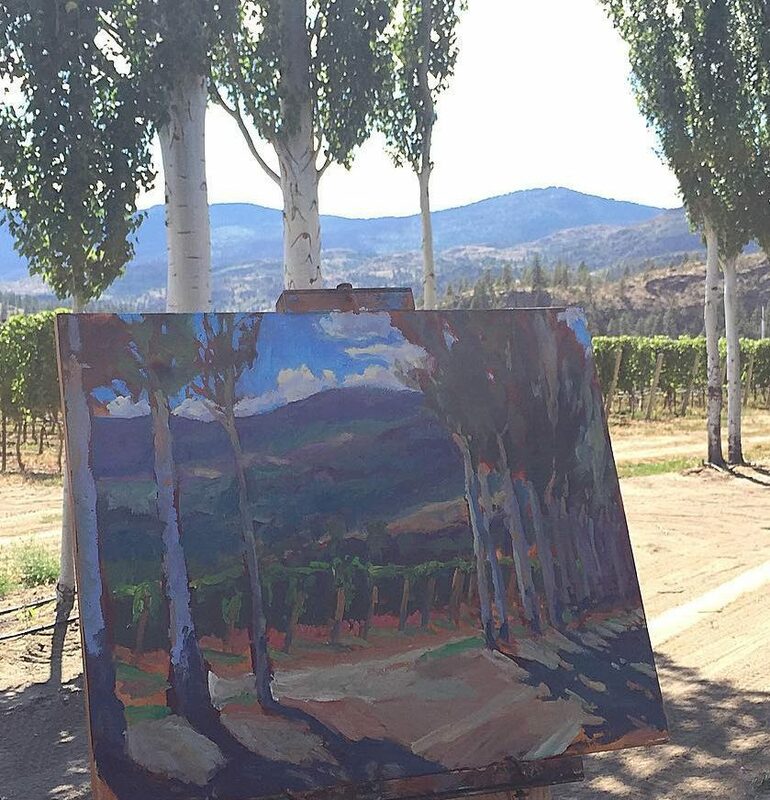 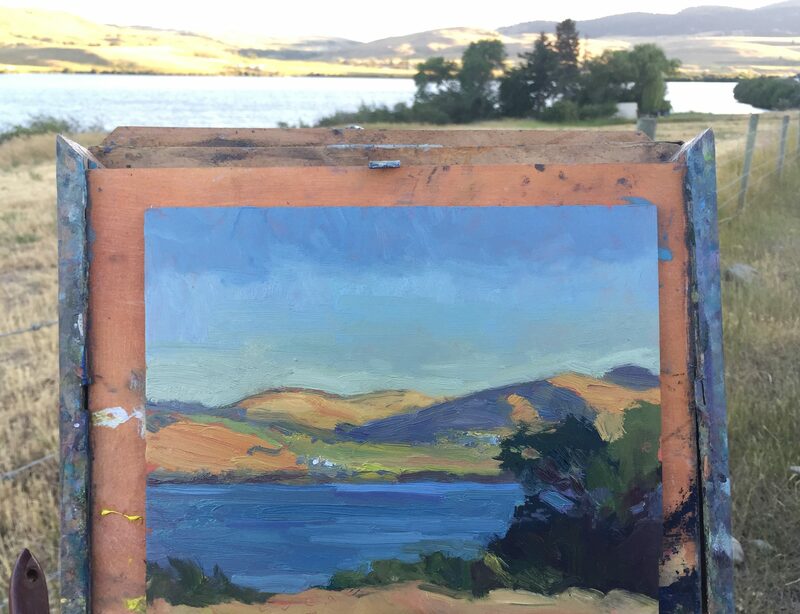 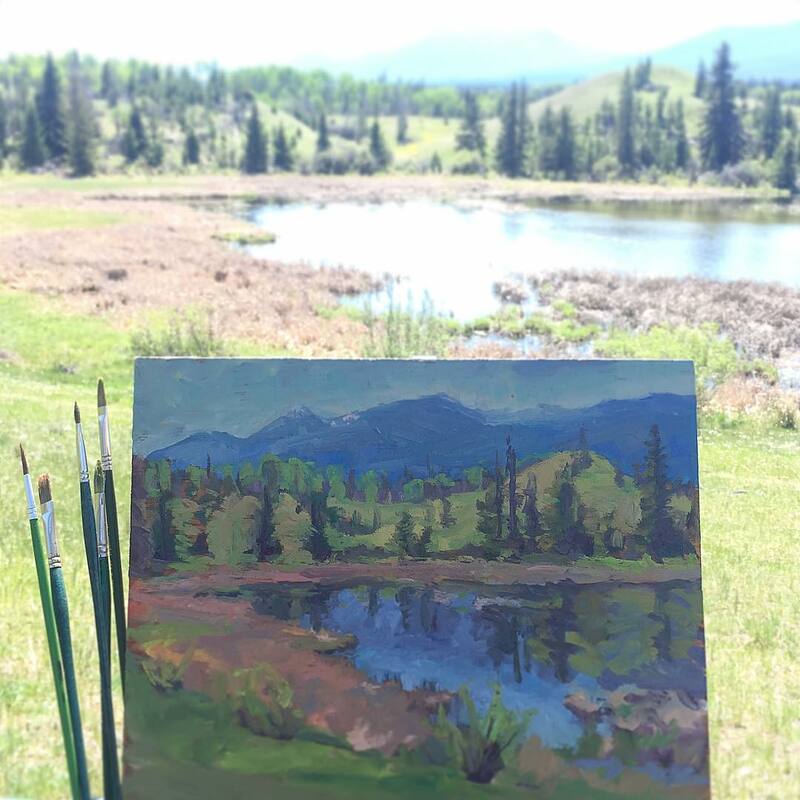 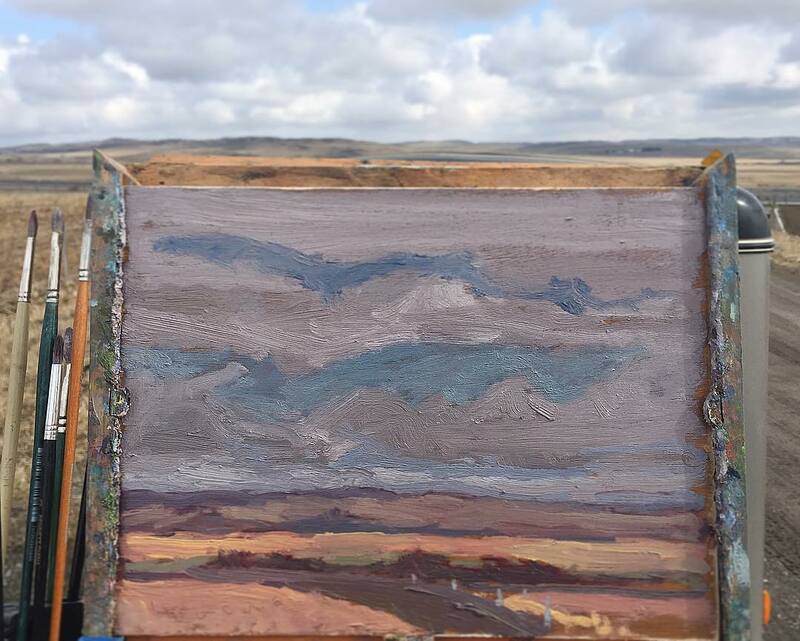 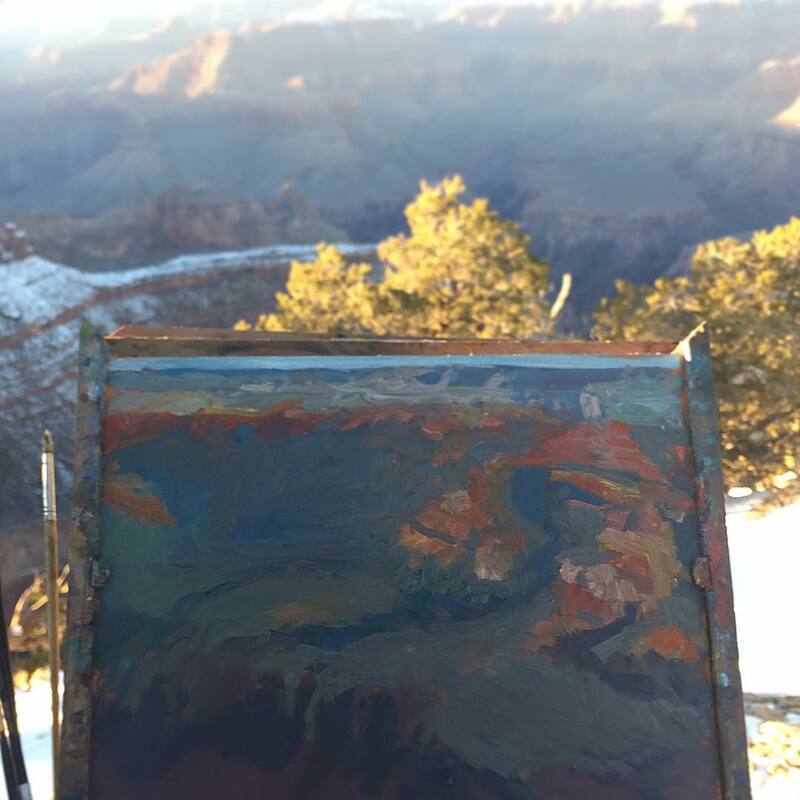 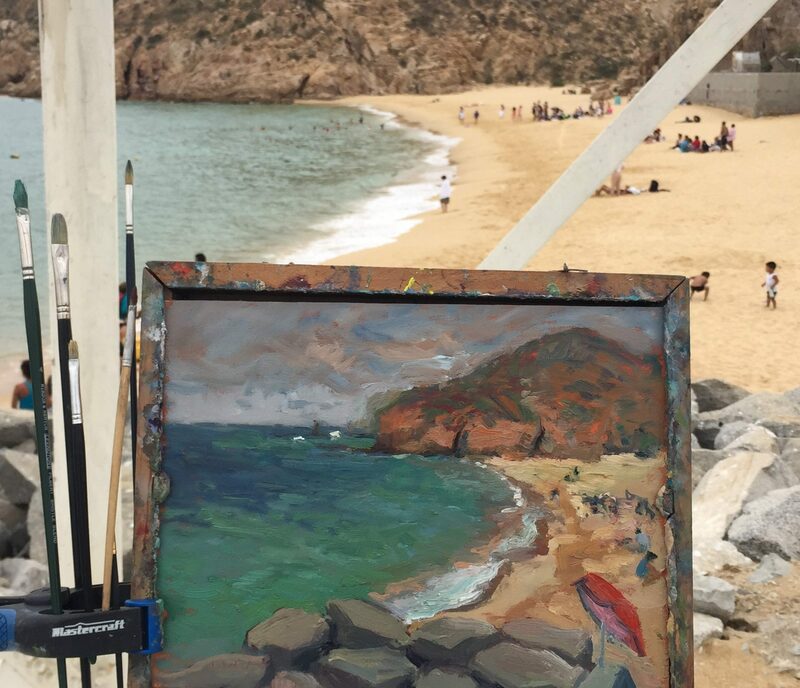 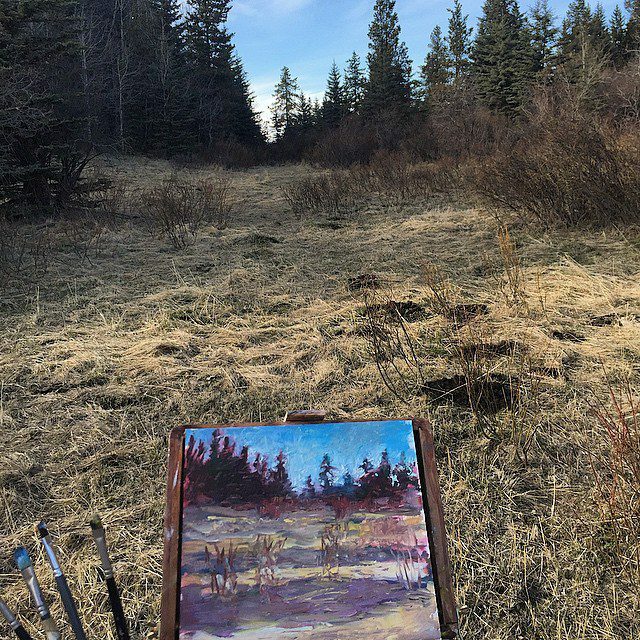 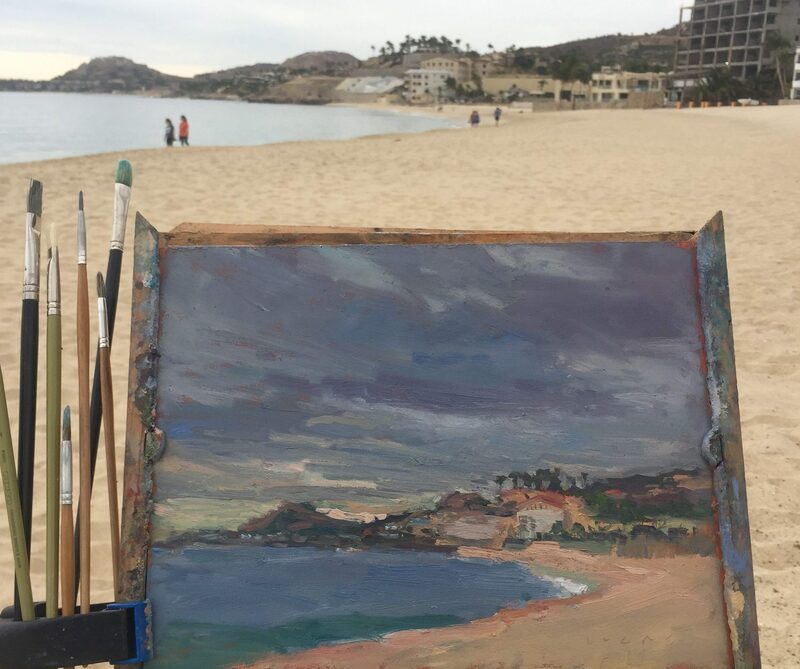 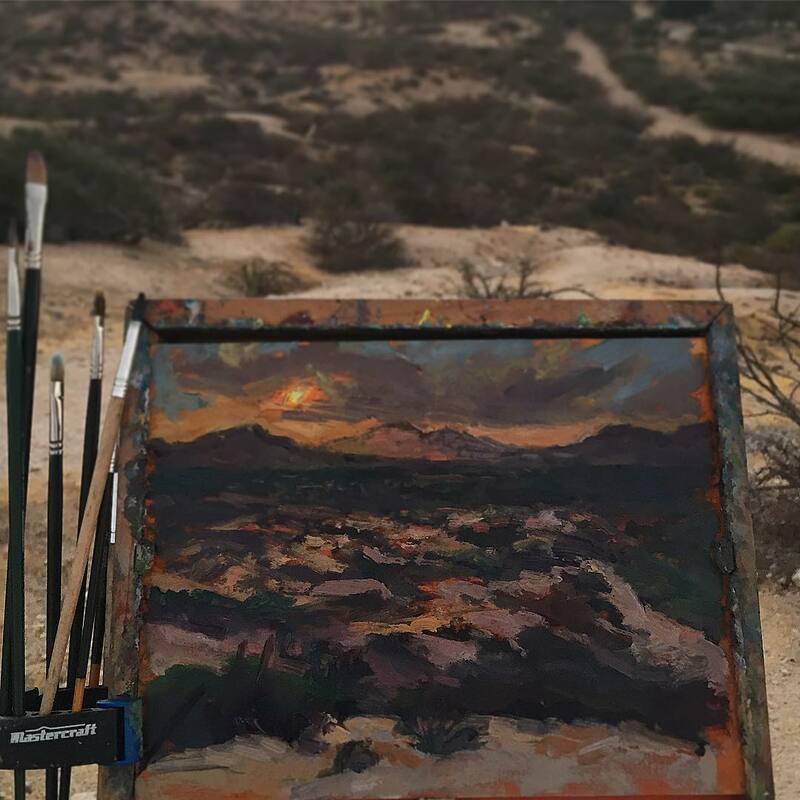 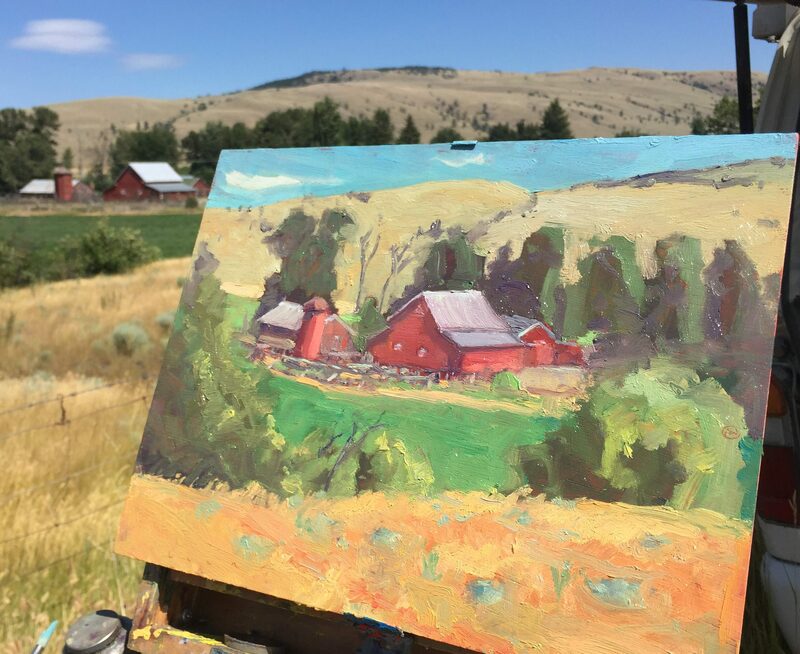 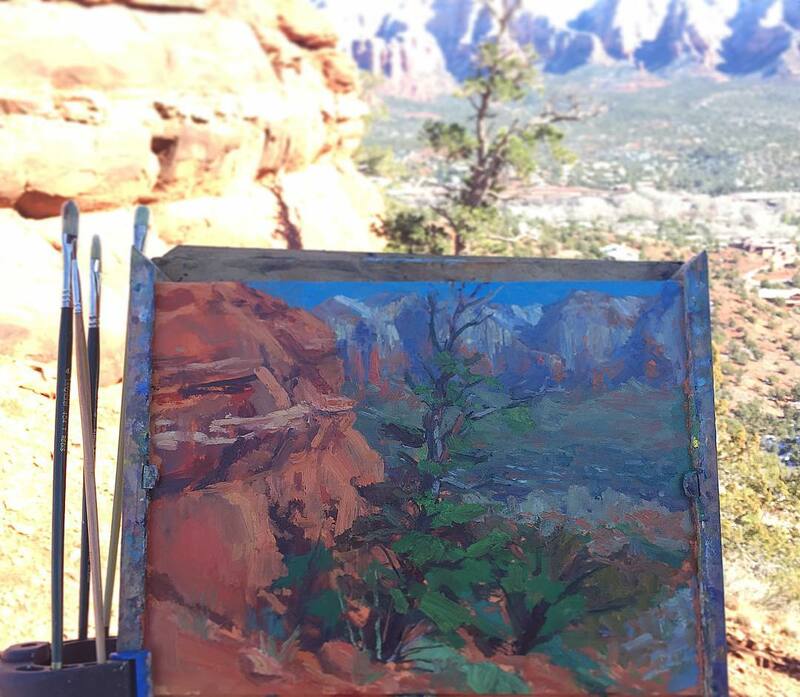 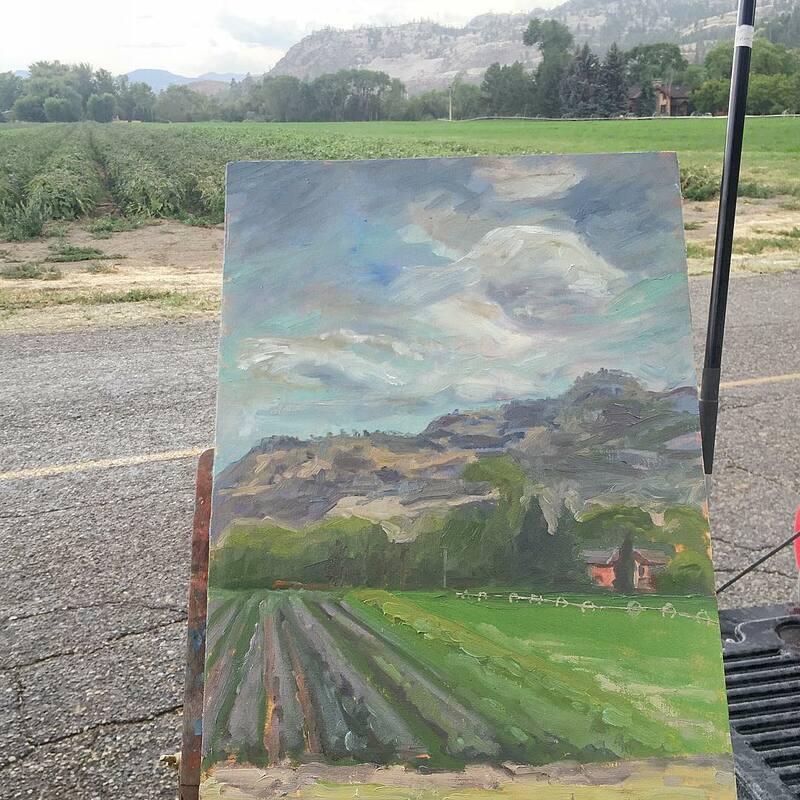 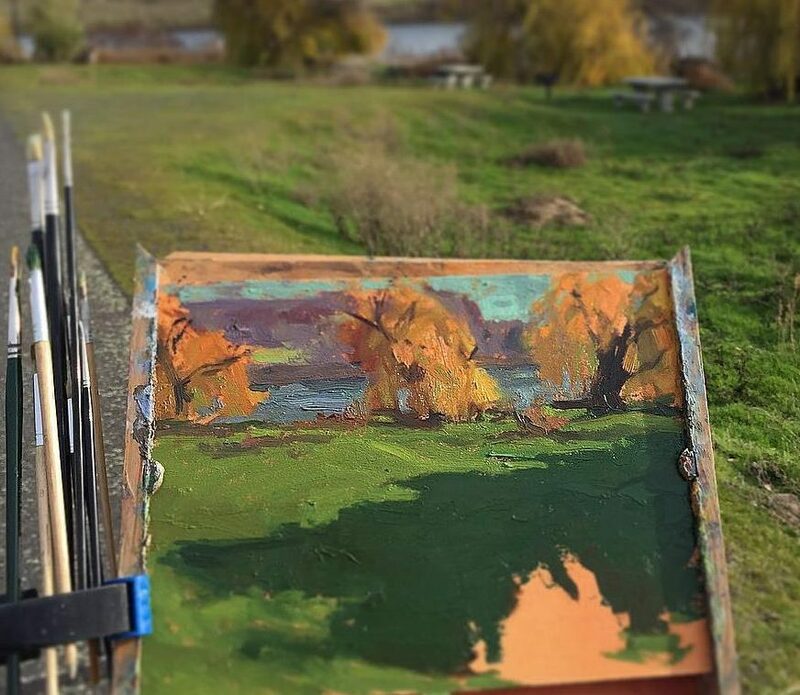 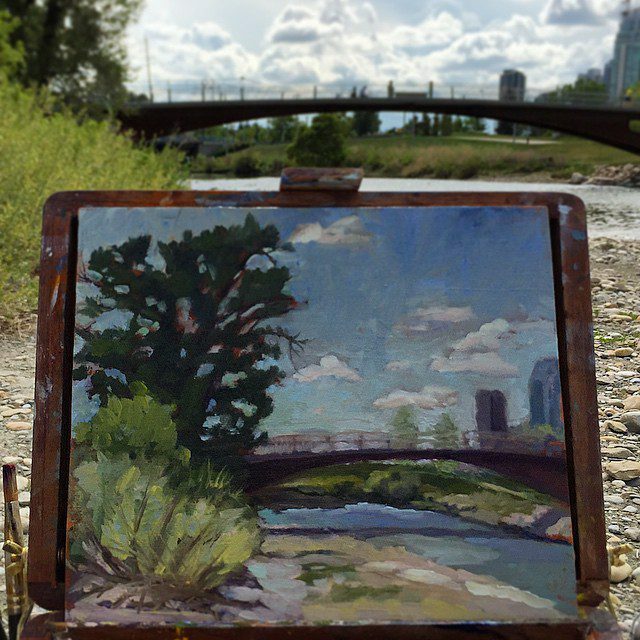 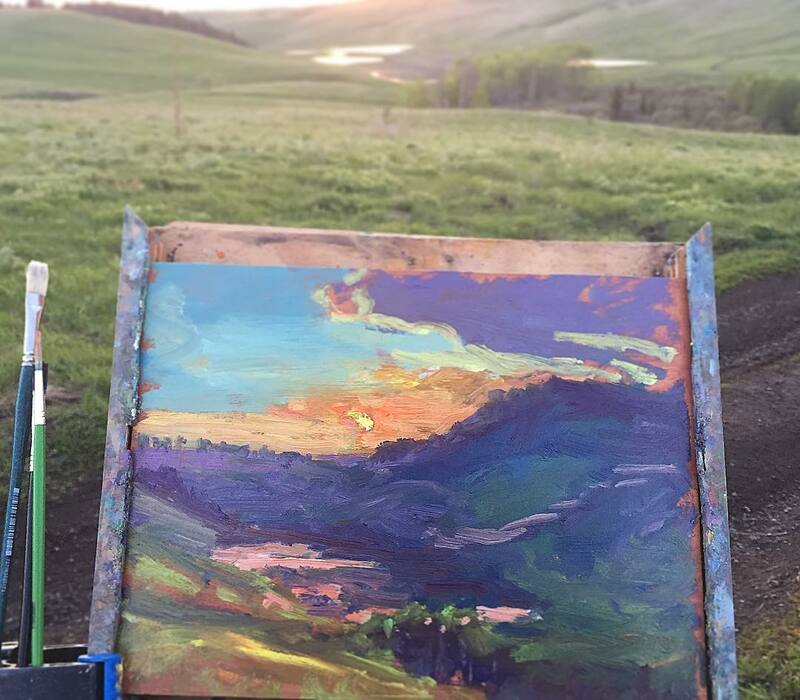 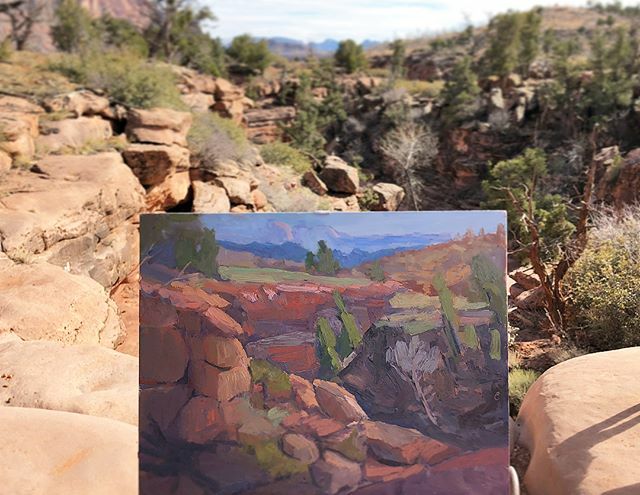 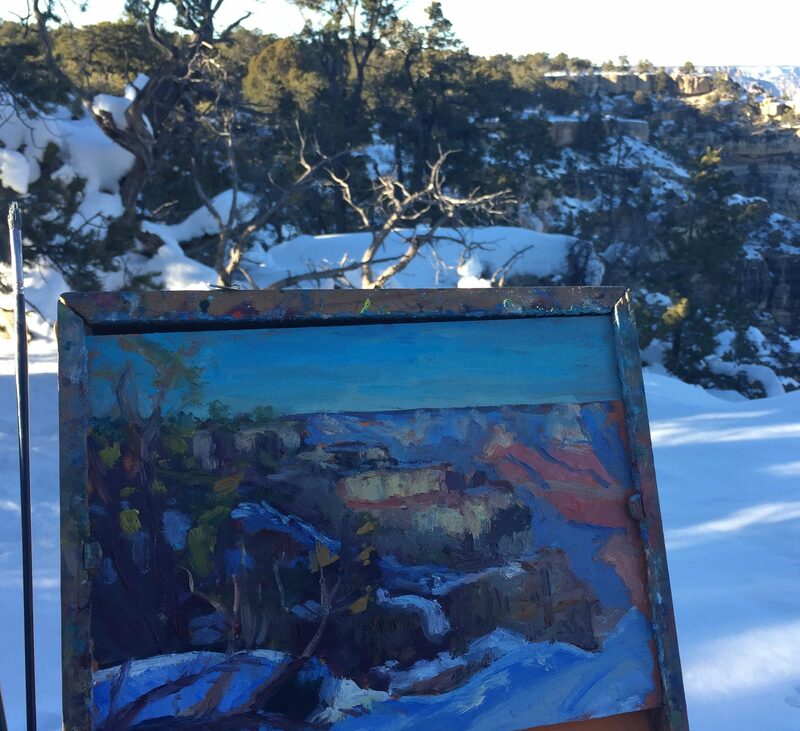 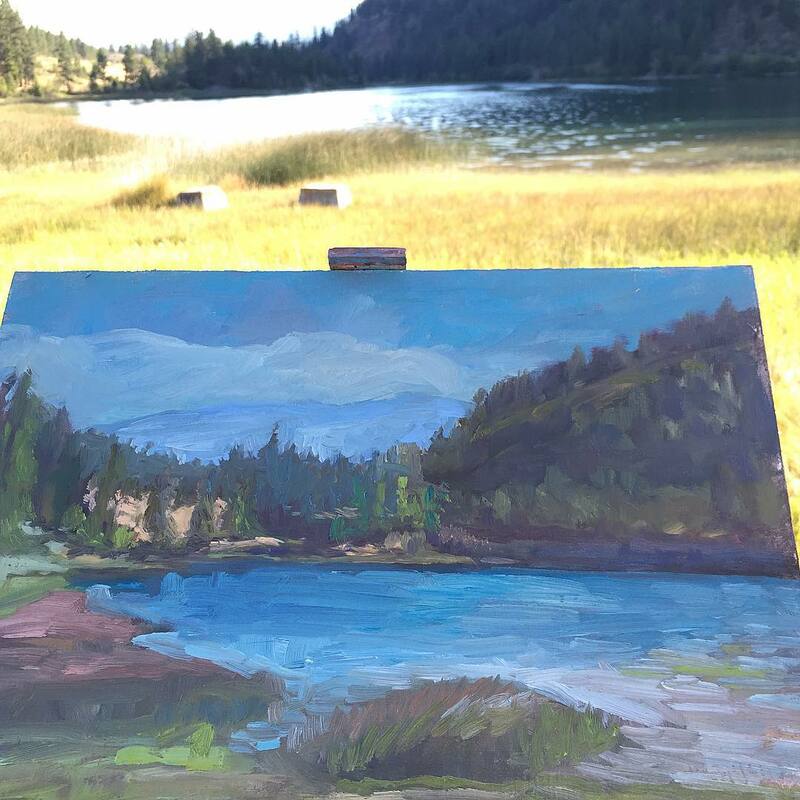 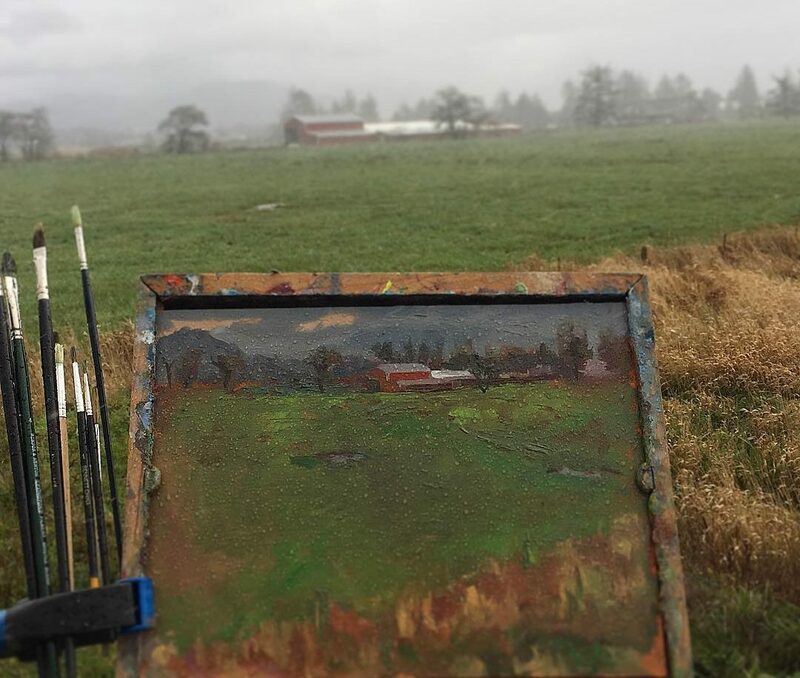 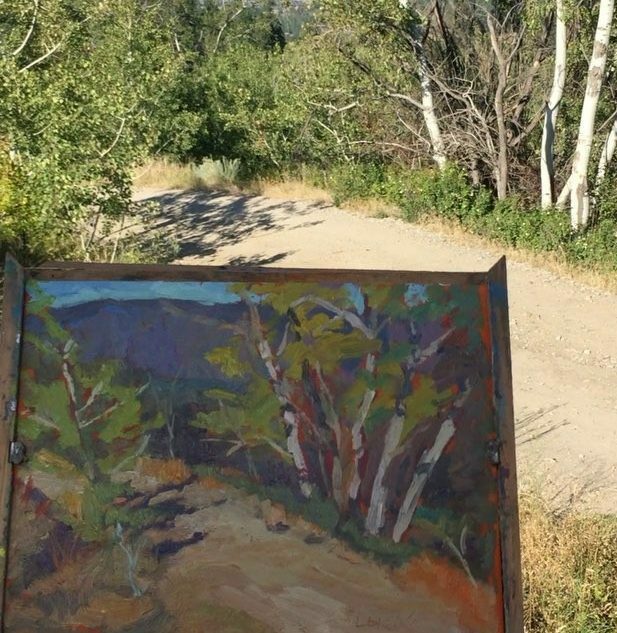 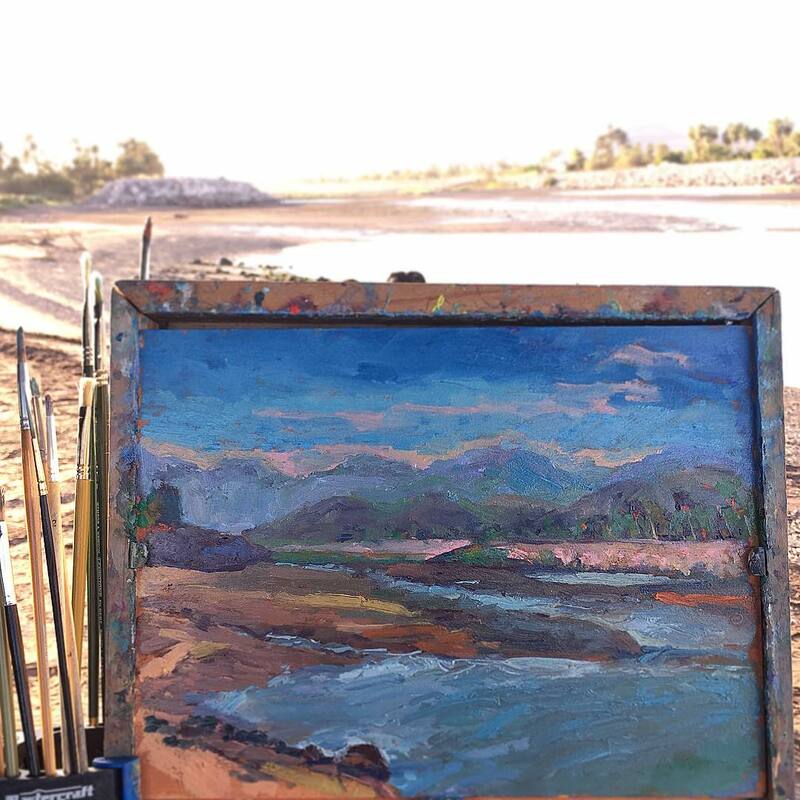 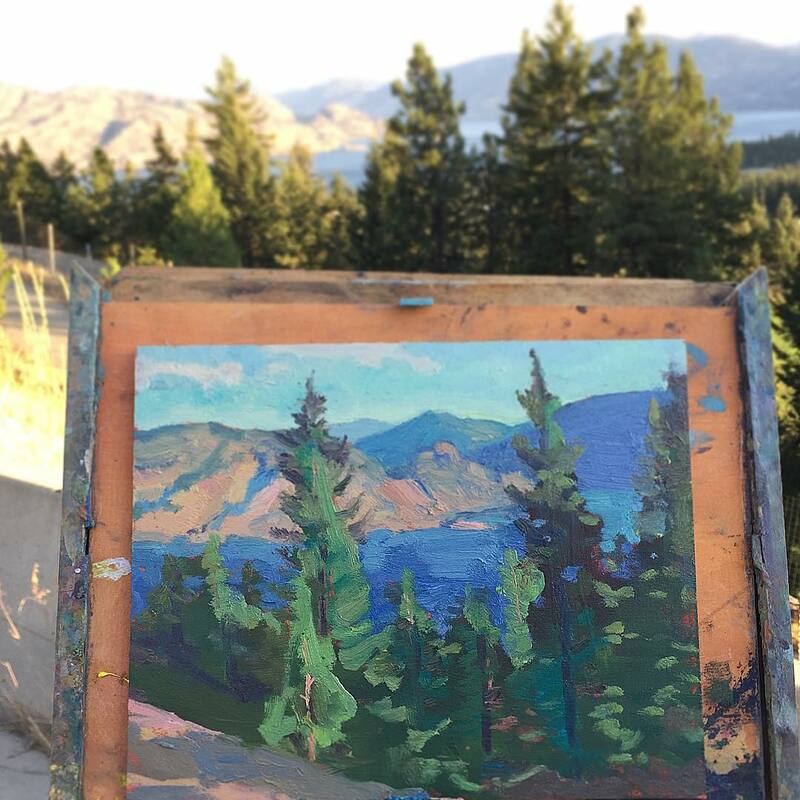 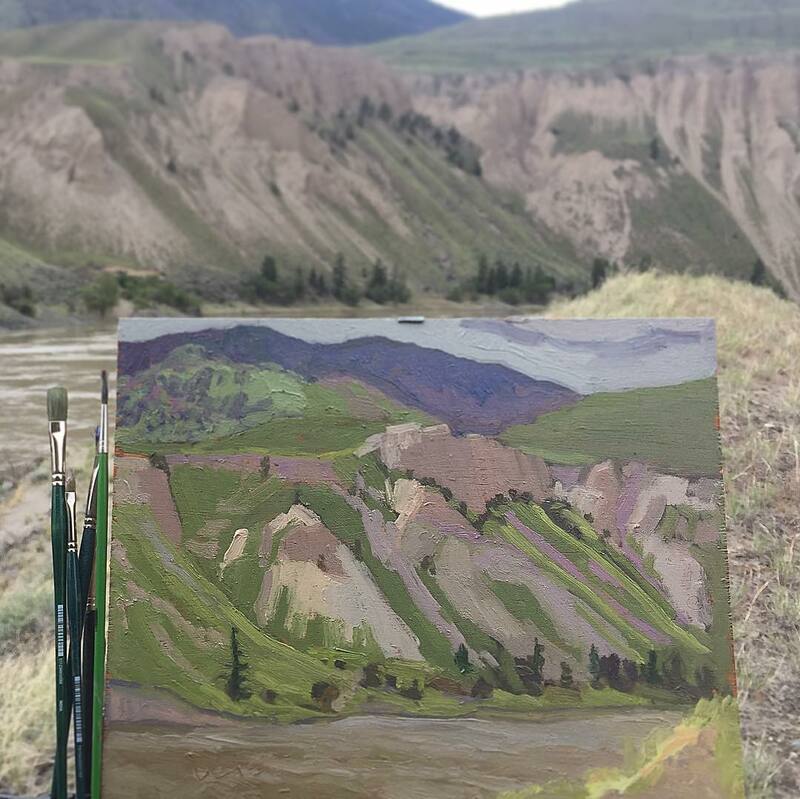 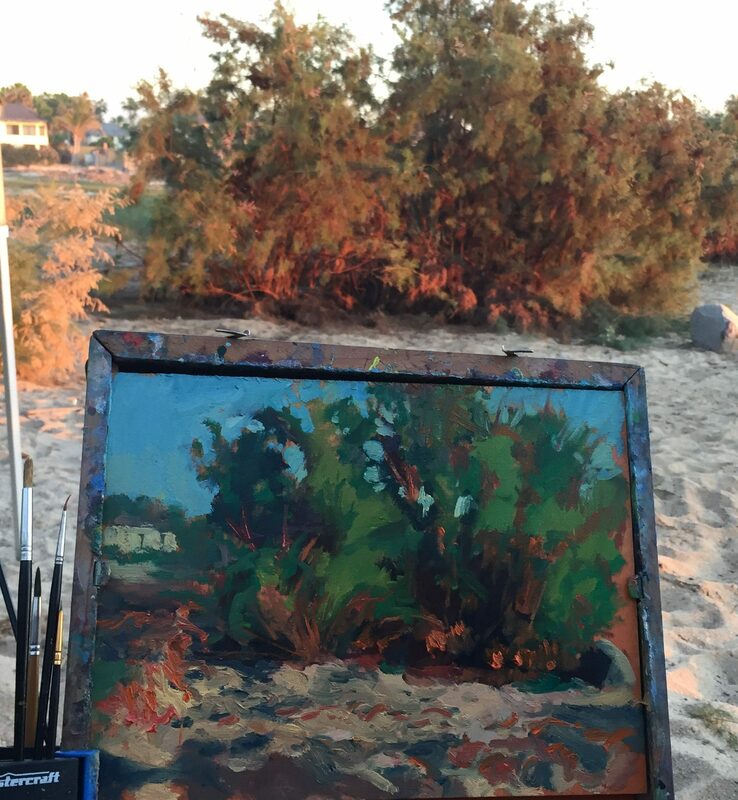 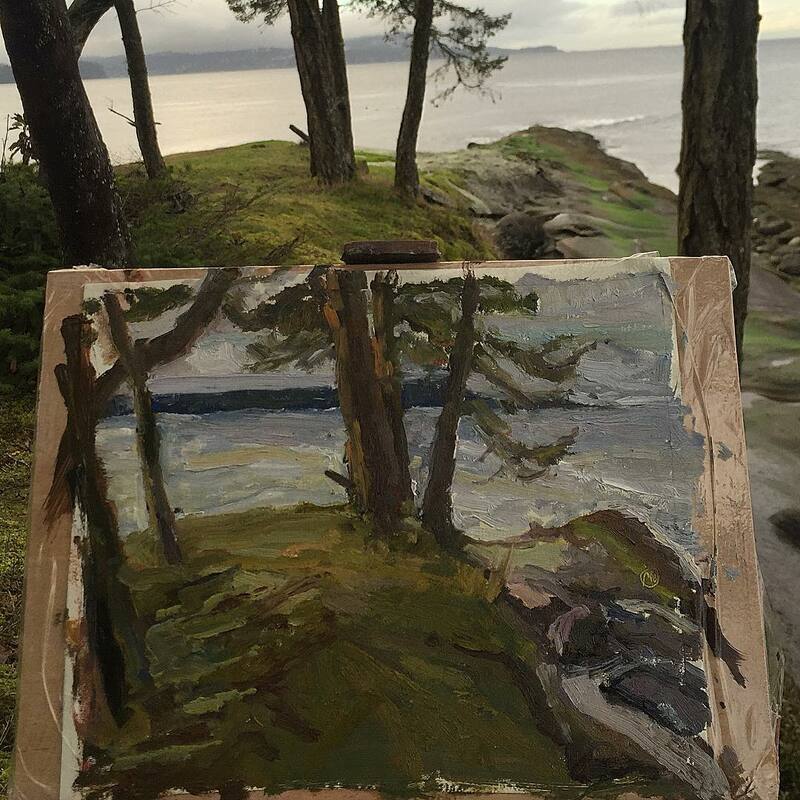 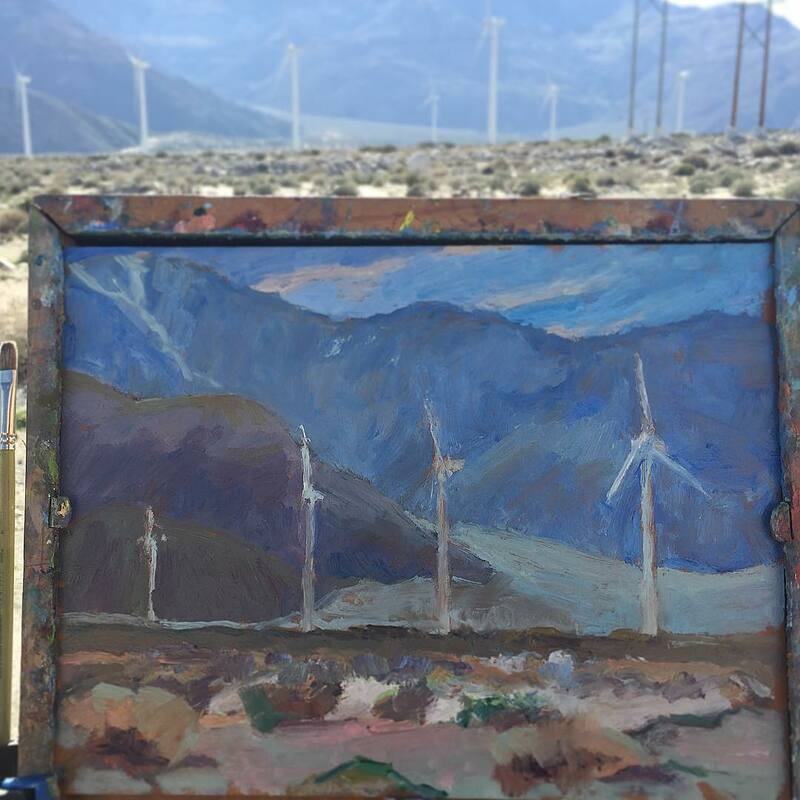 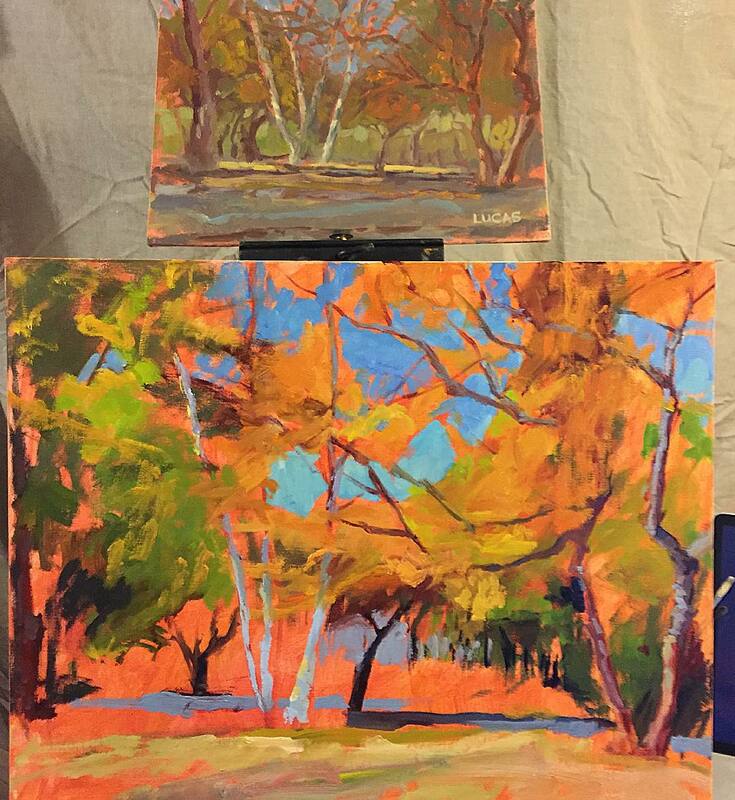 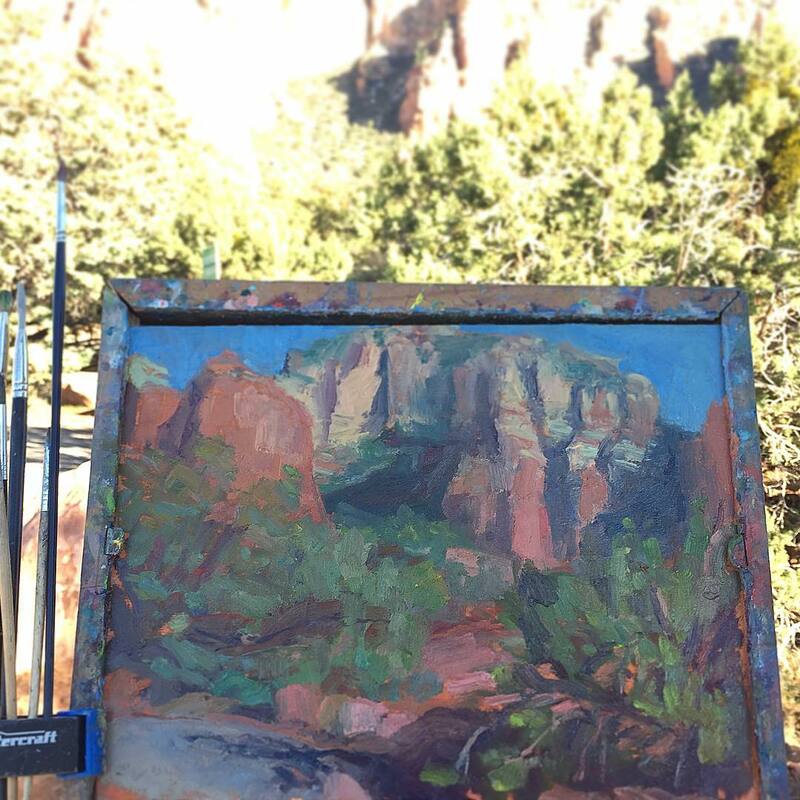 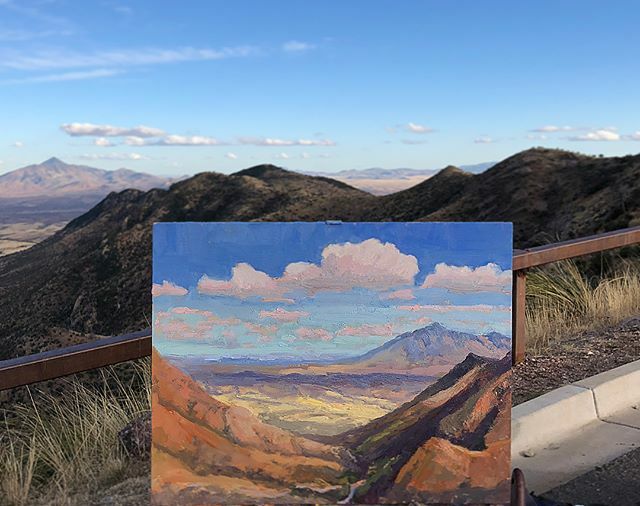 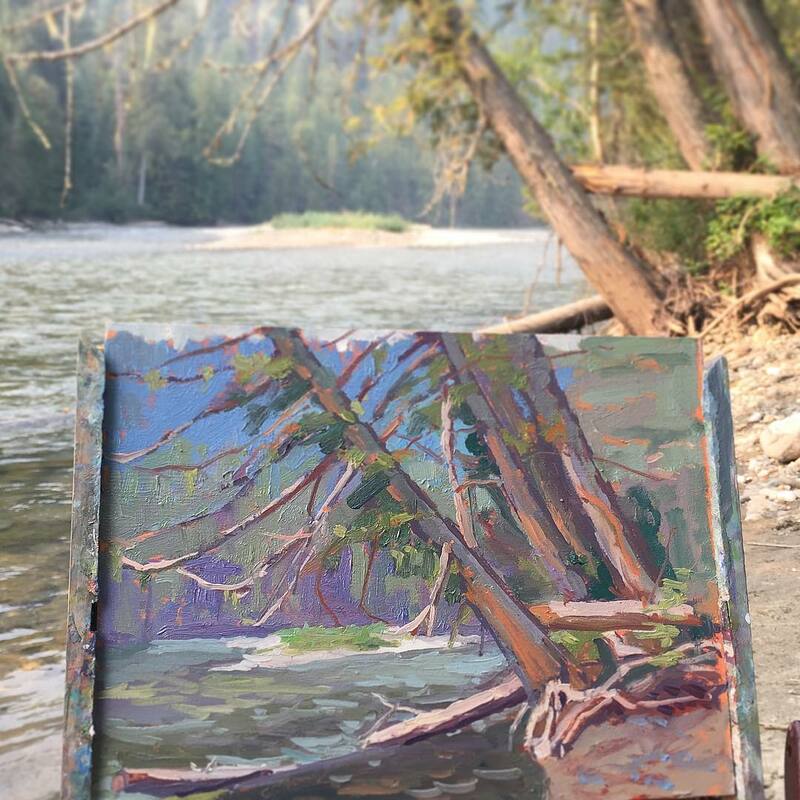 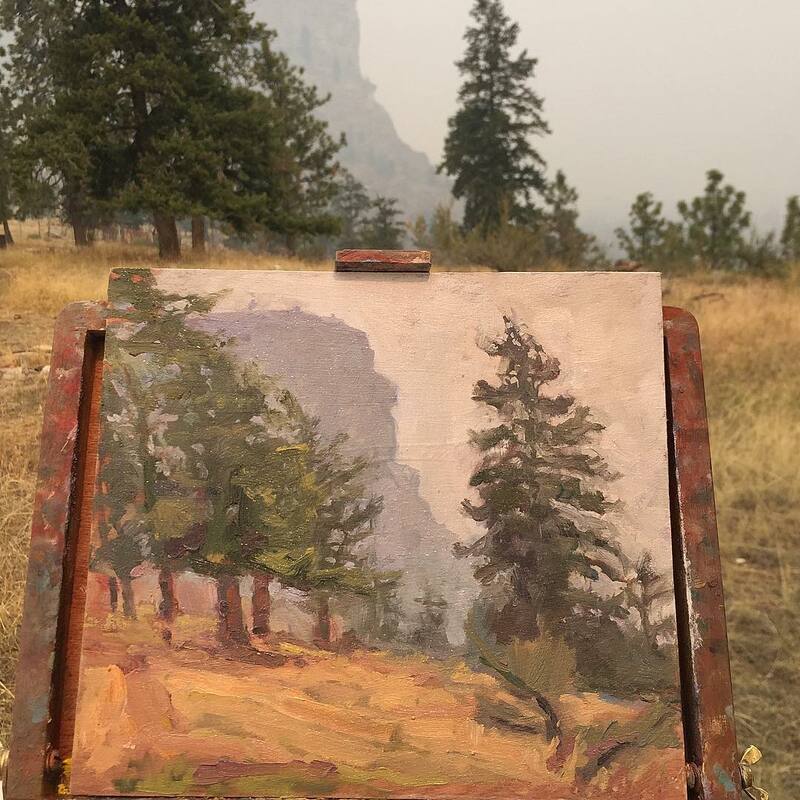 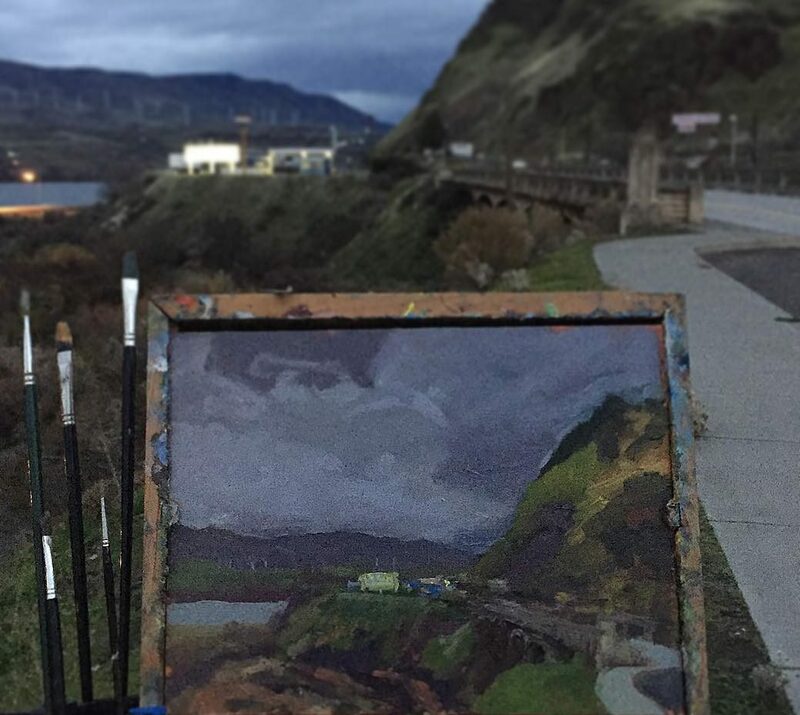 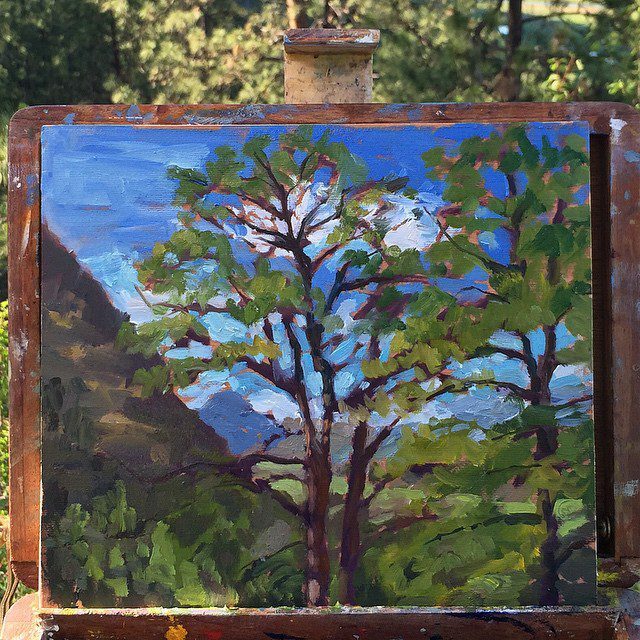 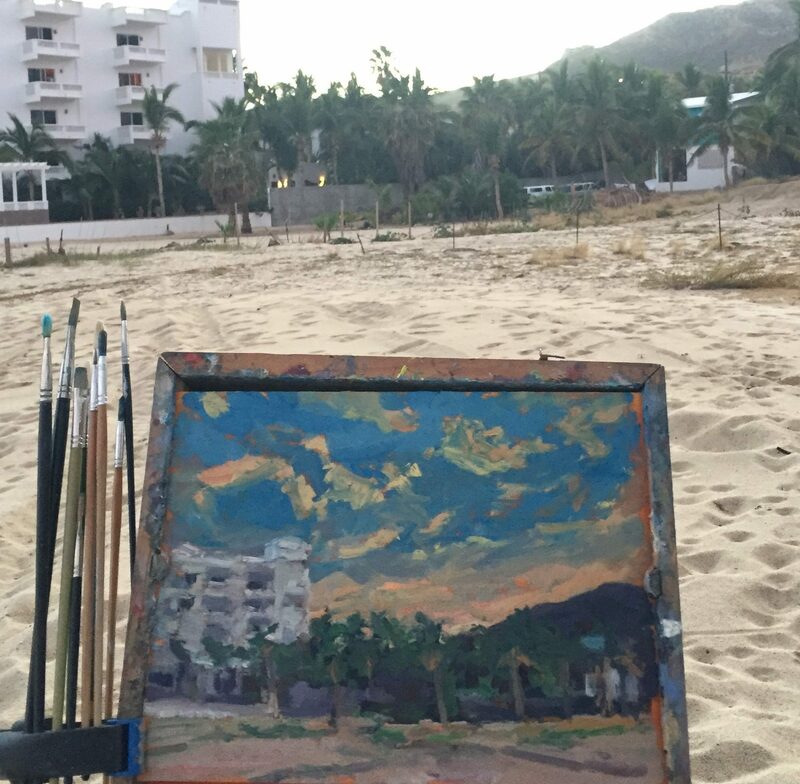 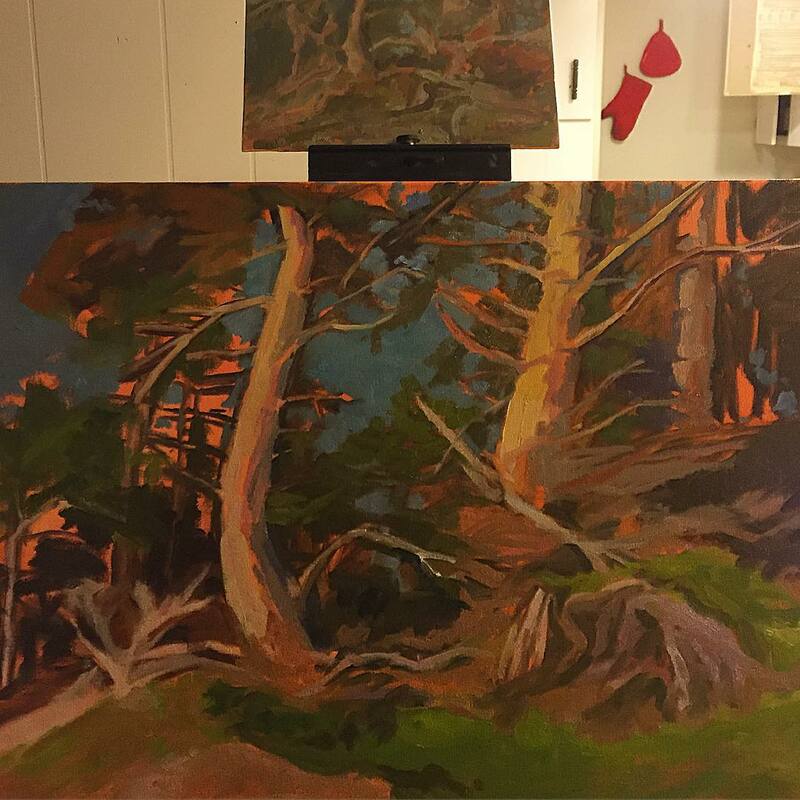 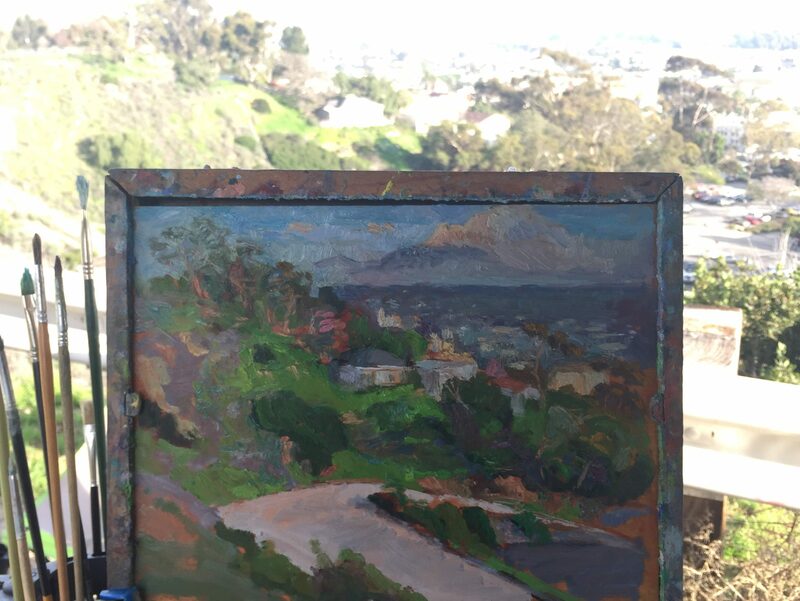 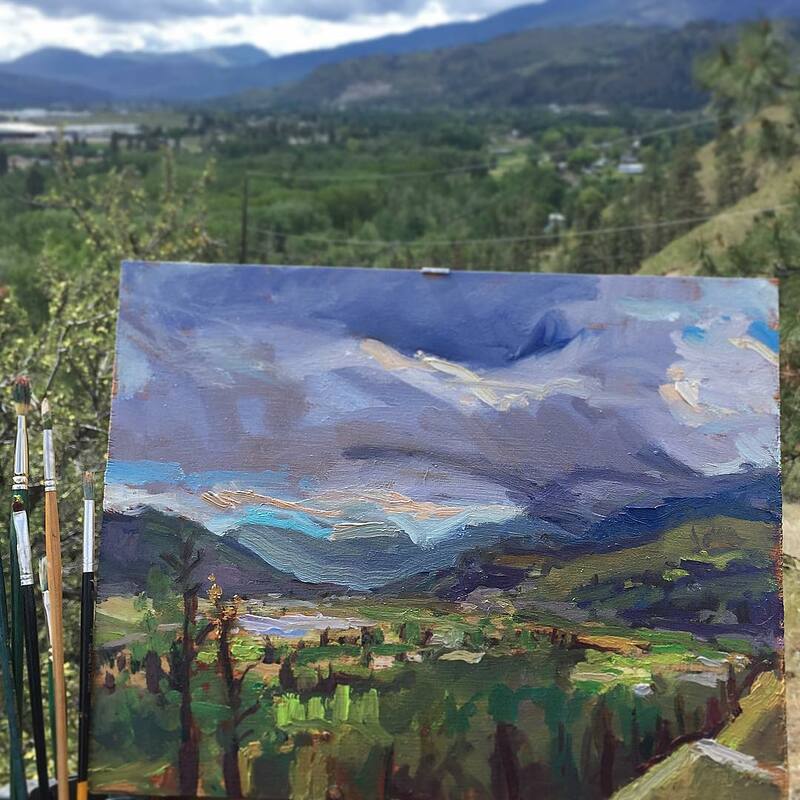 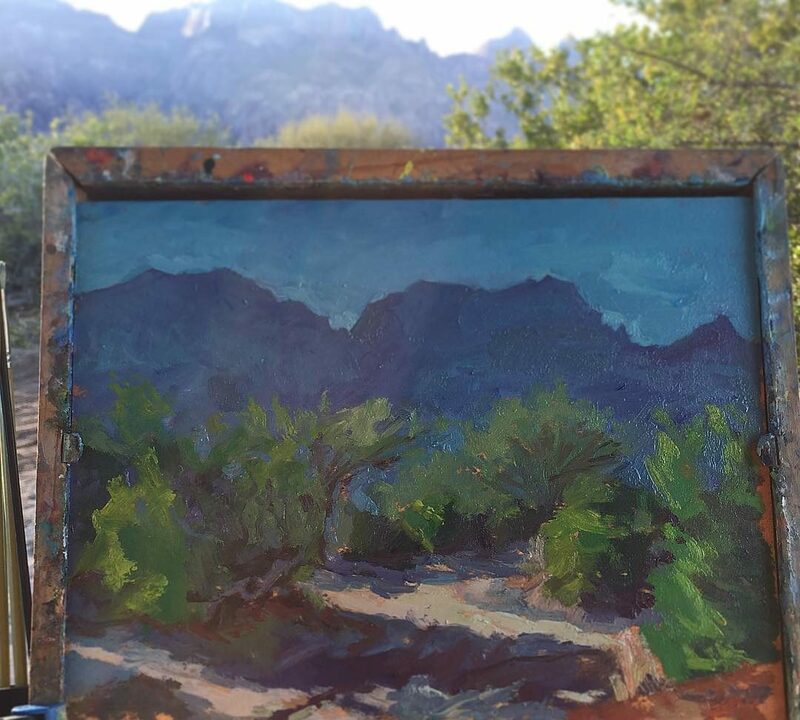 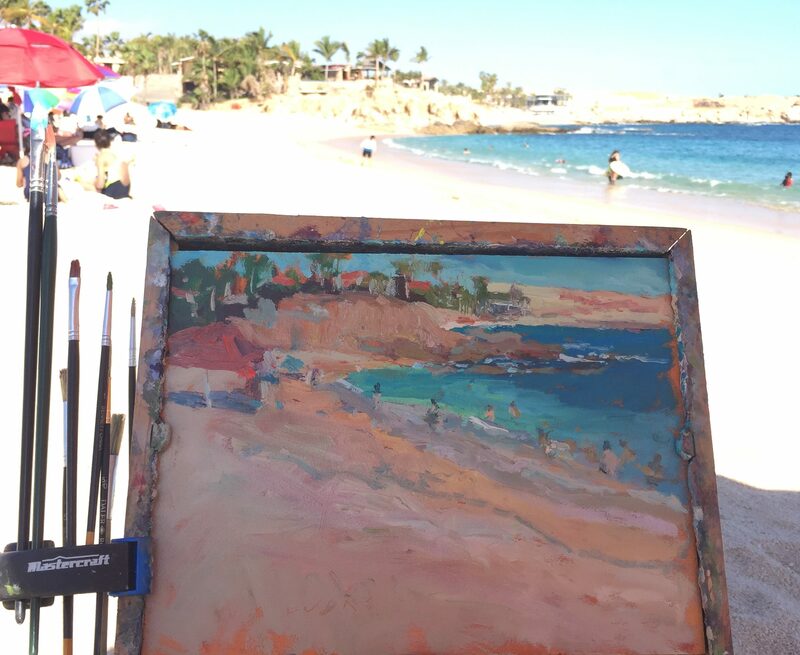 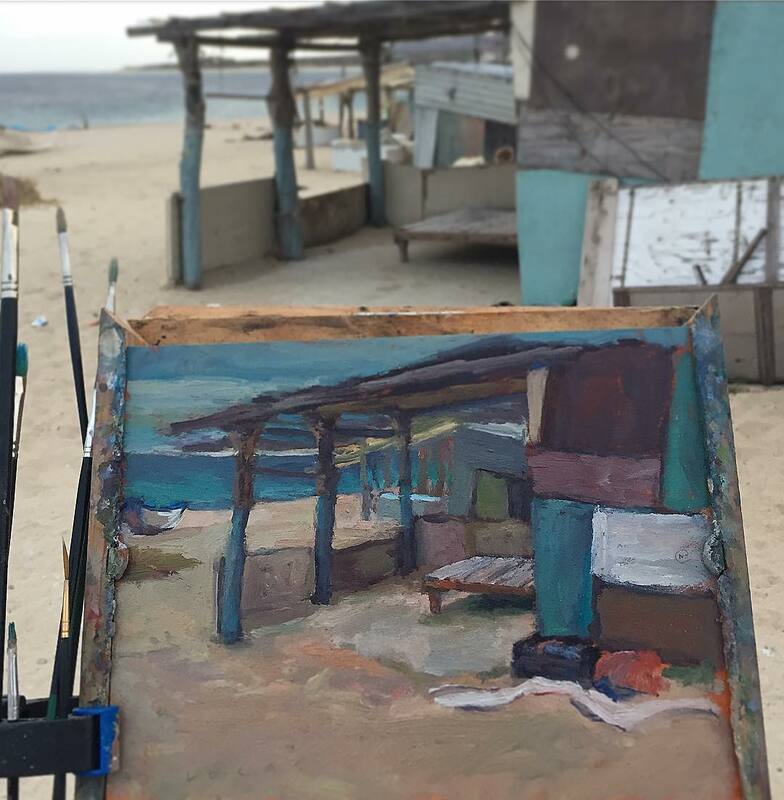 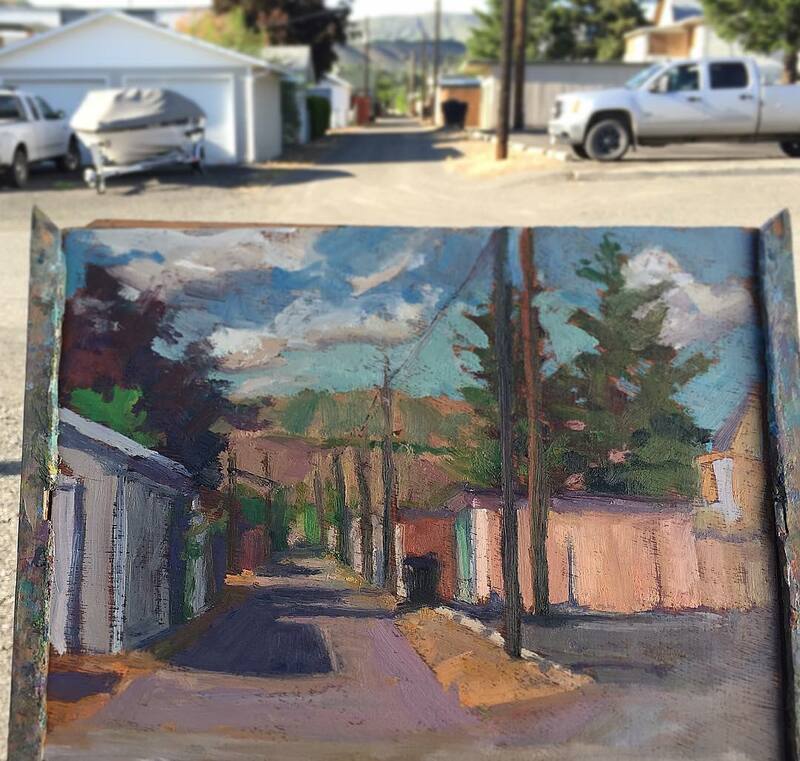 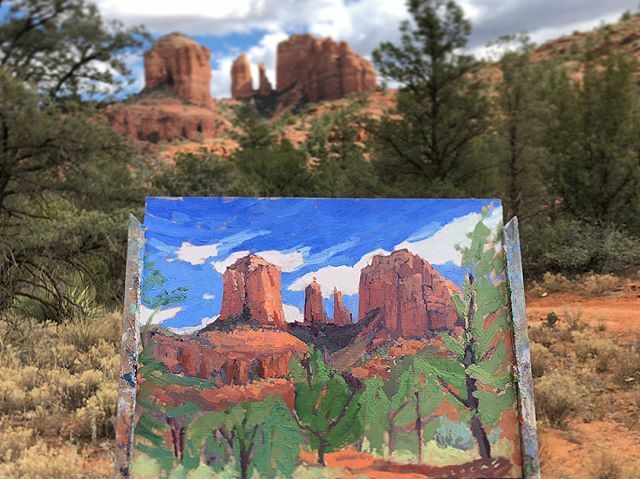 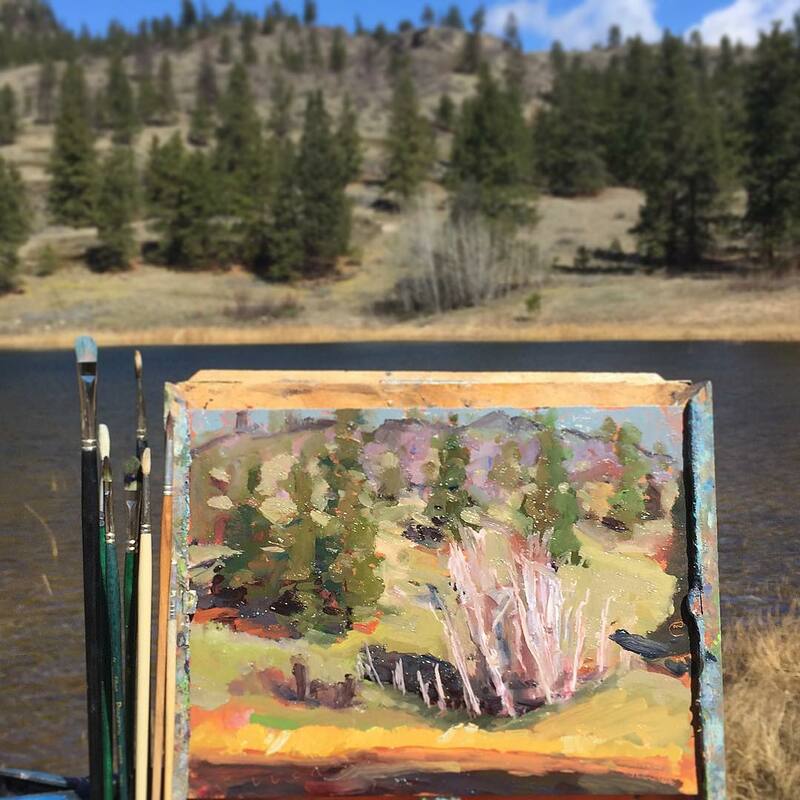 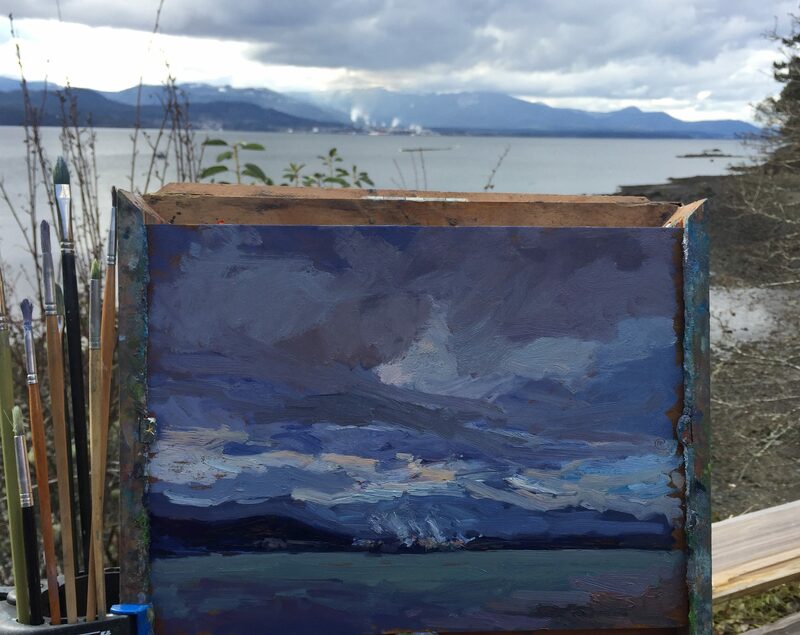 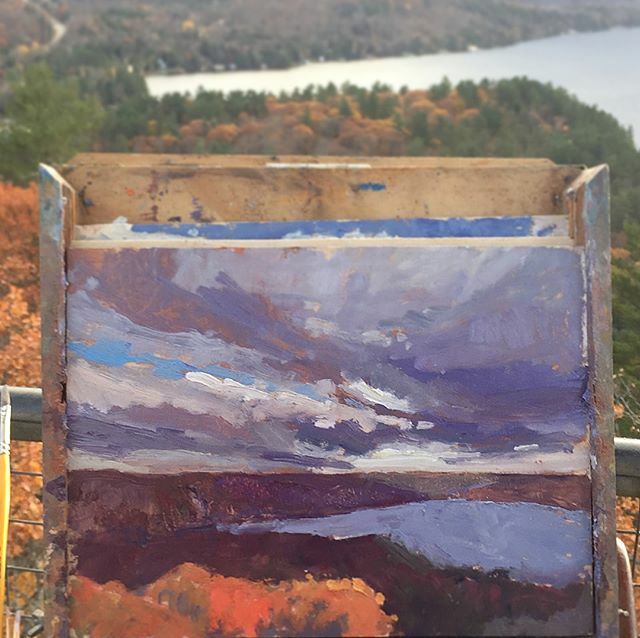 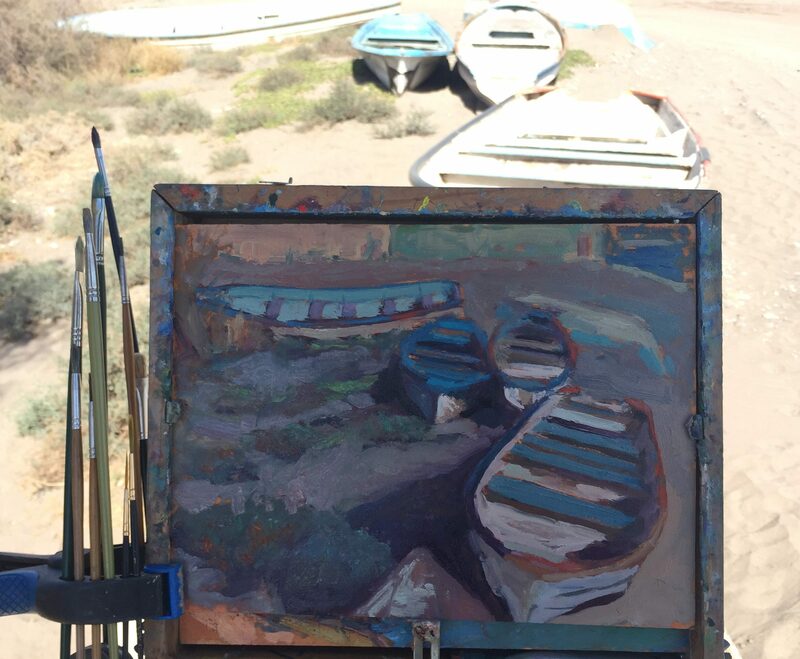 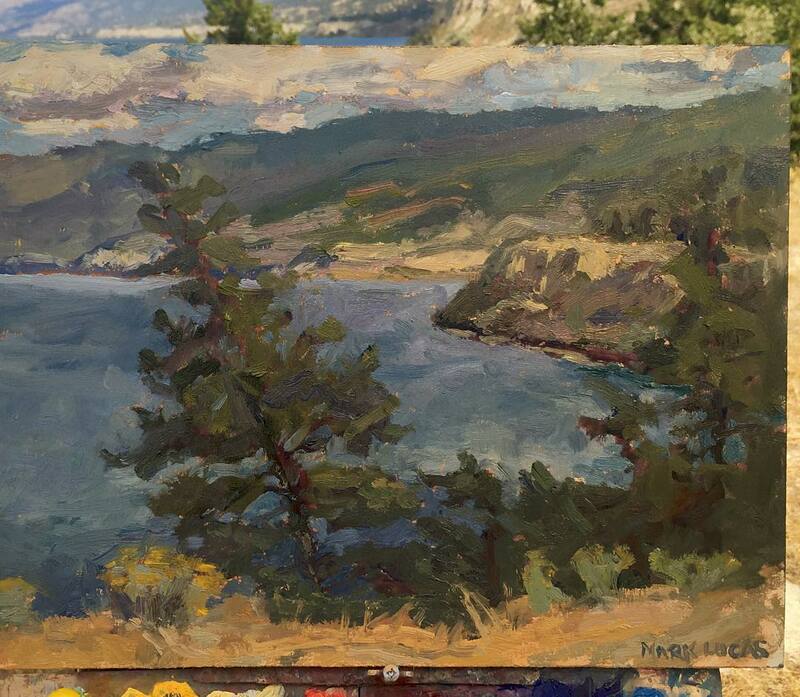 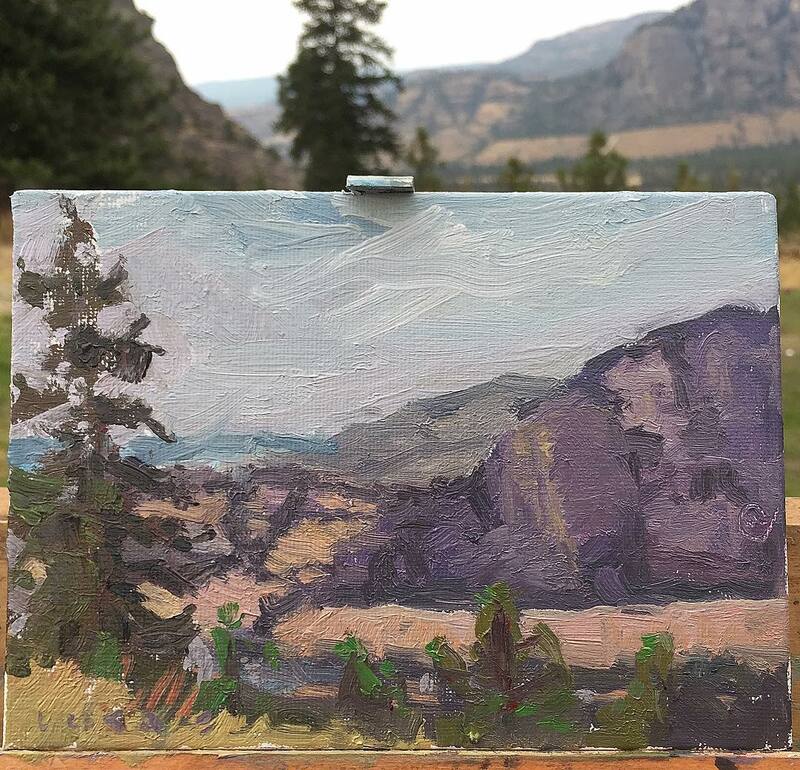 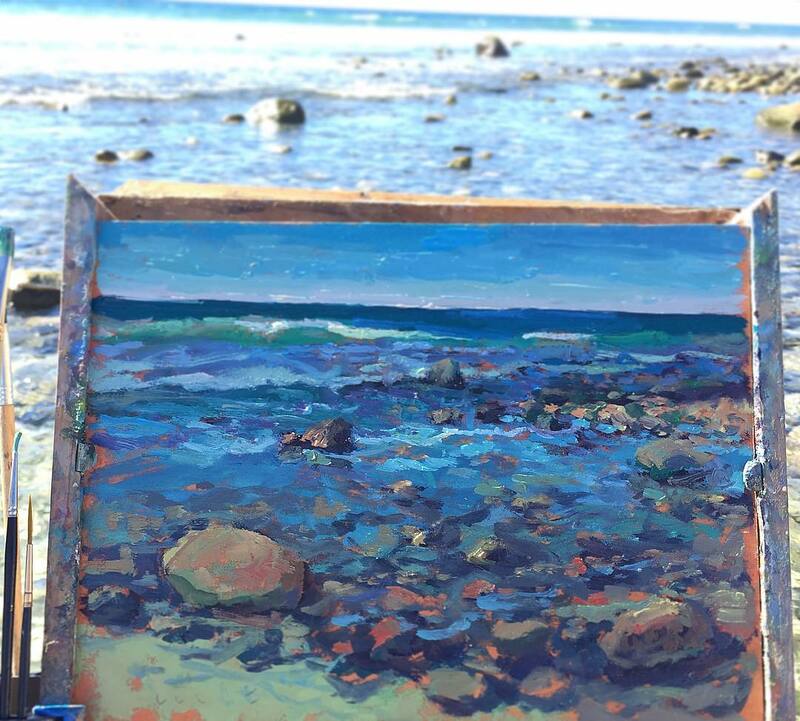 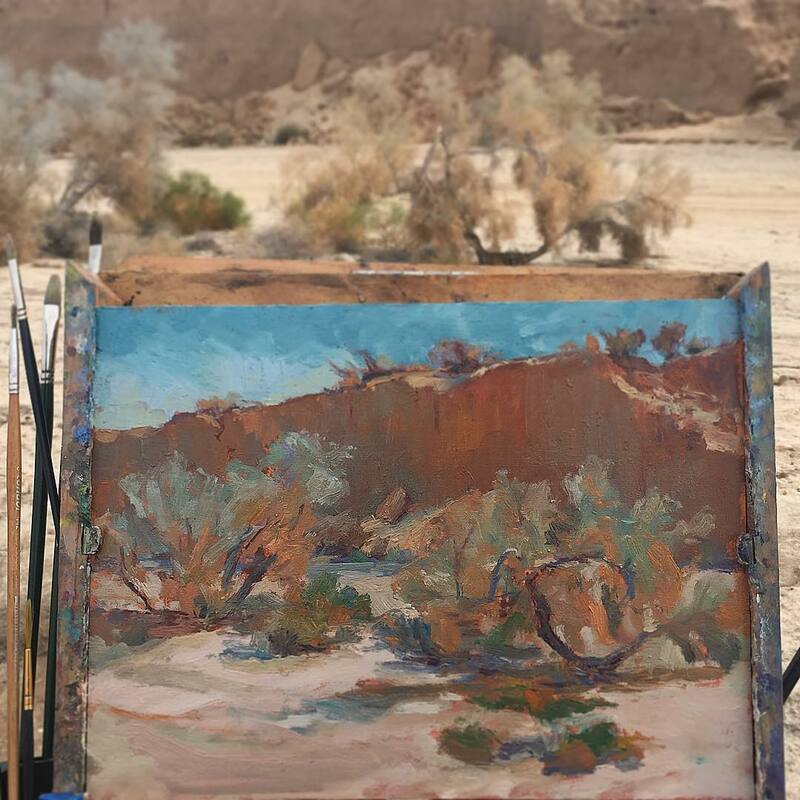 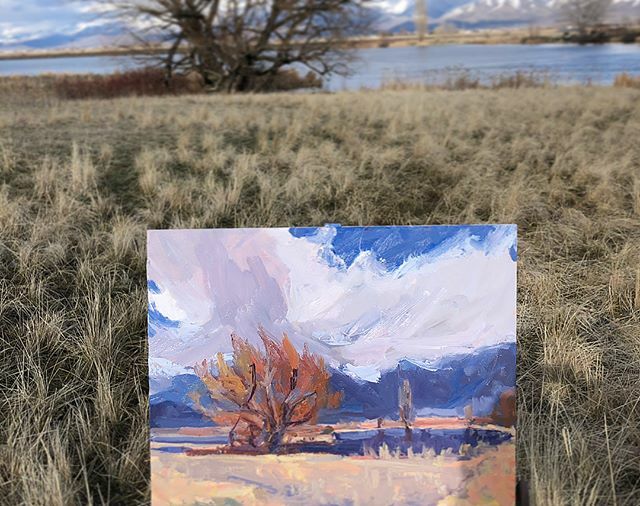 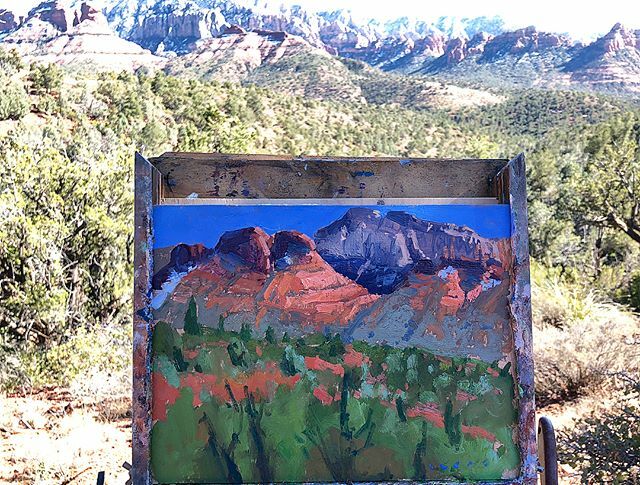 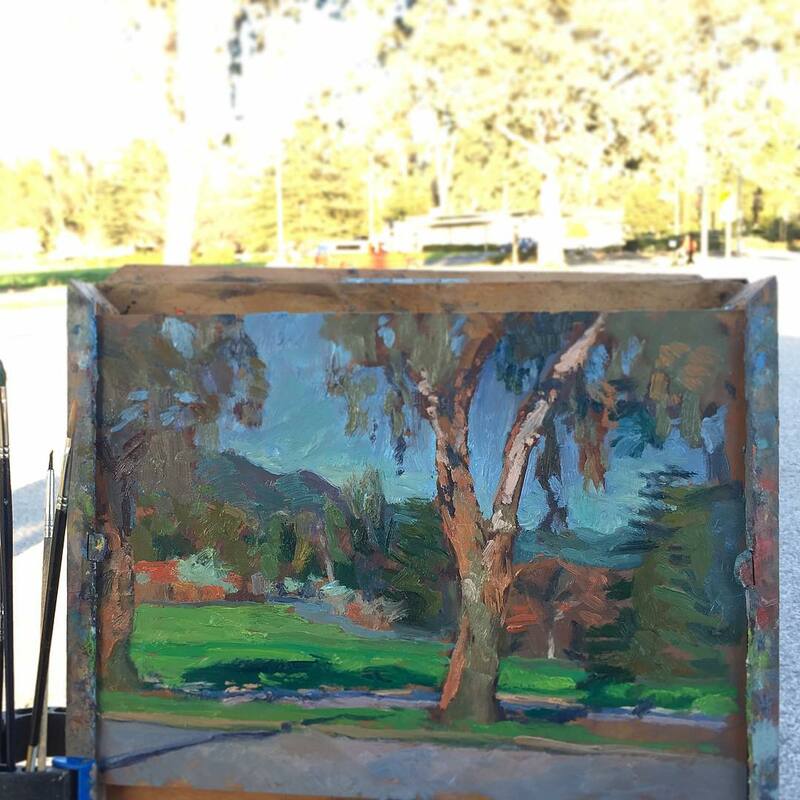 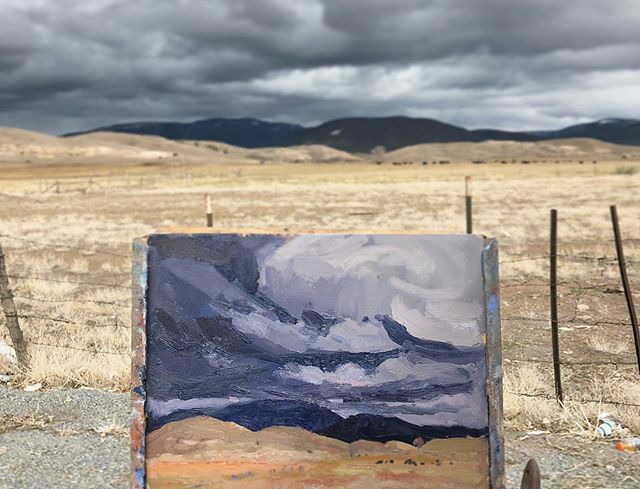 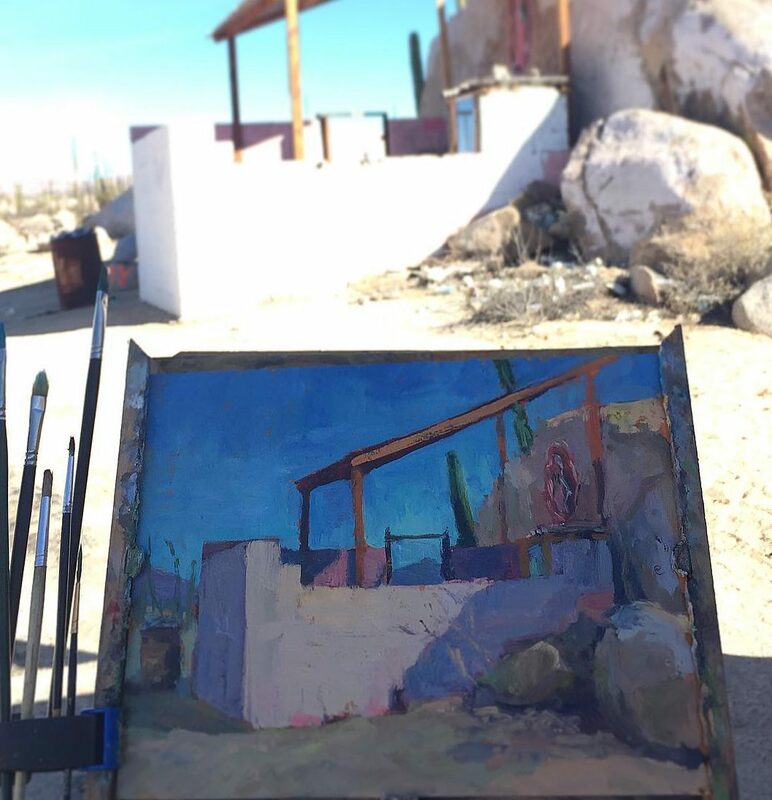 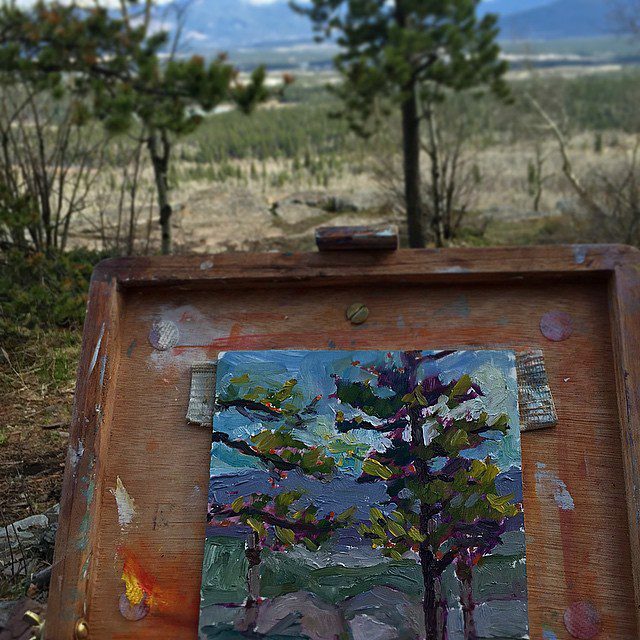 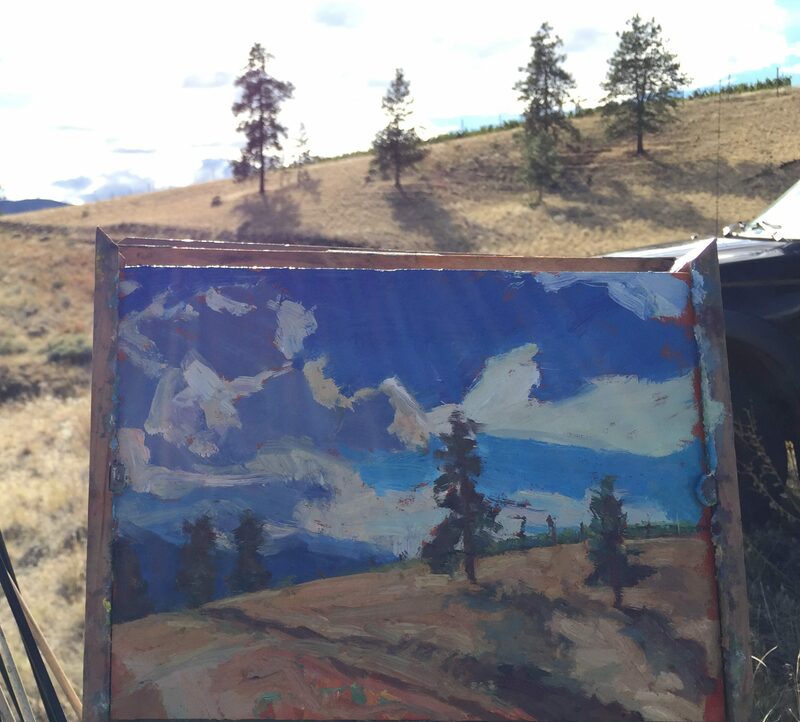 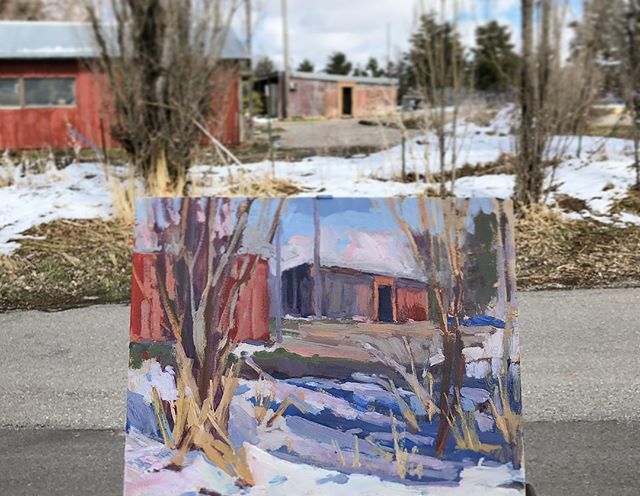 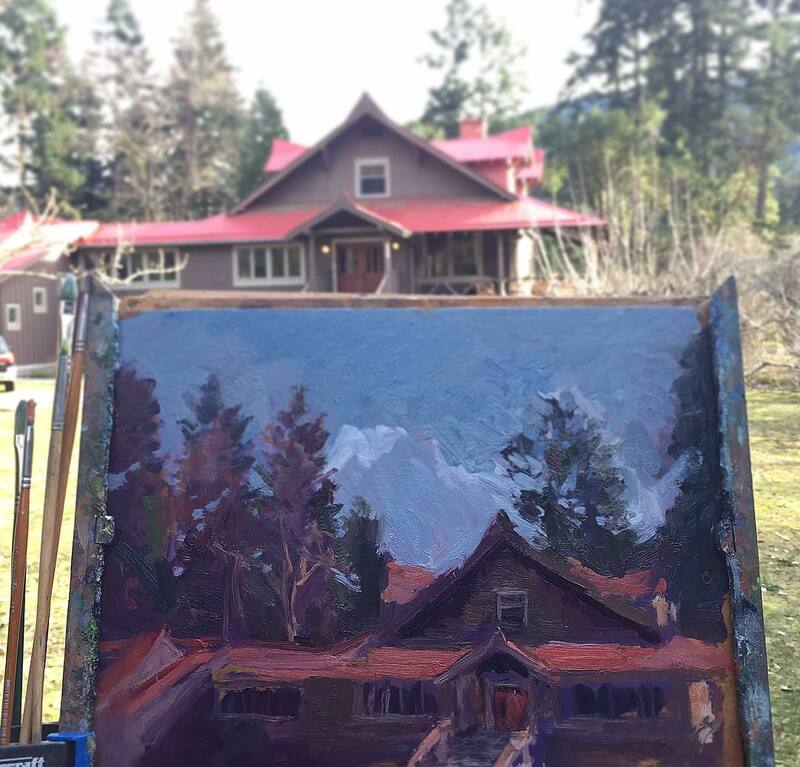 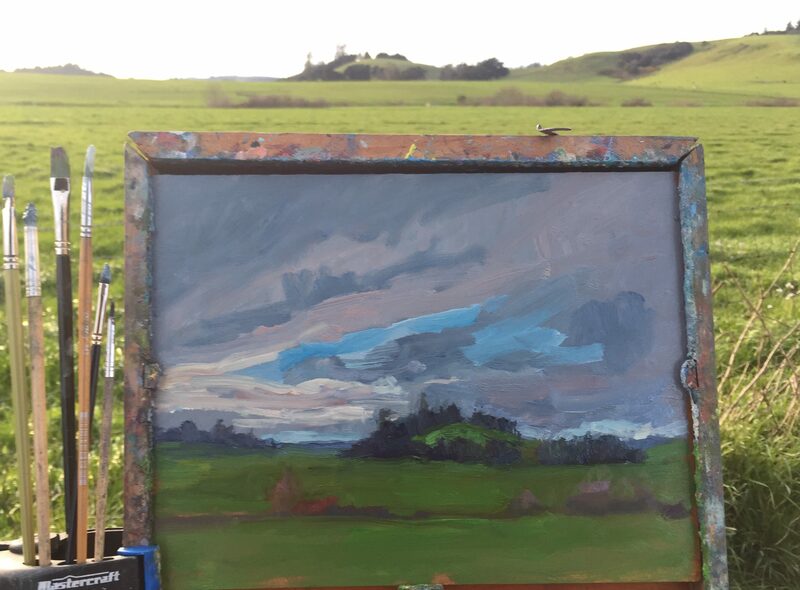 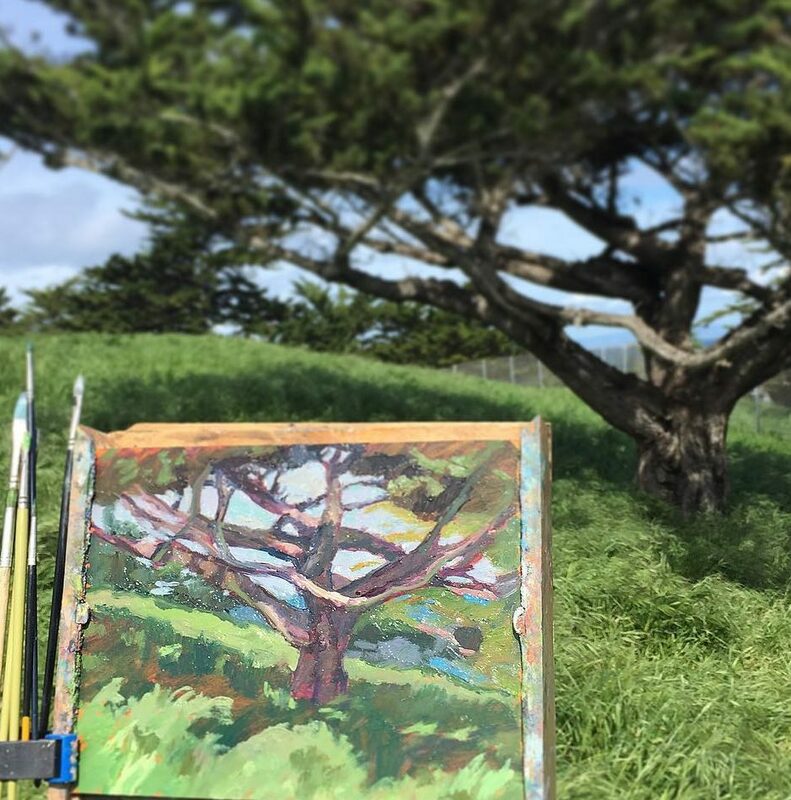 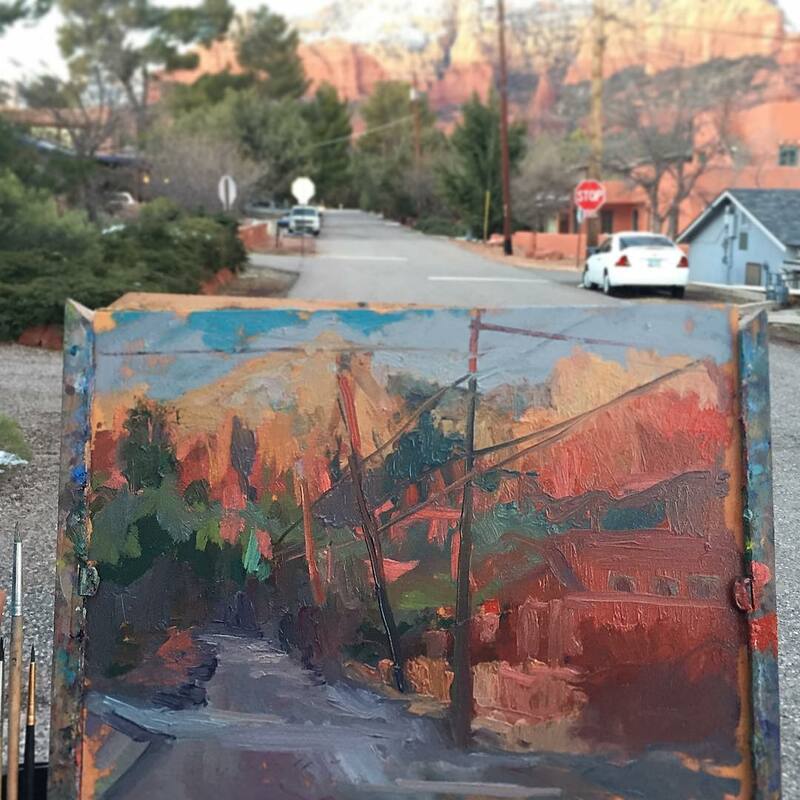 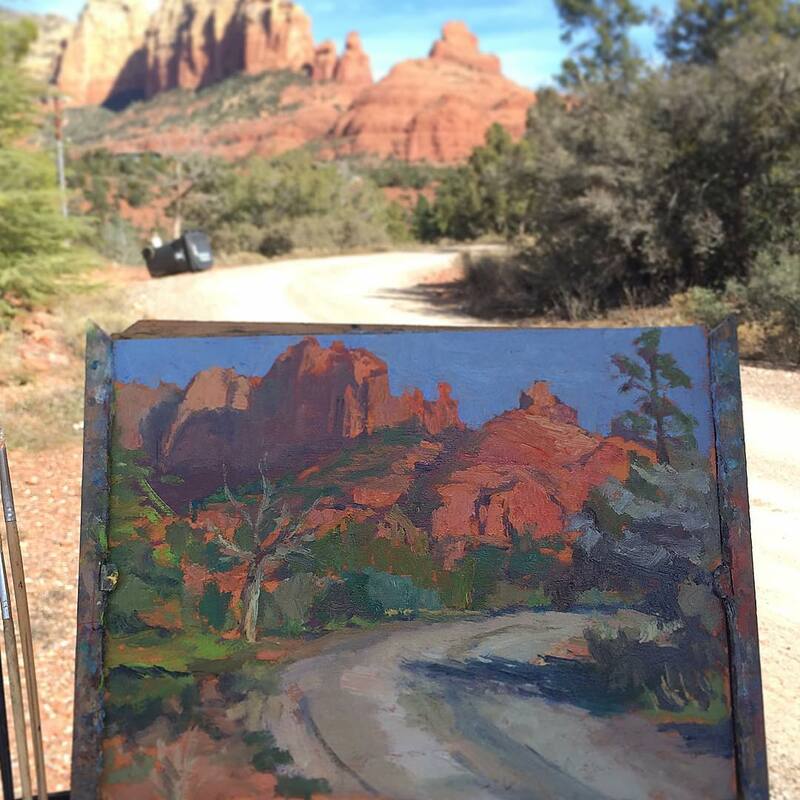 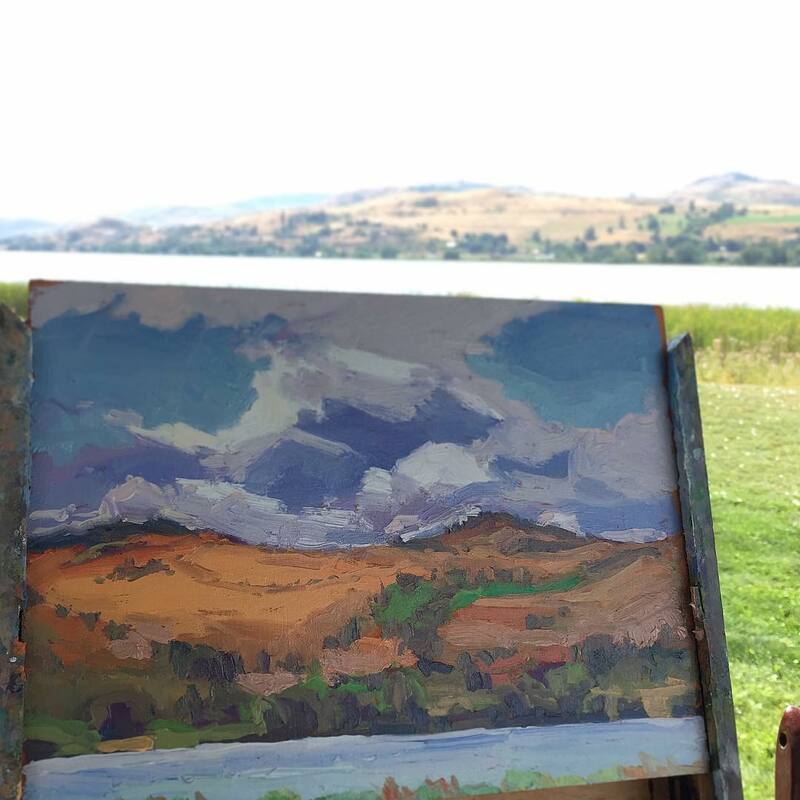 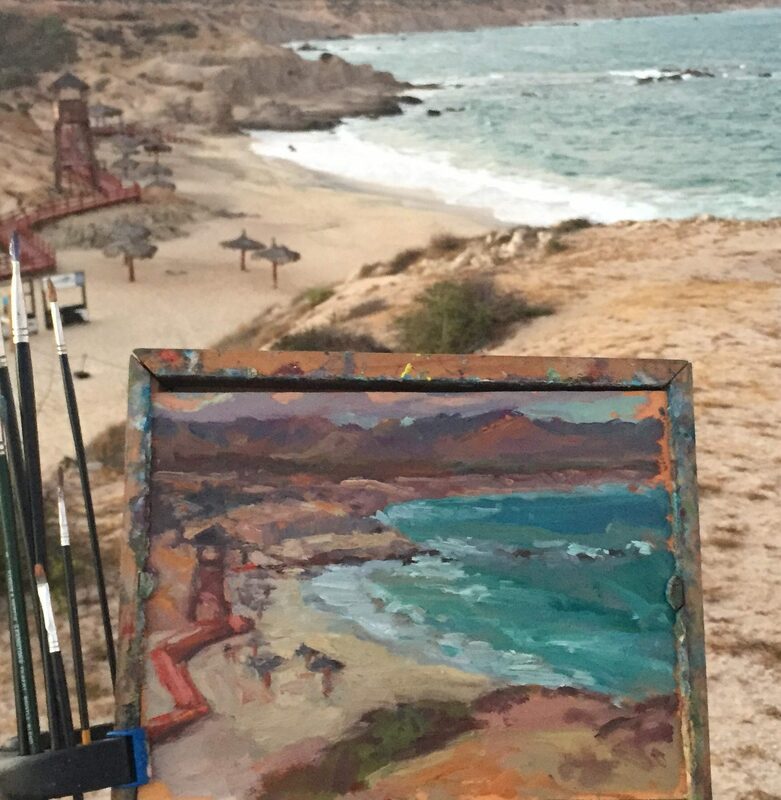 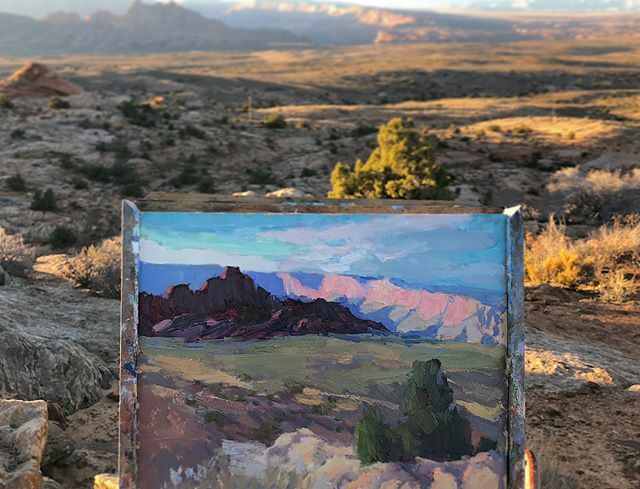 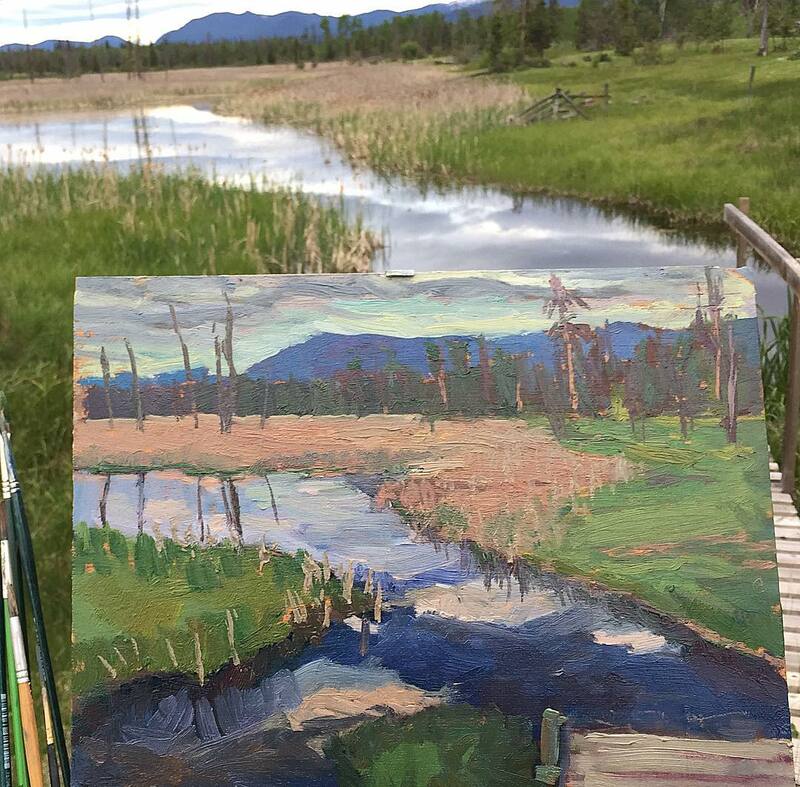 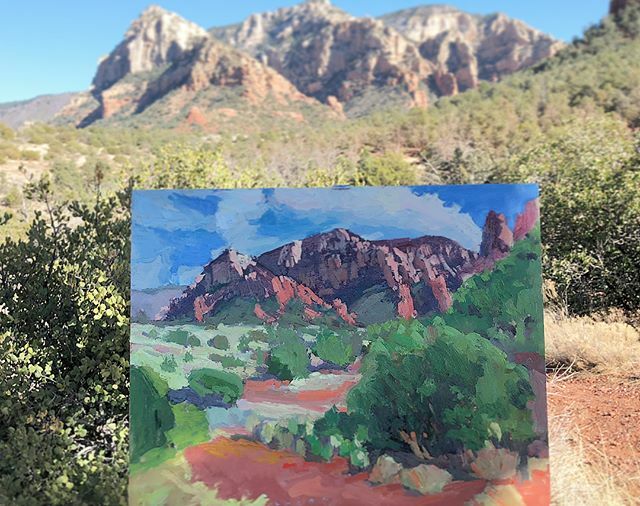 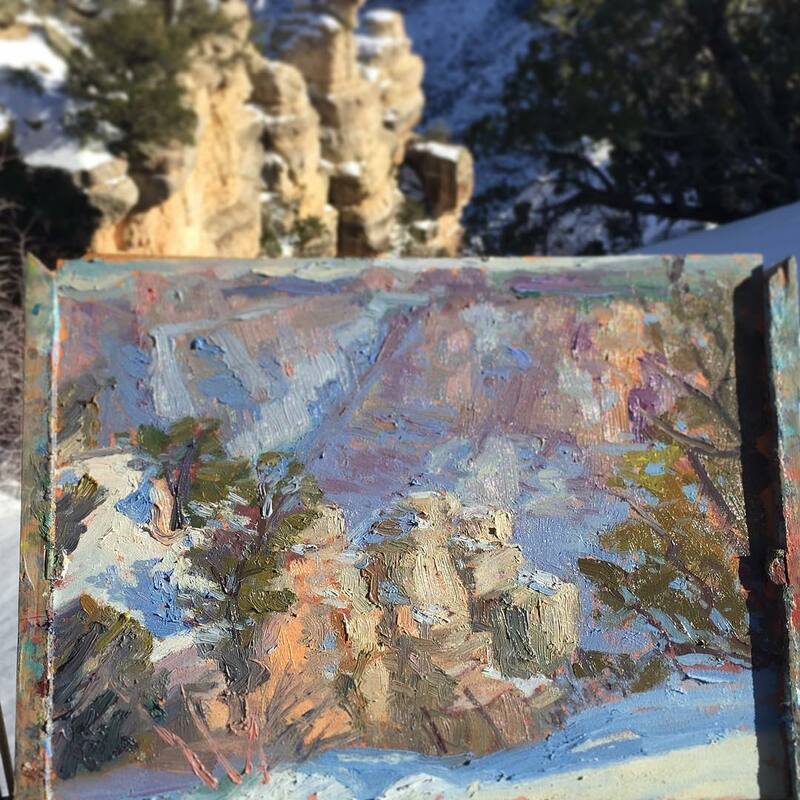 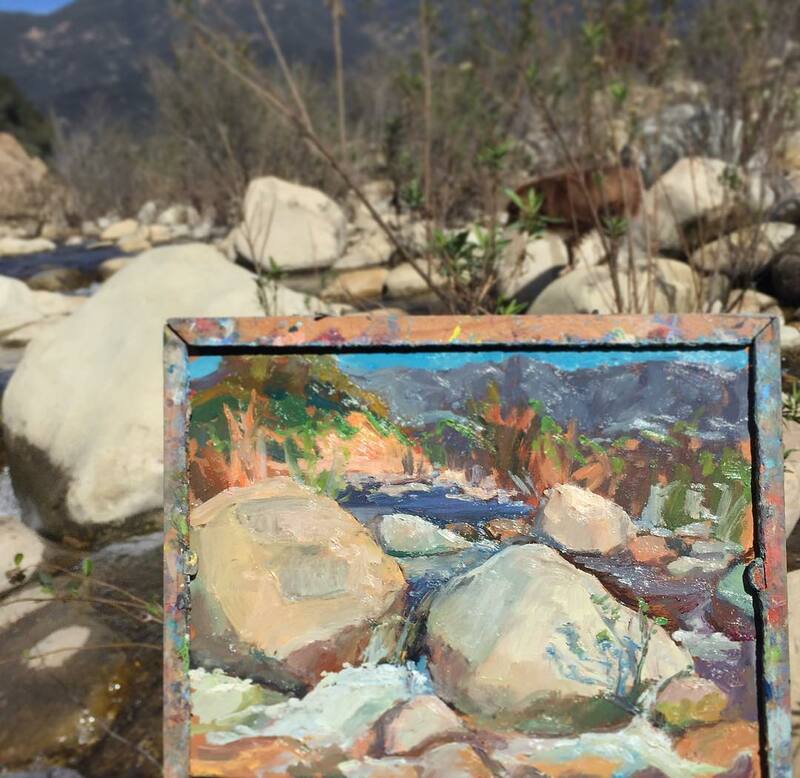 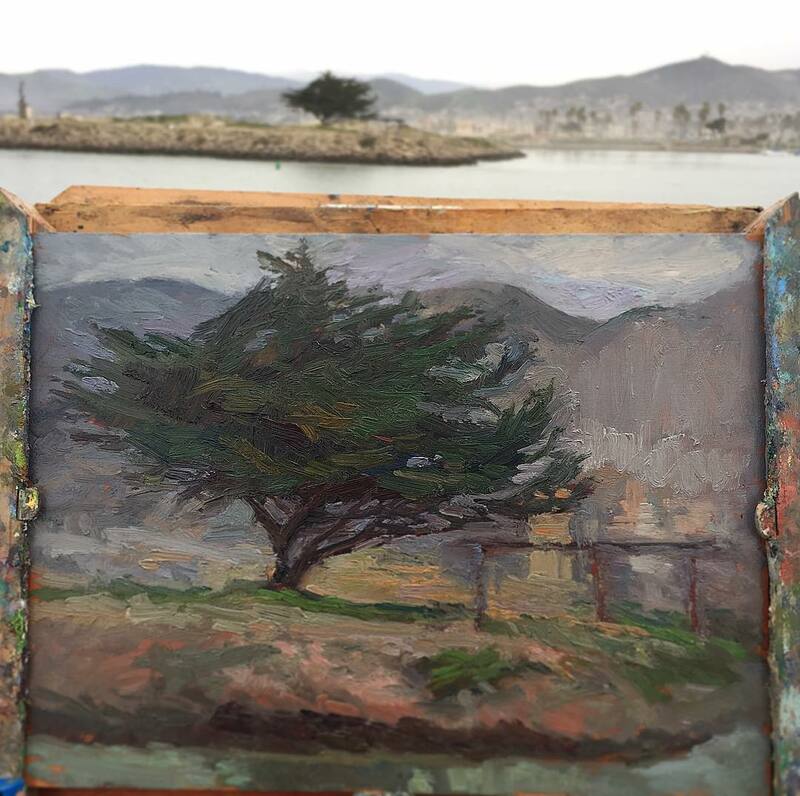 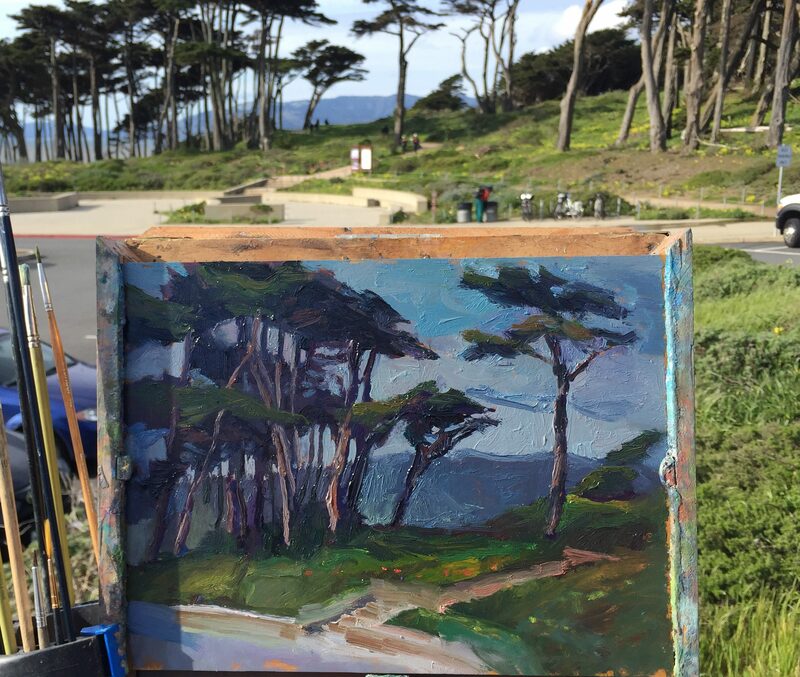 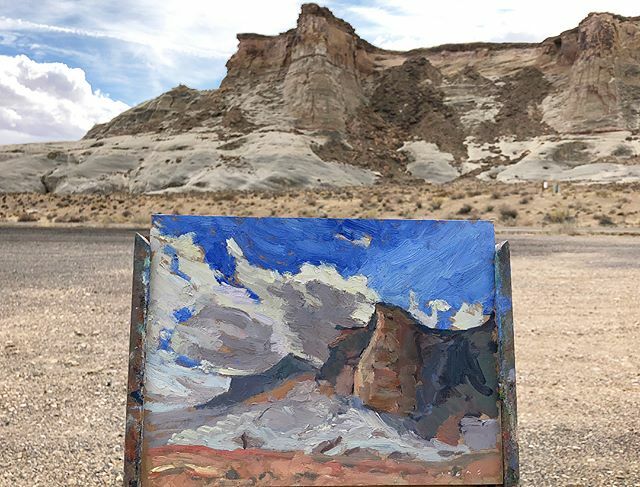 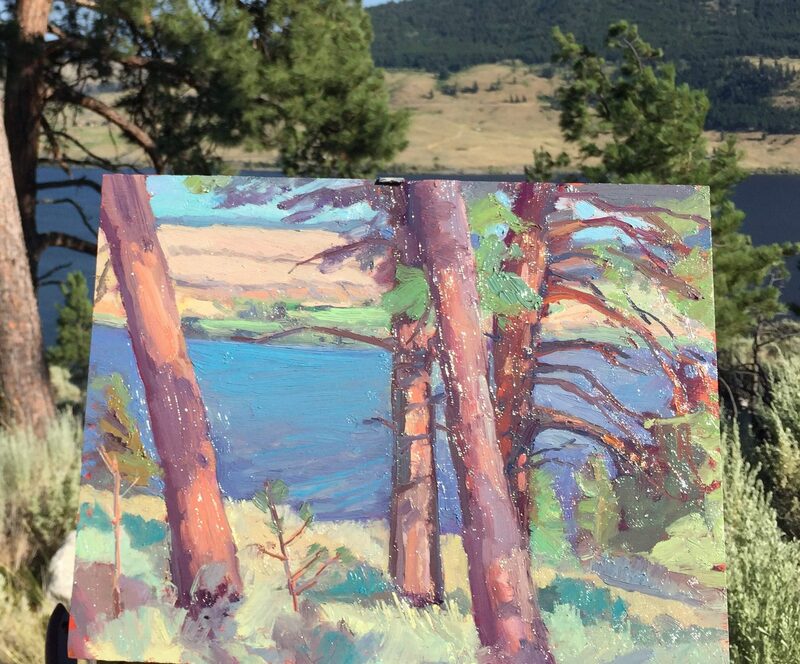 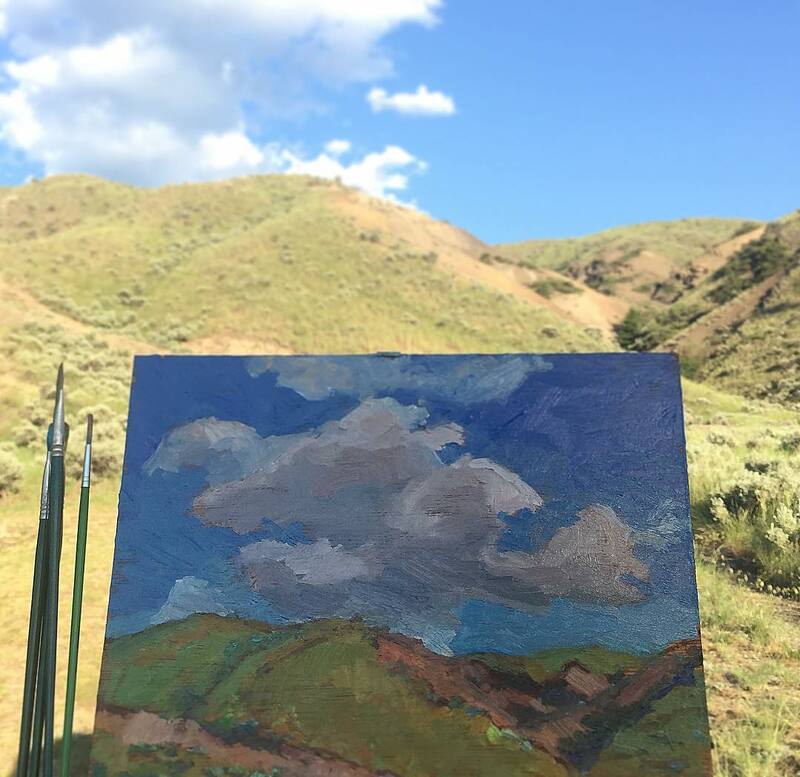 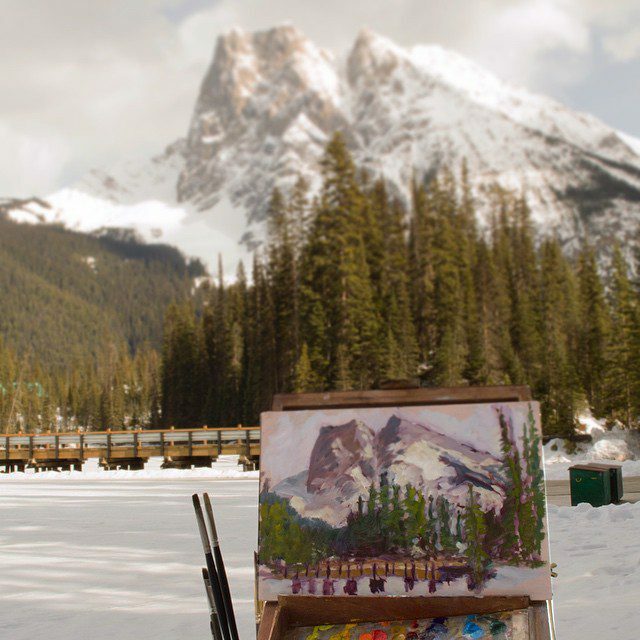 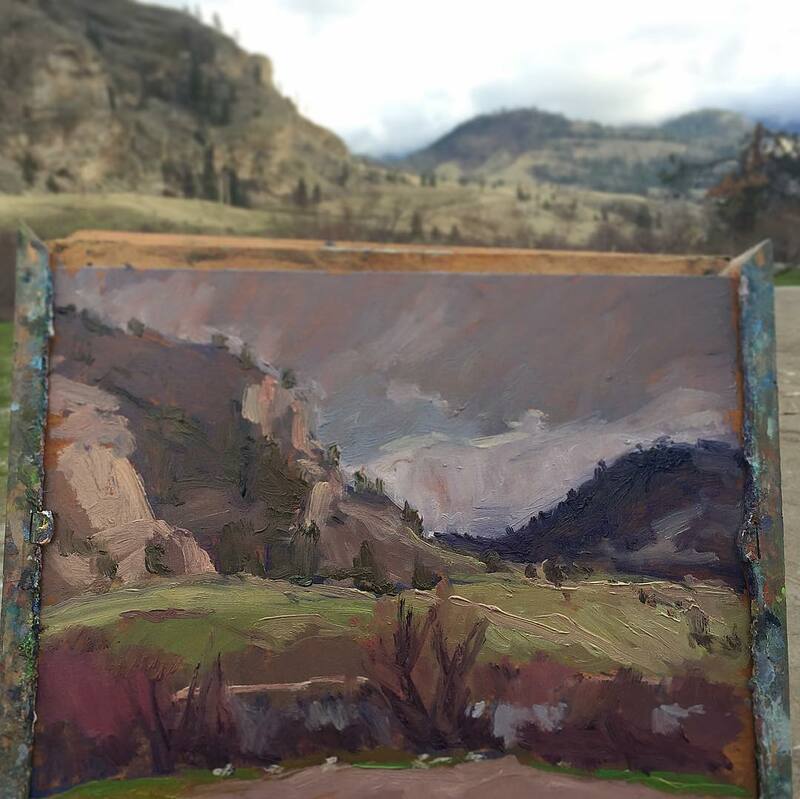 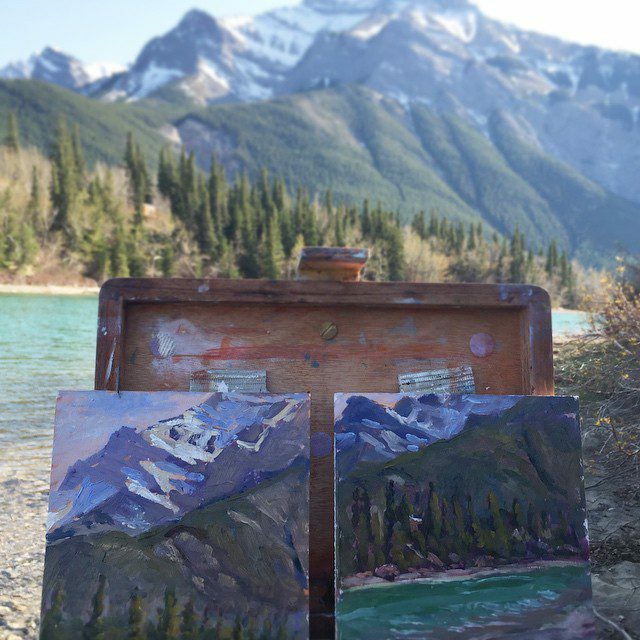 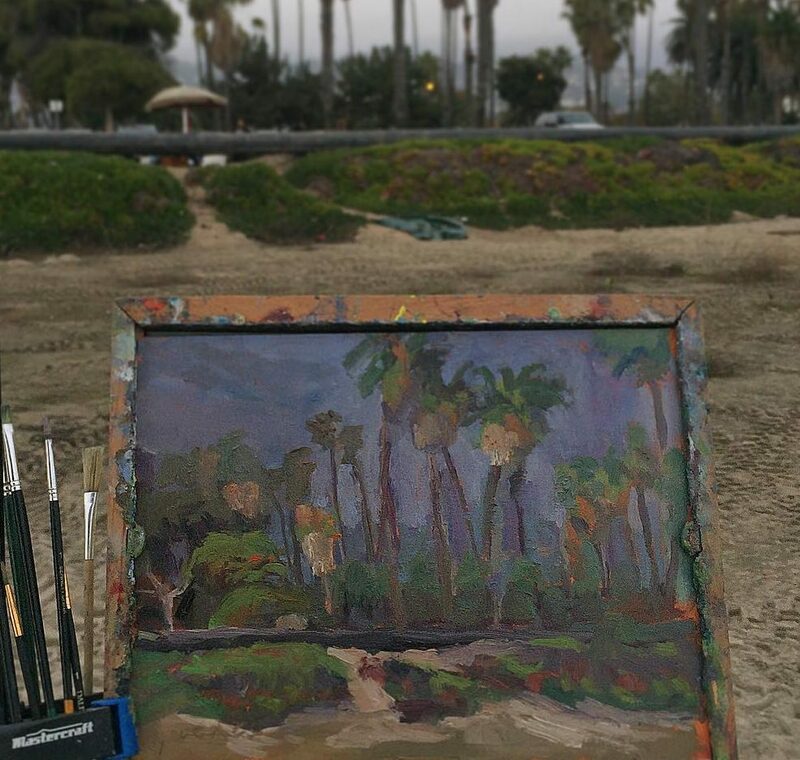 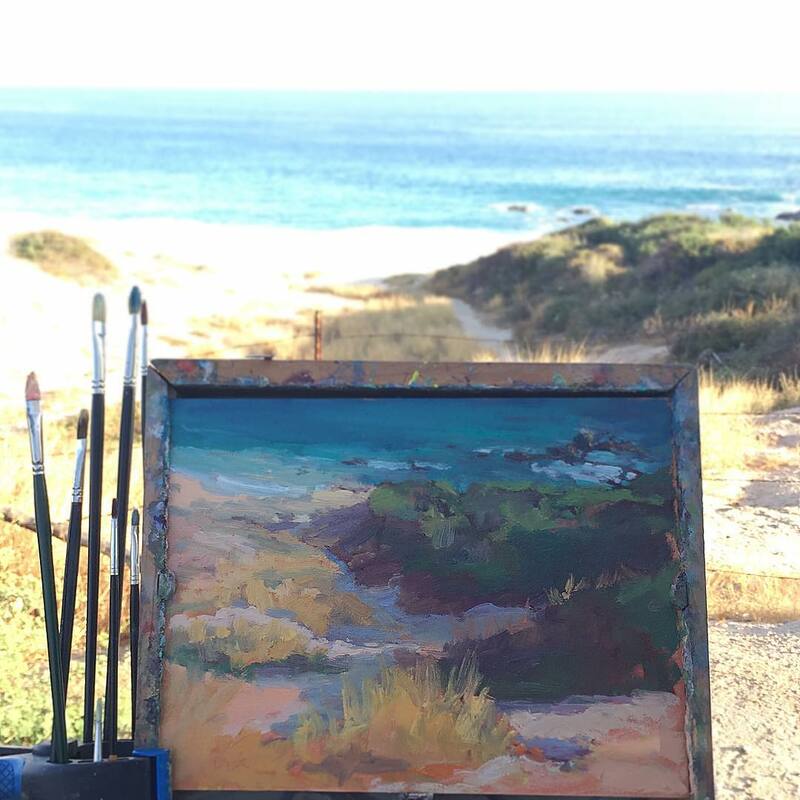 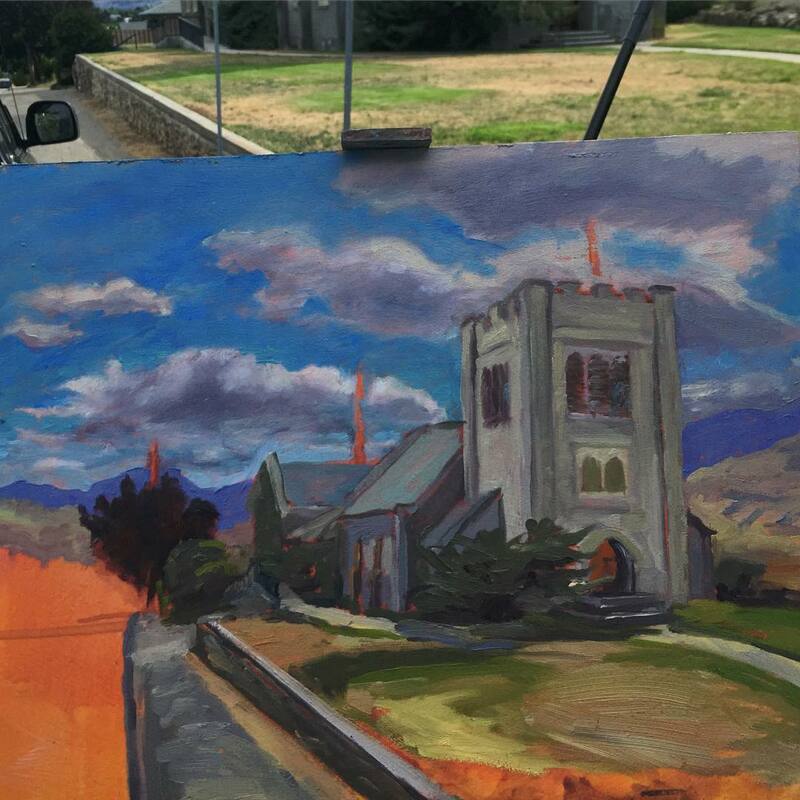 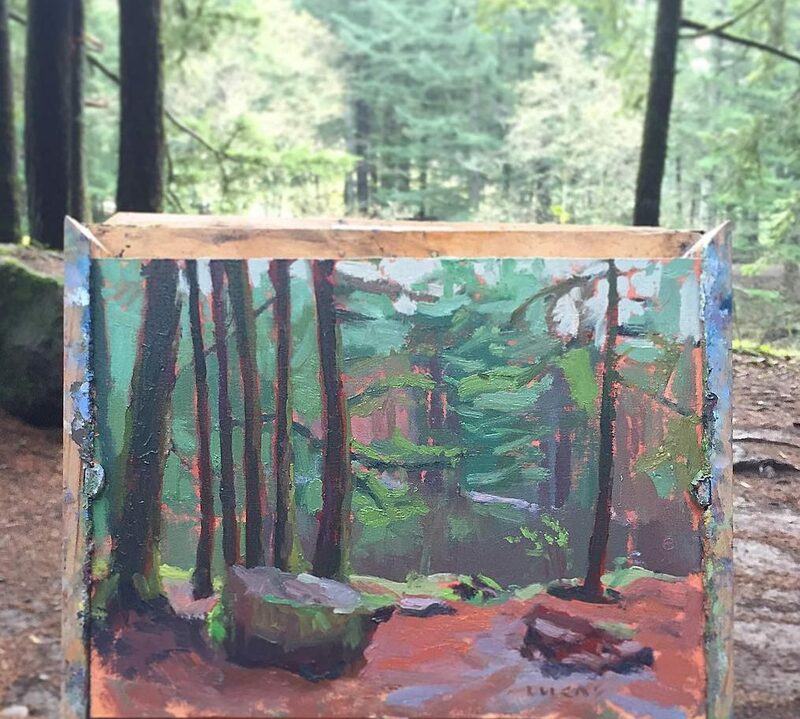 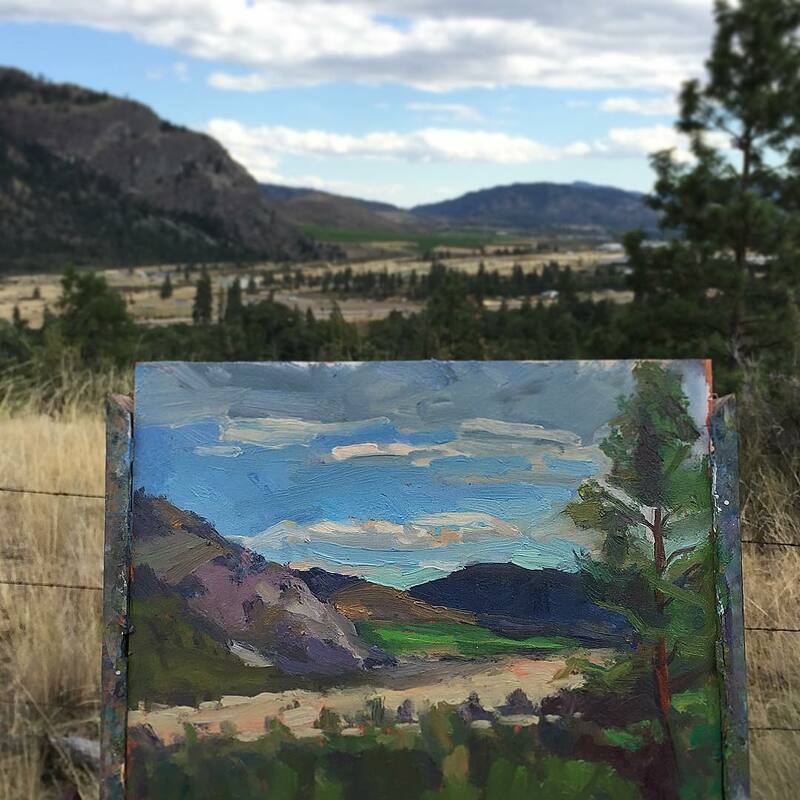 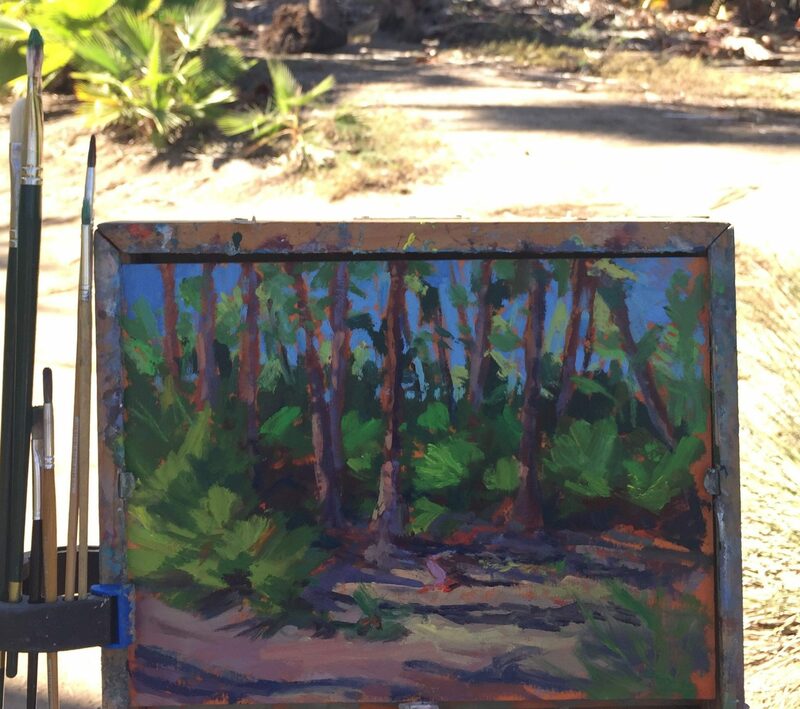 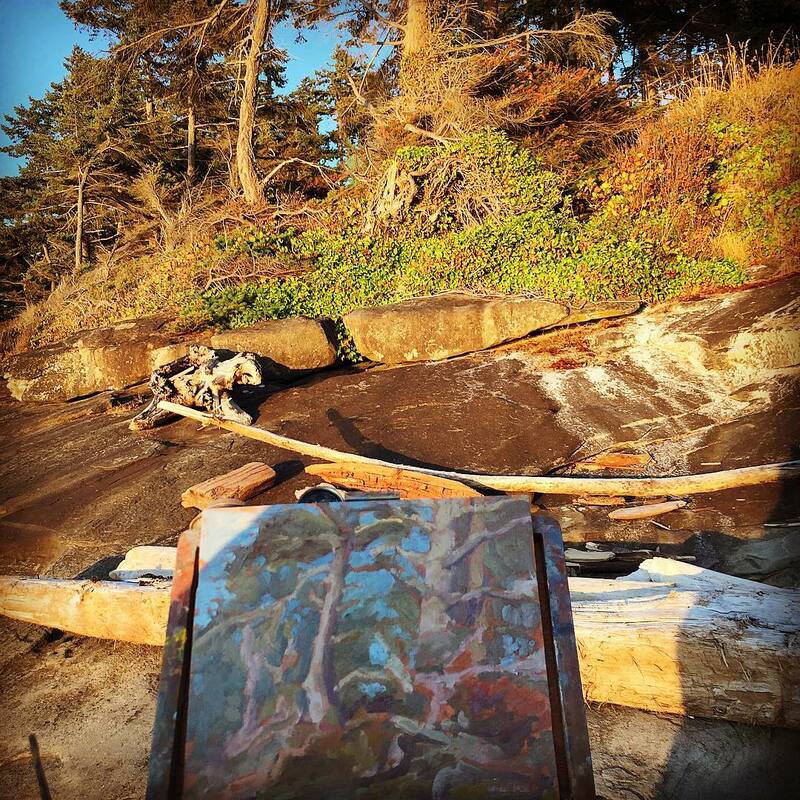 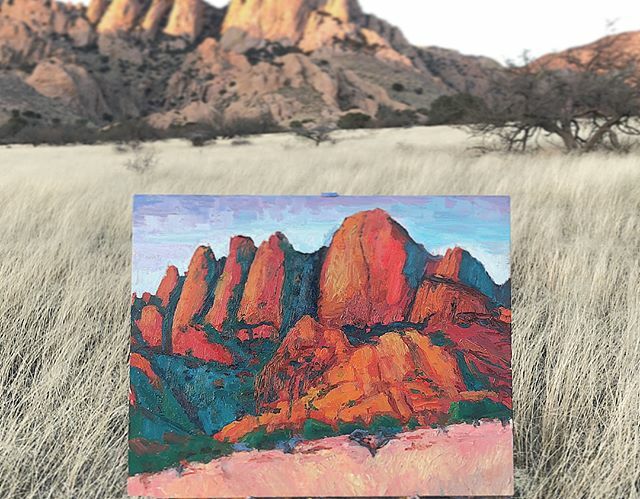 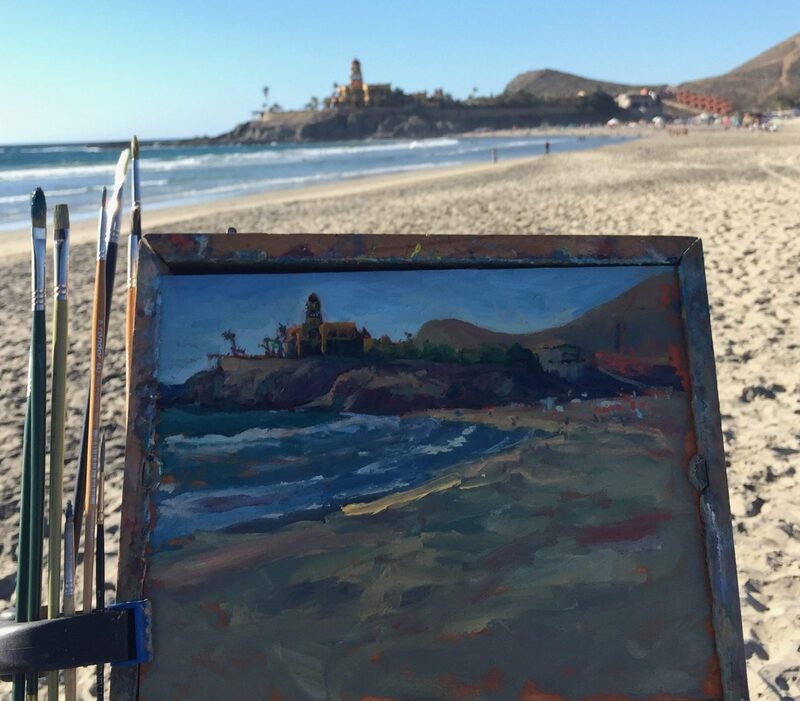 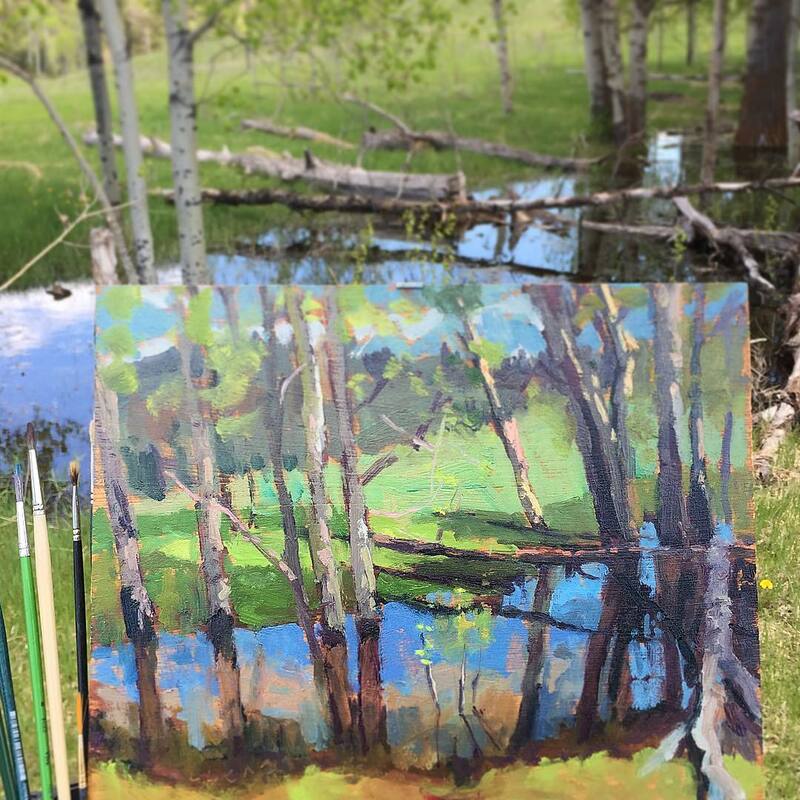 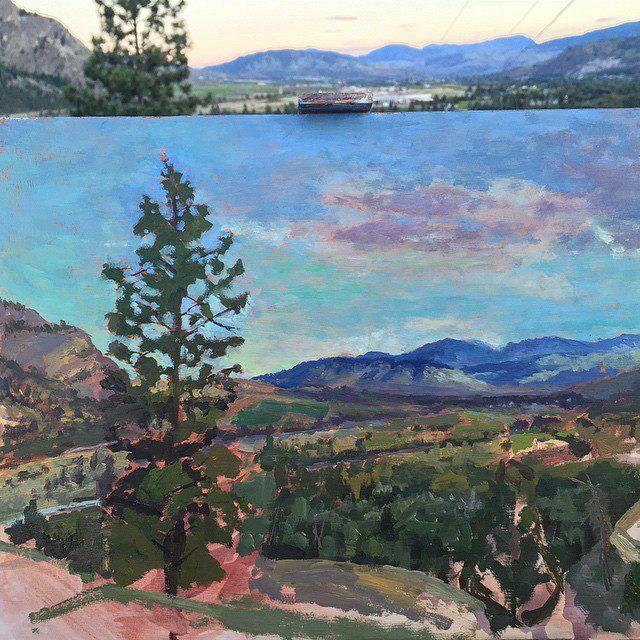 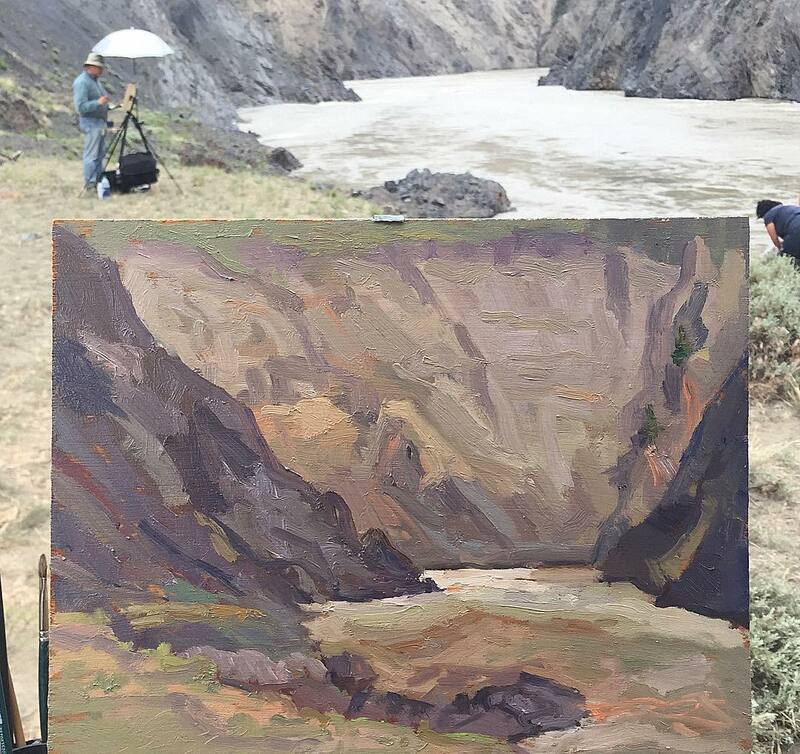 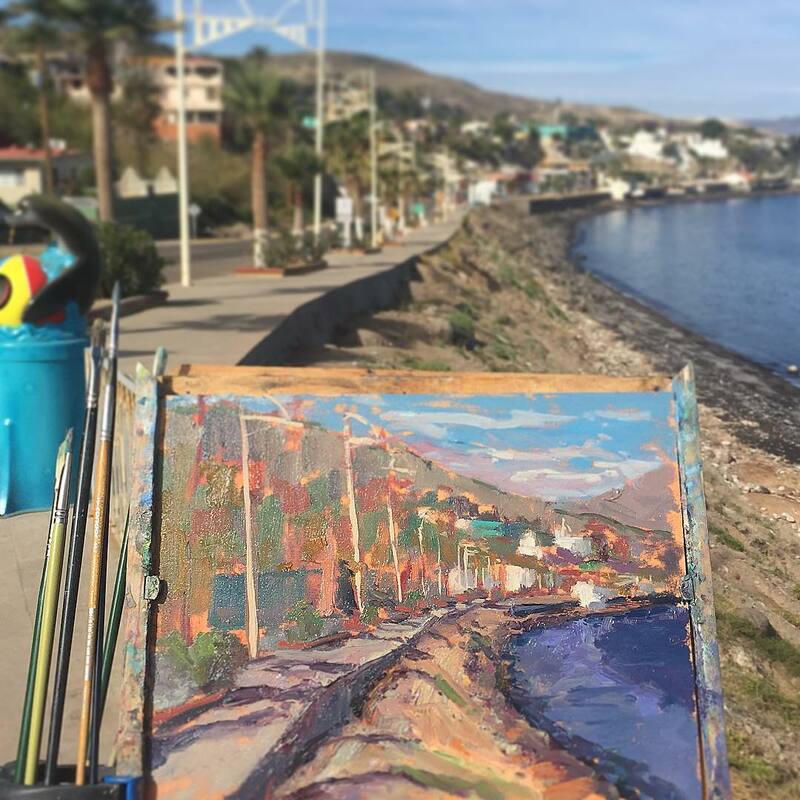 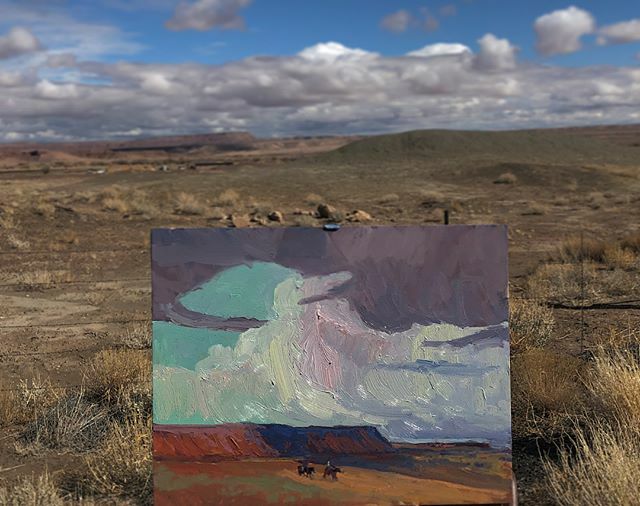 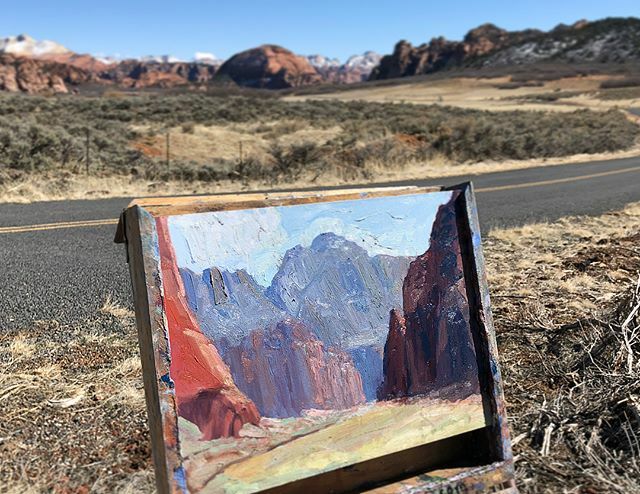 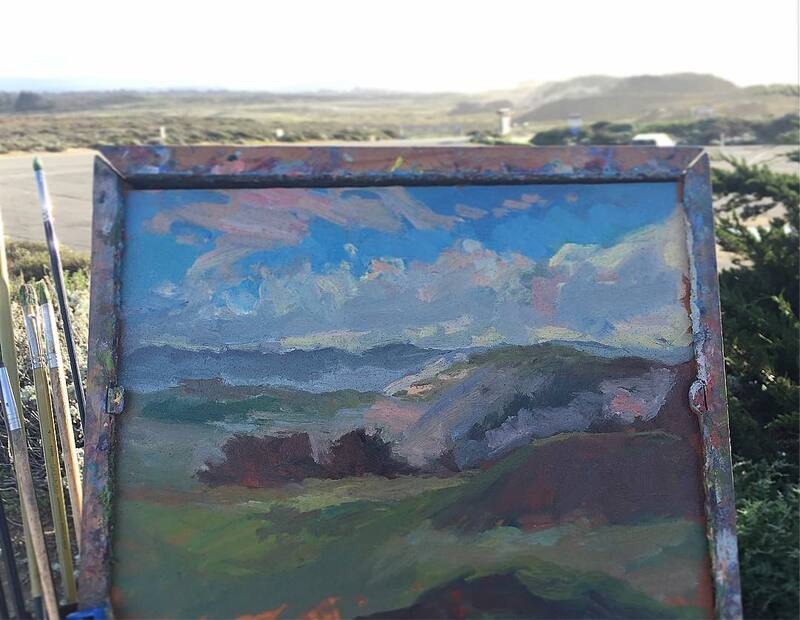 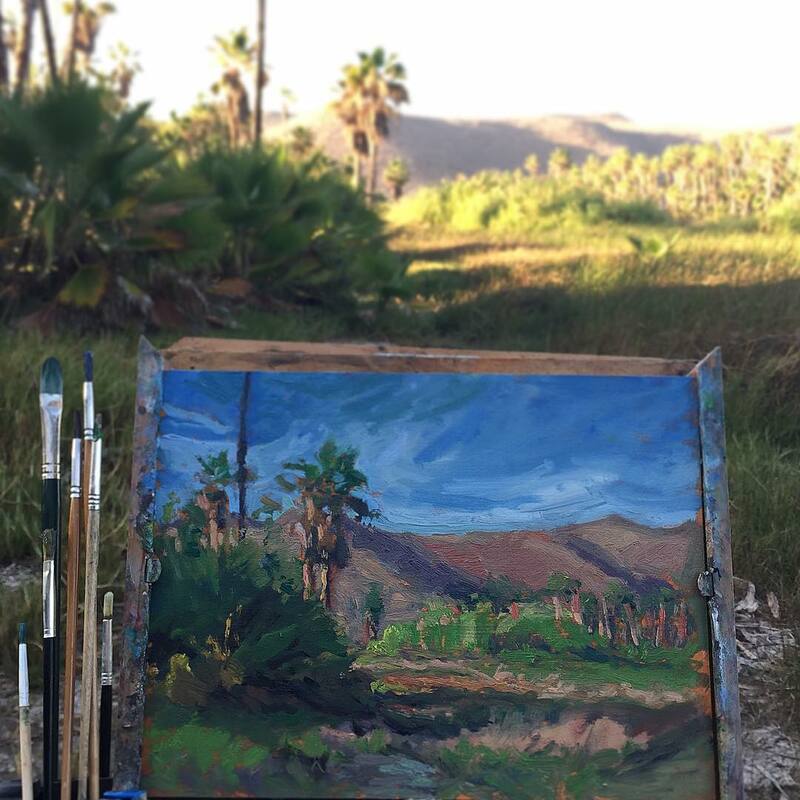 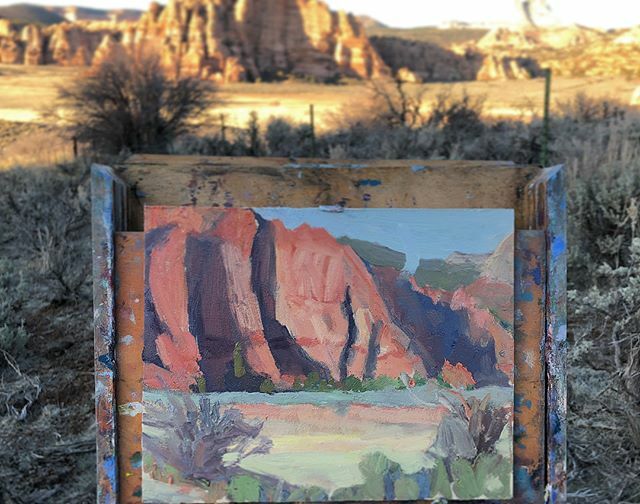 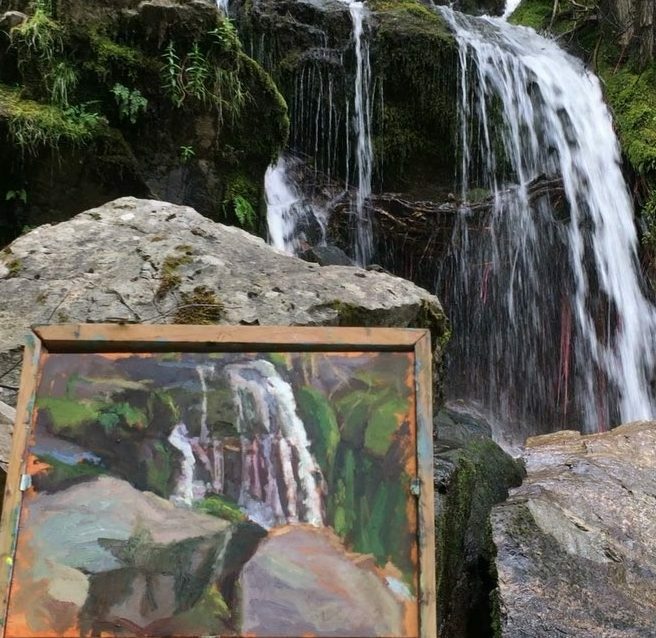 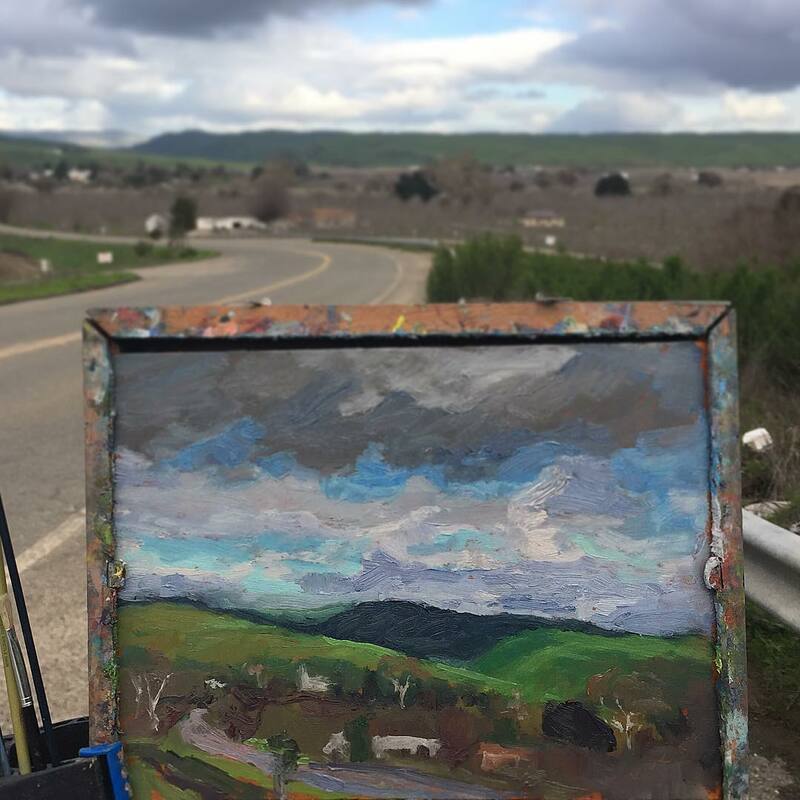 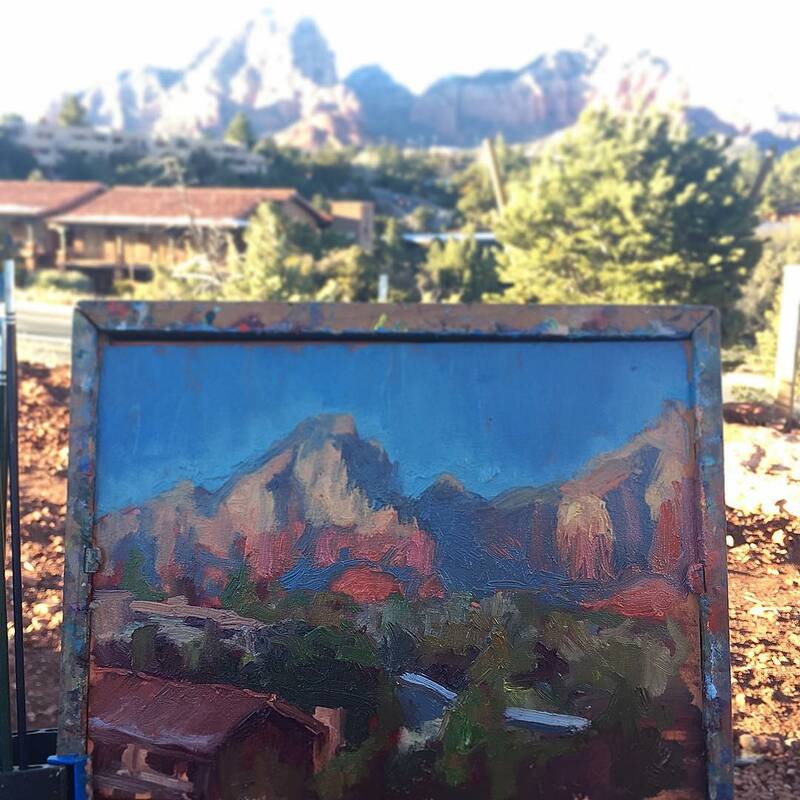 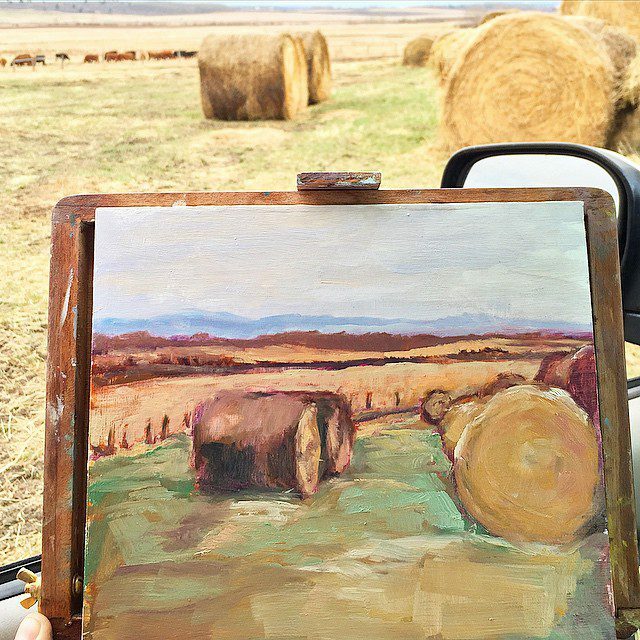 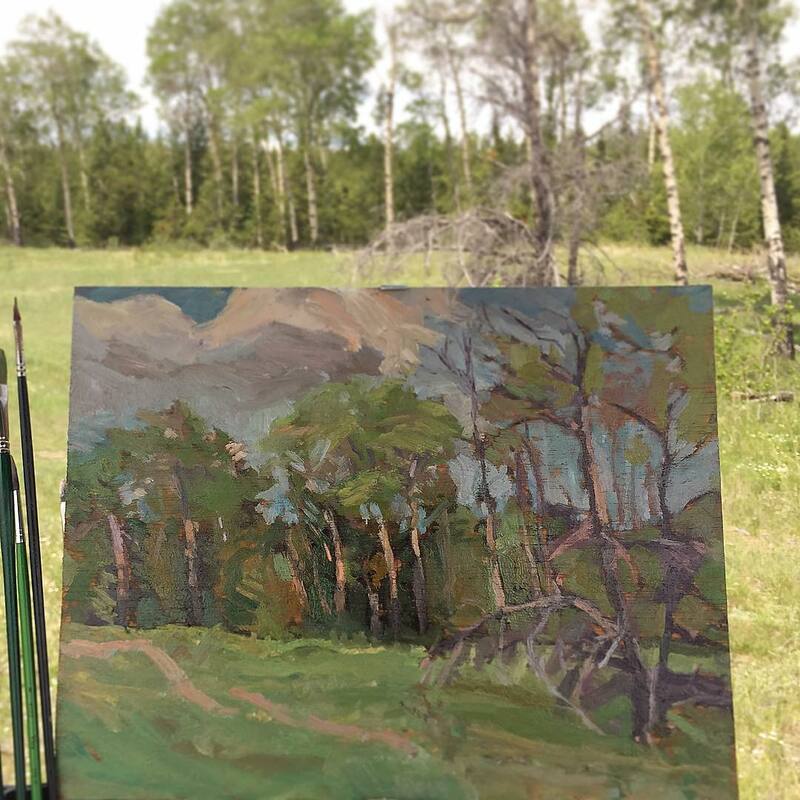 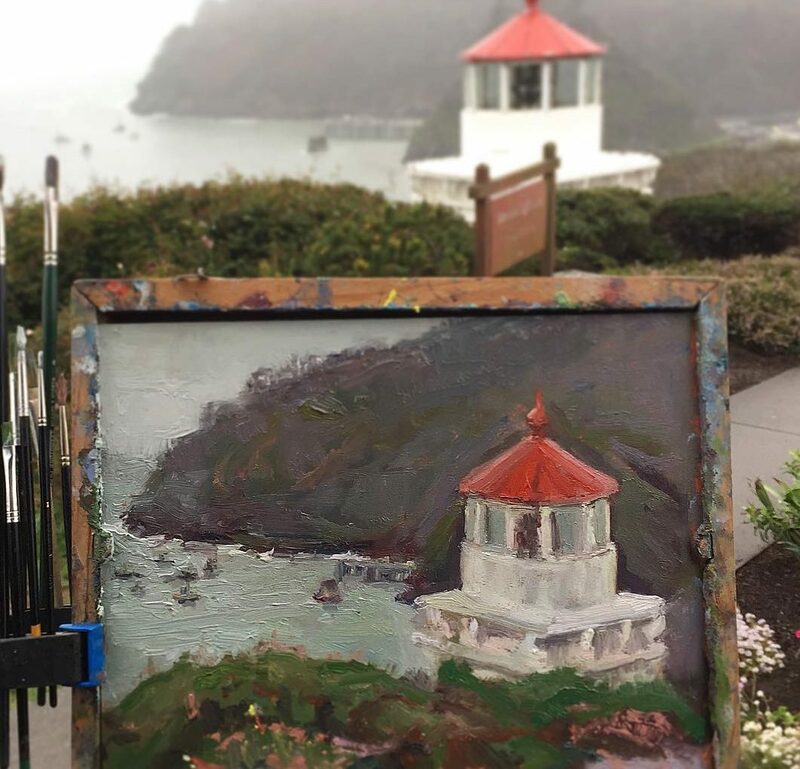 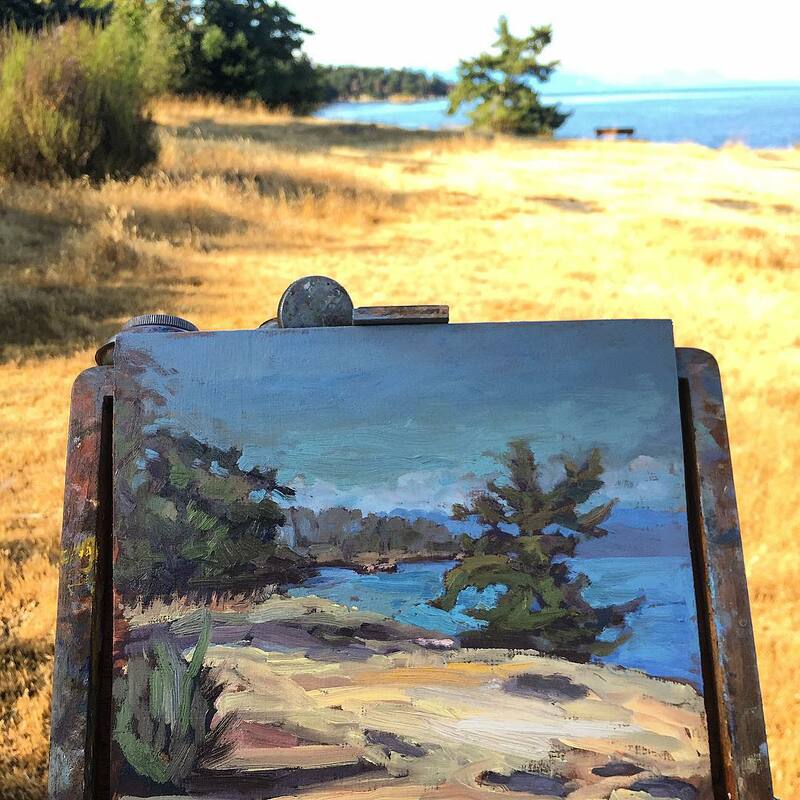 These plein air paintings were photographed on location right after they were painted. 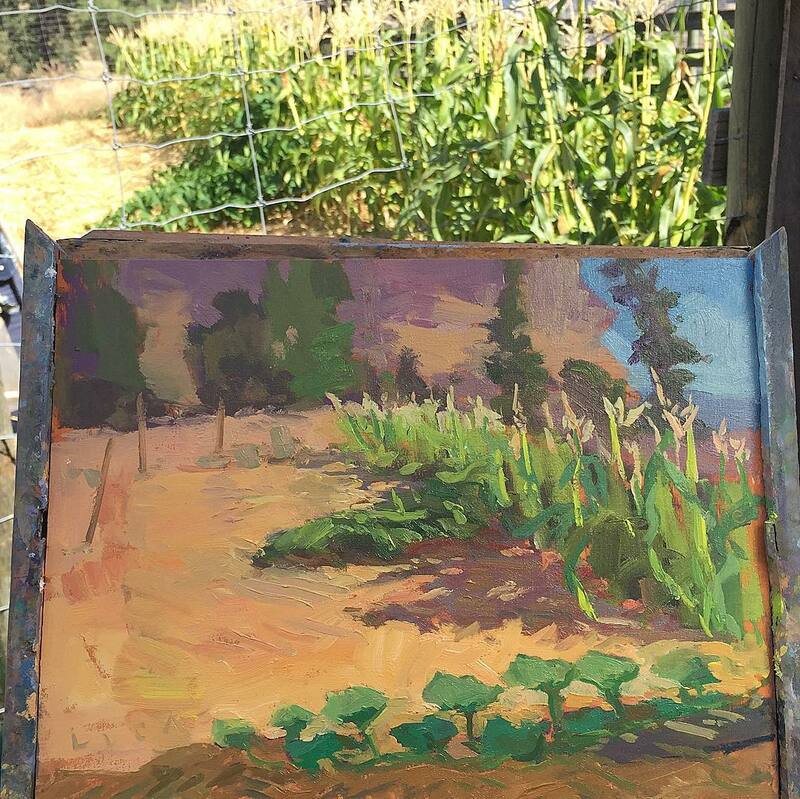 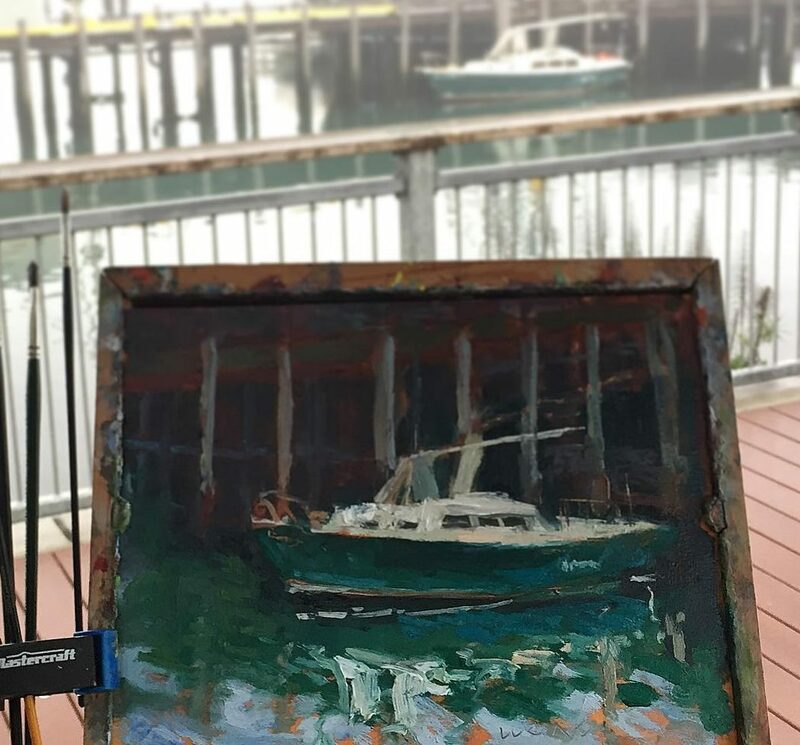 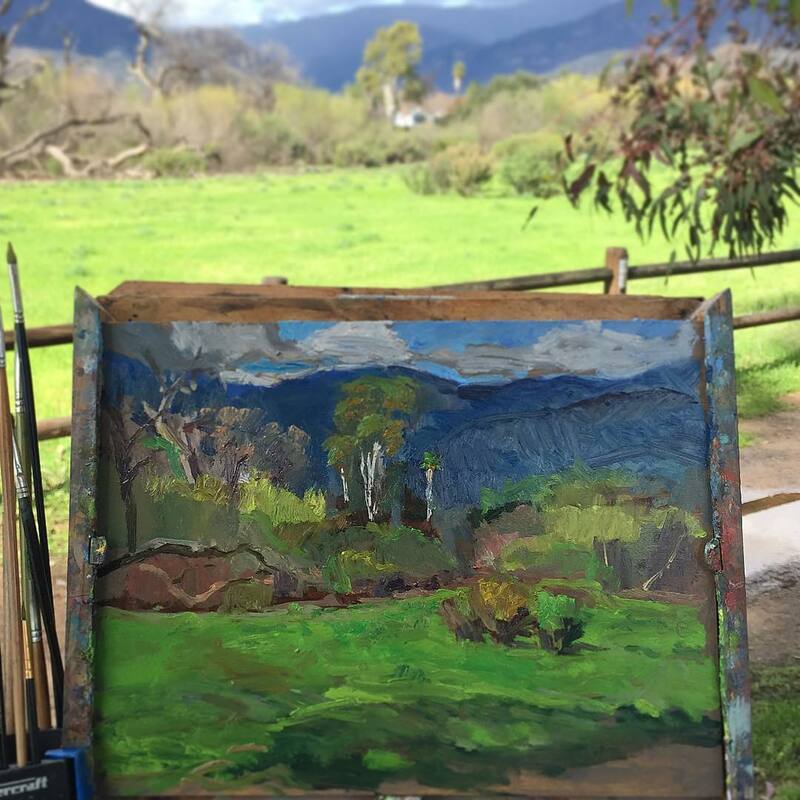 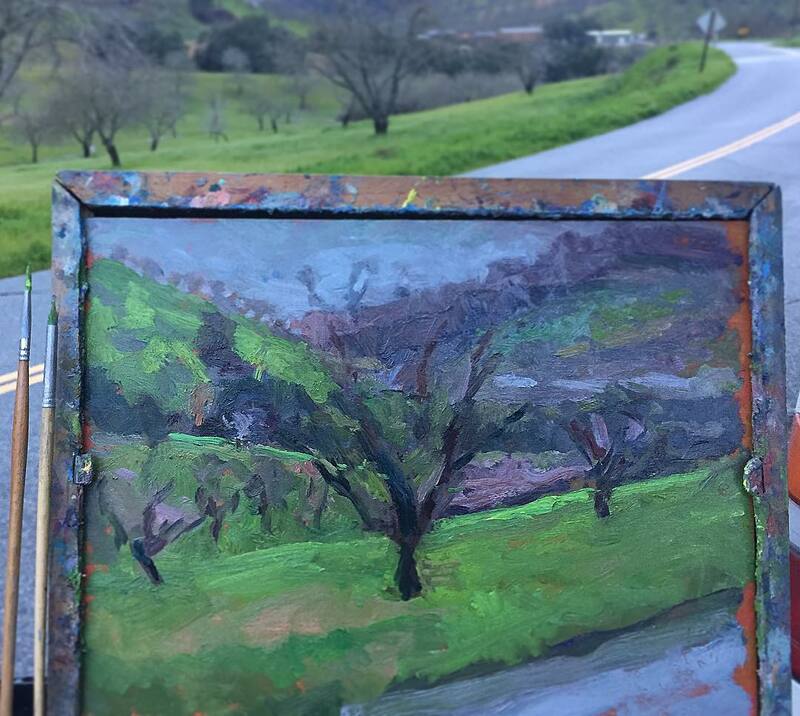 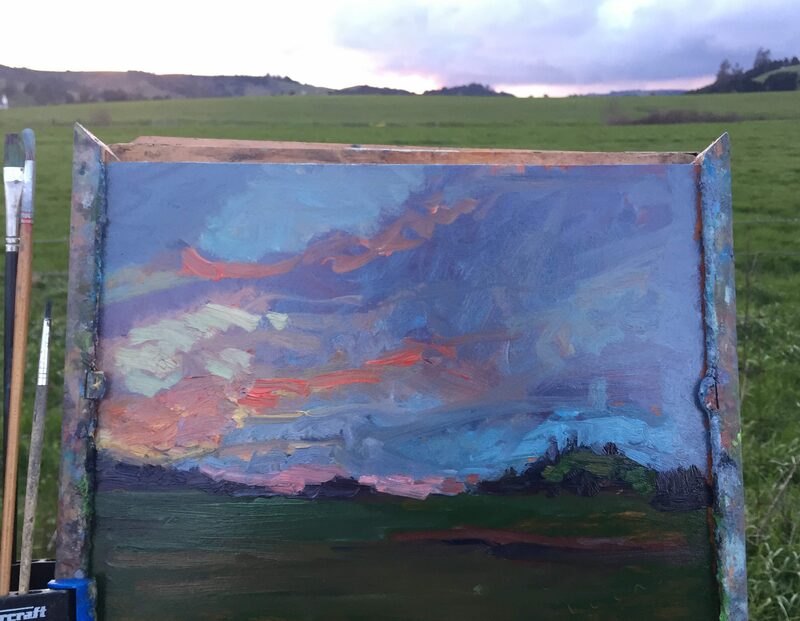 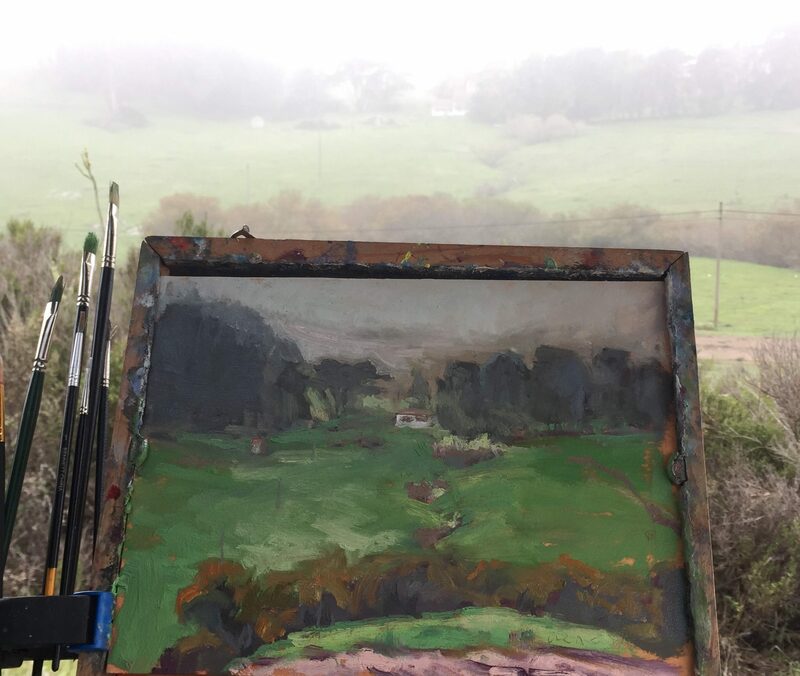 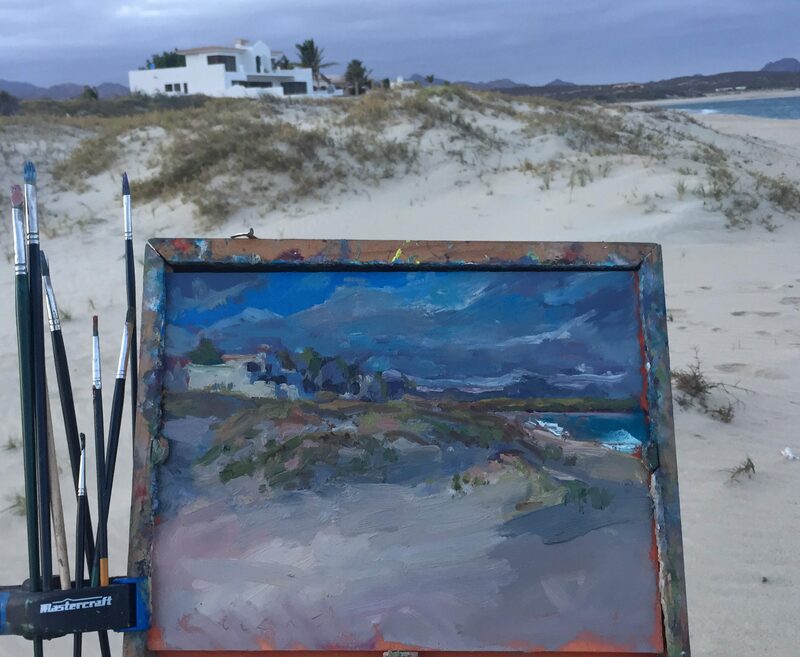 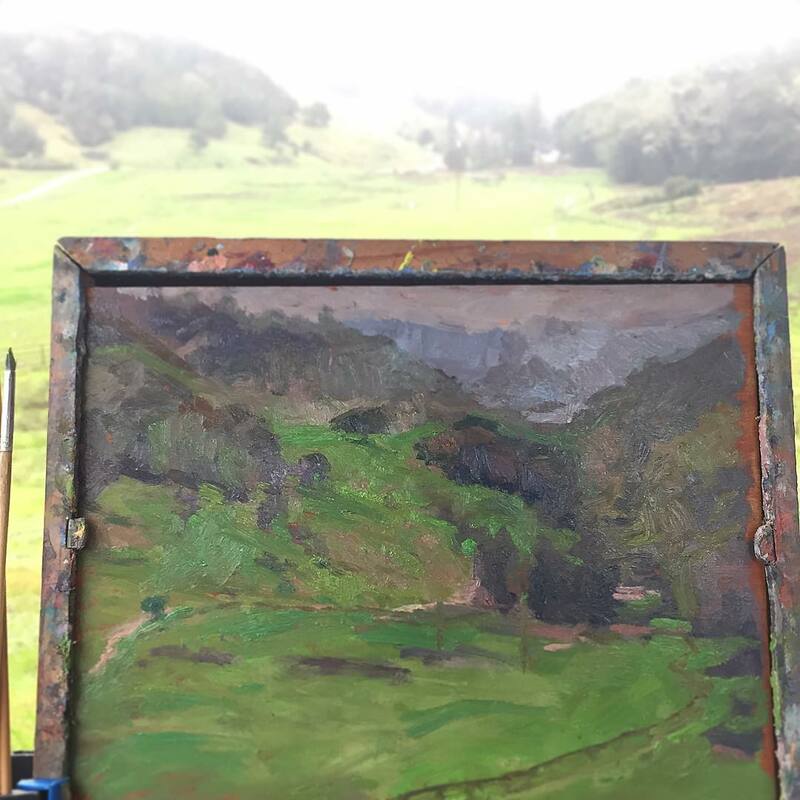 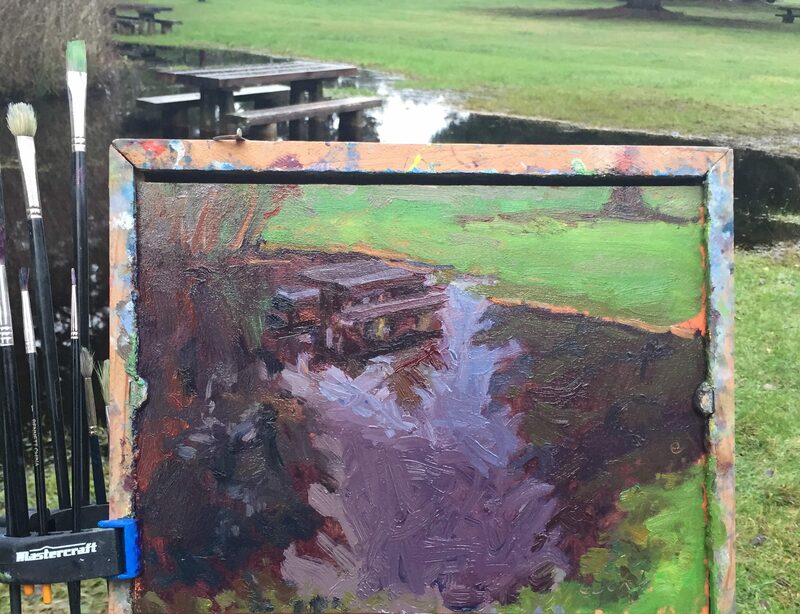 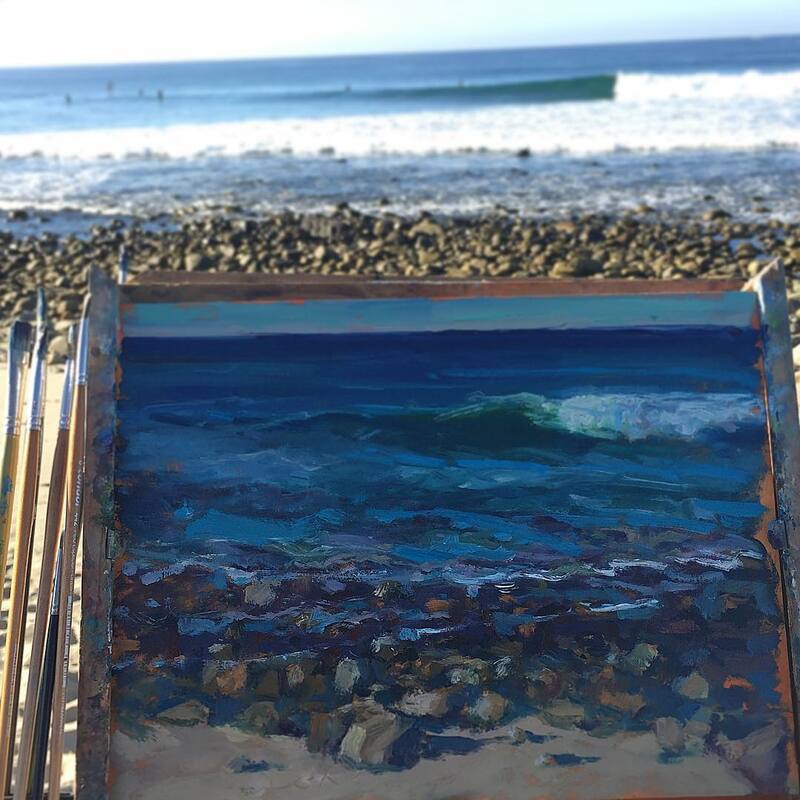 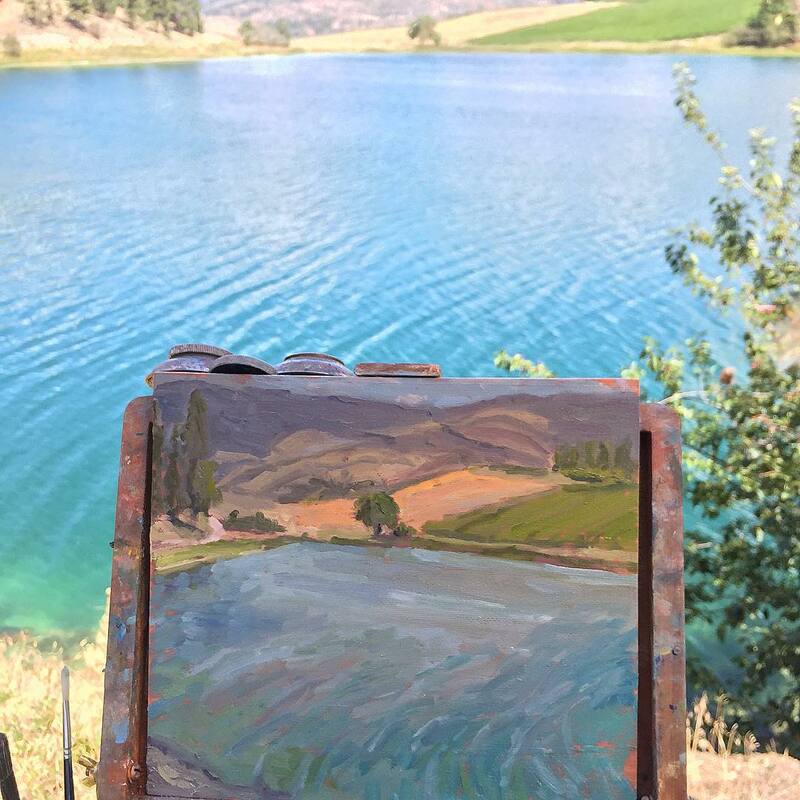 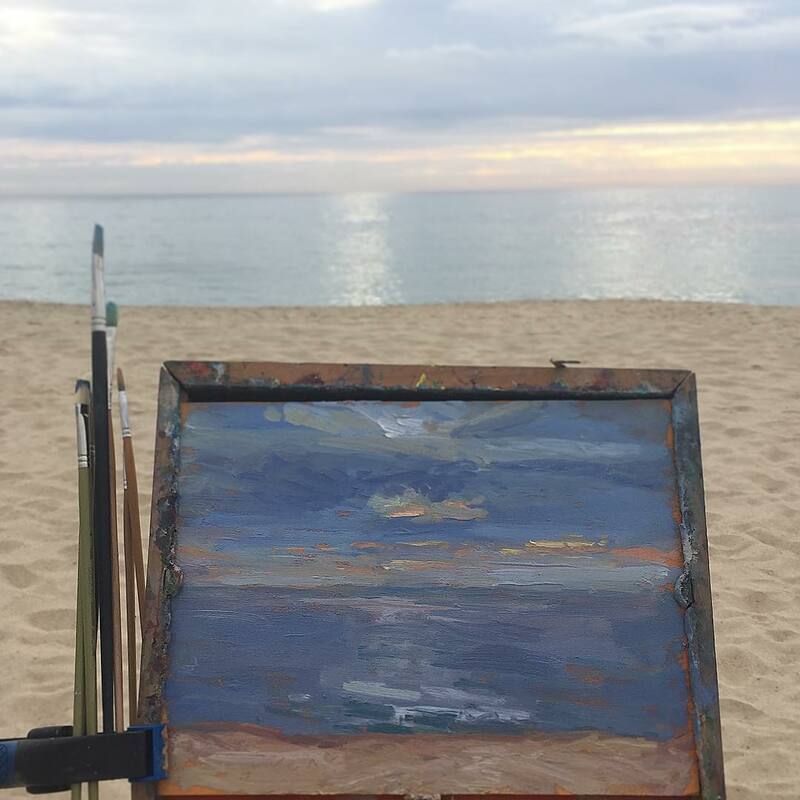 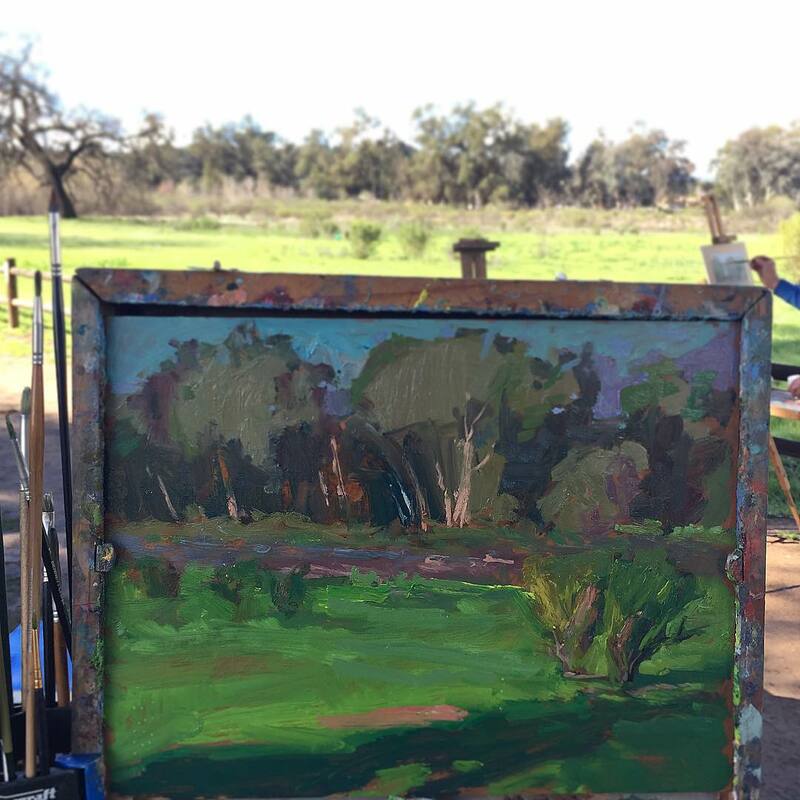 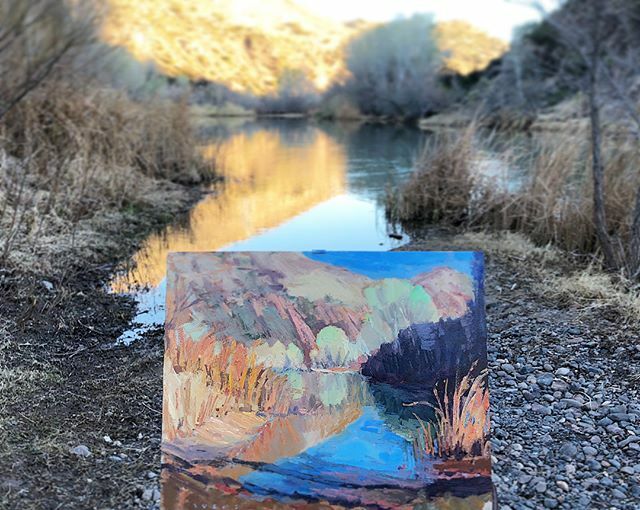 This form of painting outdoors was also used by some of my favorite impressionist painters in the 1800’s such as Claude Monet, Pierre-August Renoir, Paul Cezanne, Camille Pissaro, Joaquin Sorolla, Mary Cassatt, and many others. 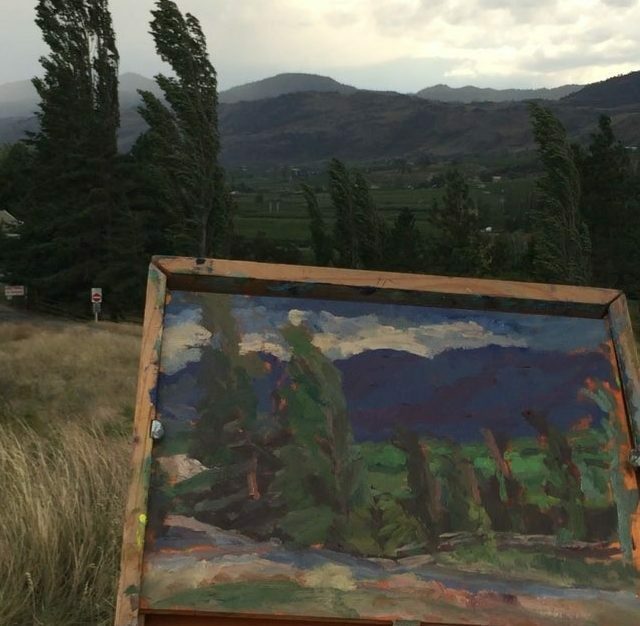 The Group of Seven painters from Canada would adopt this style of painting from life outdoors. 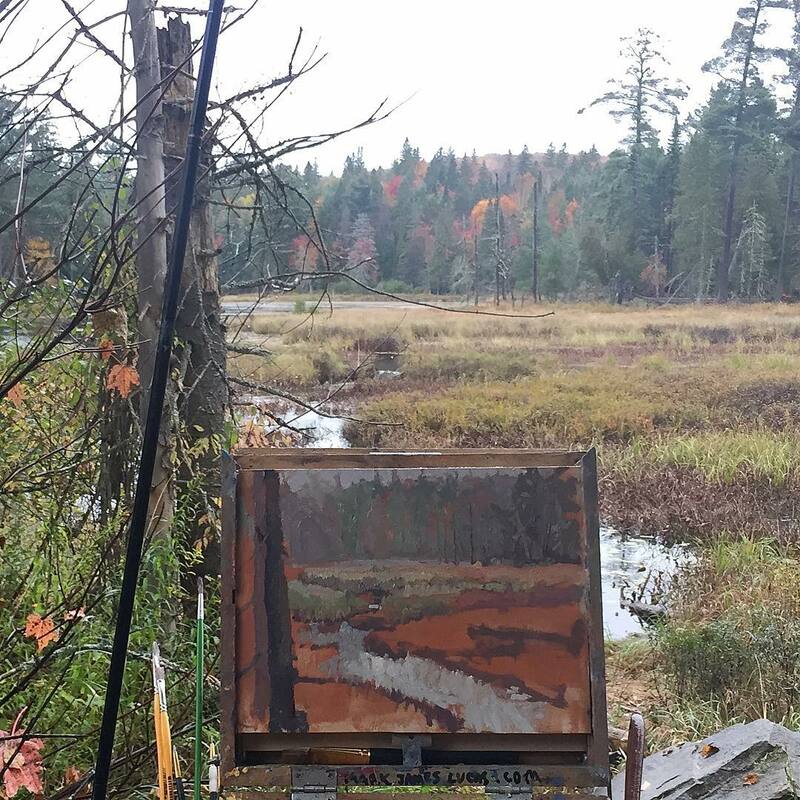 Tom Thomson from this group, and these impressionist and post-impressionist painters are a major influence on my painting and a source of continued inspiration. 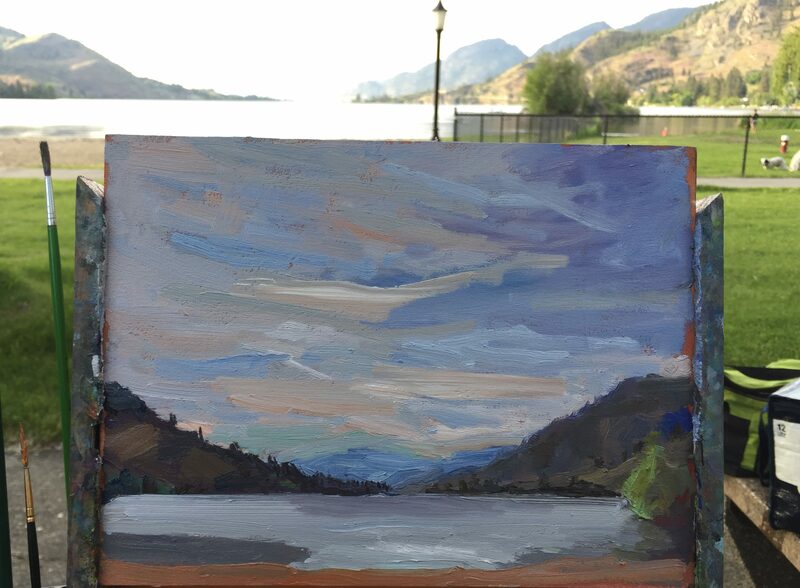 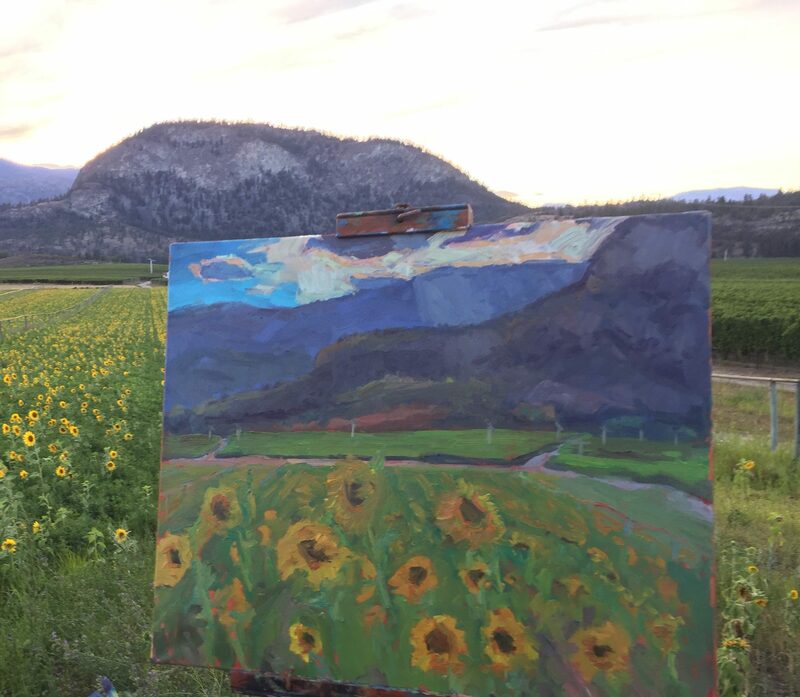 Peachland View. 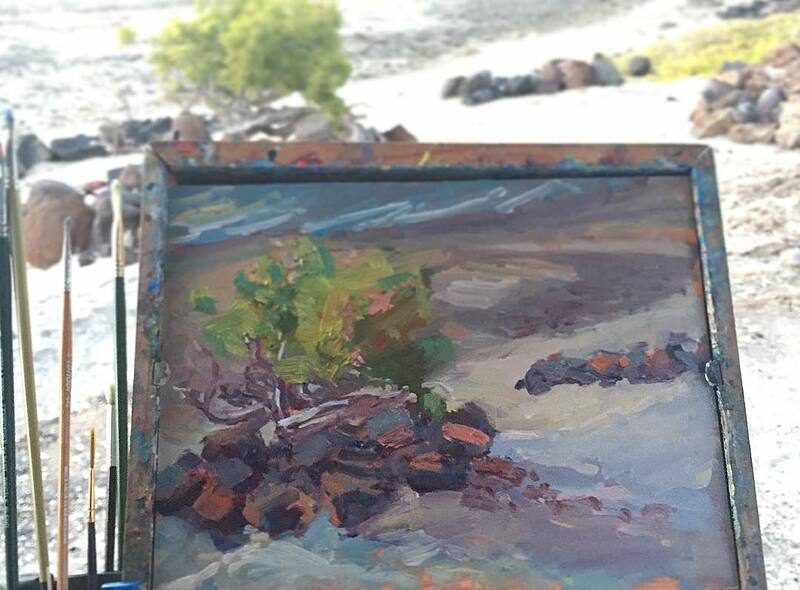 10 x 8. 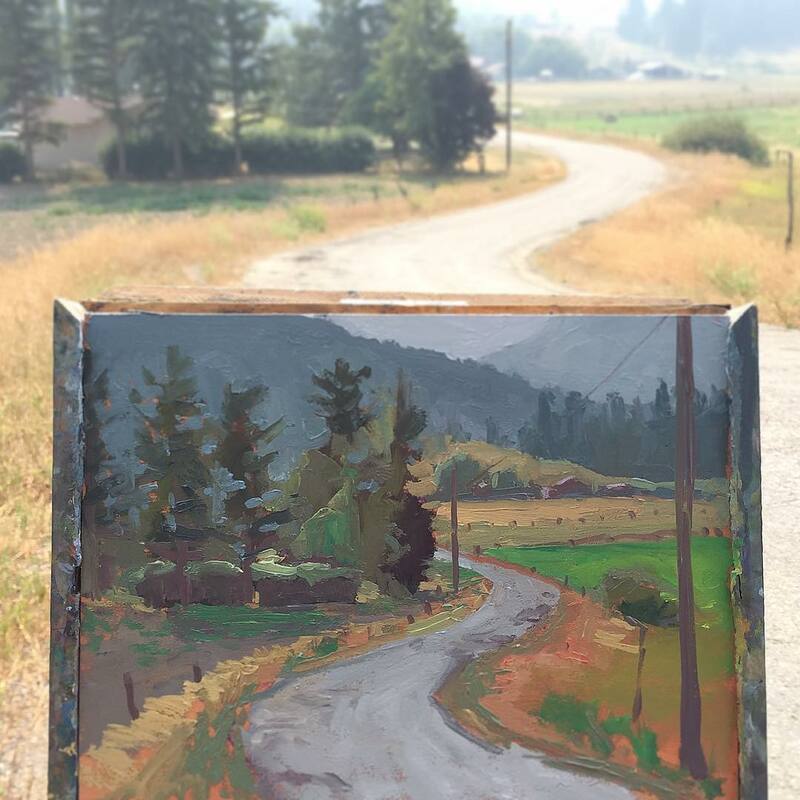 Q Ranch. 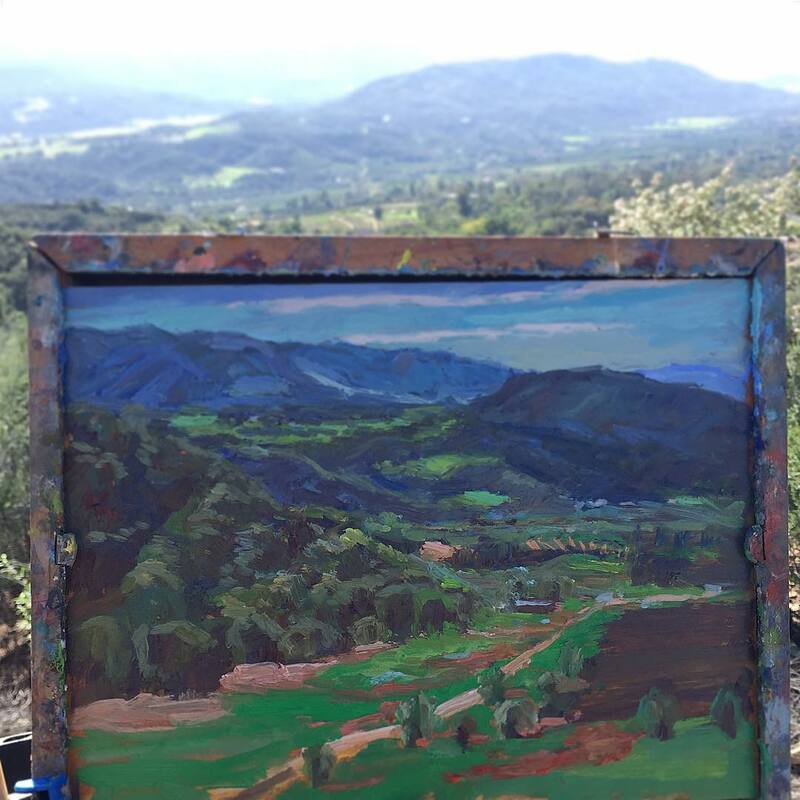 14 x 11. 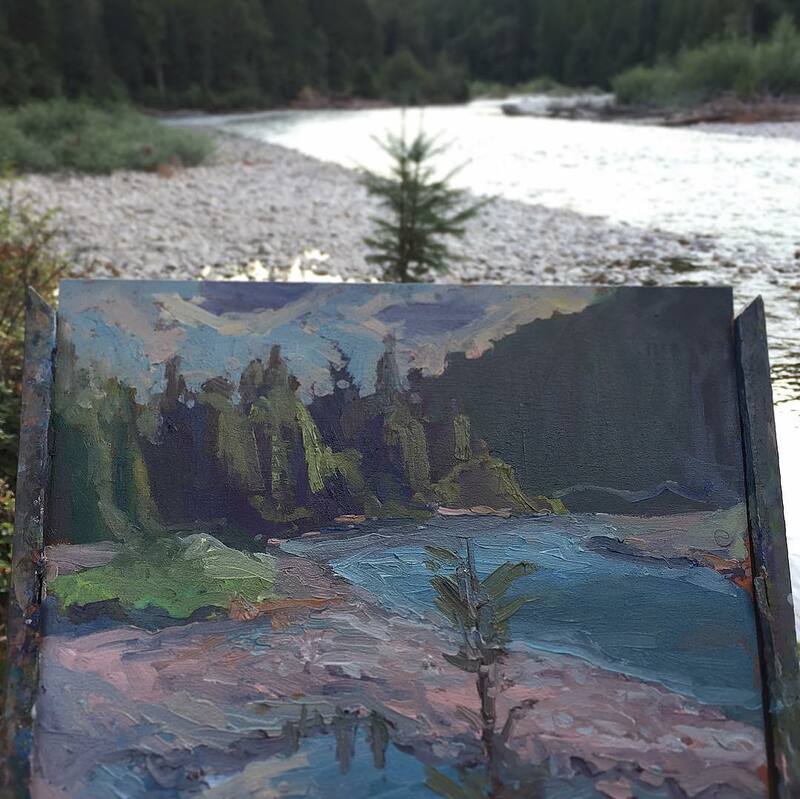 Pines at Nicola Lake. 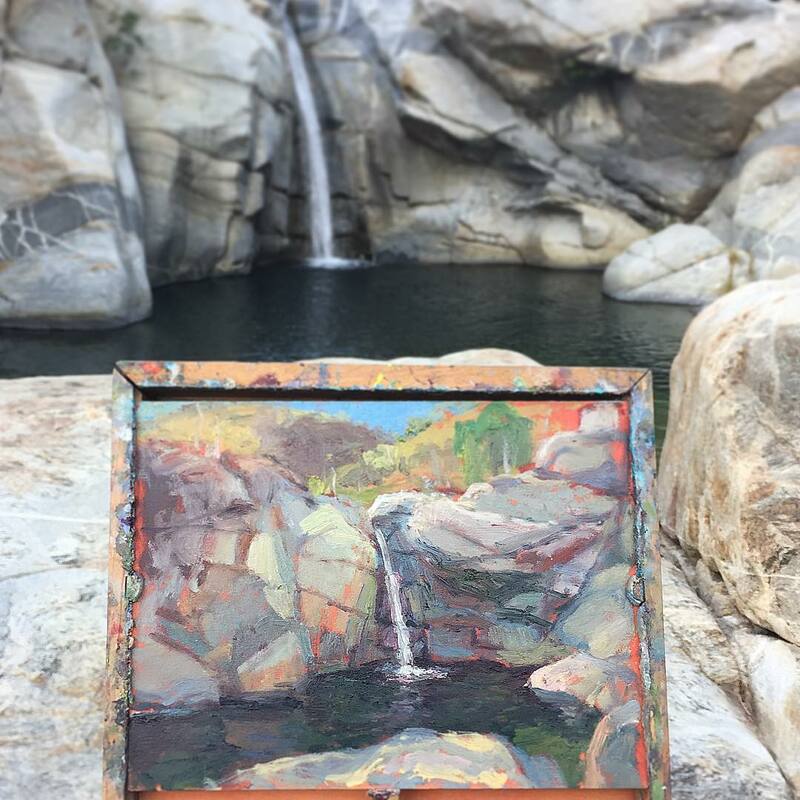 14 x 11. 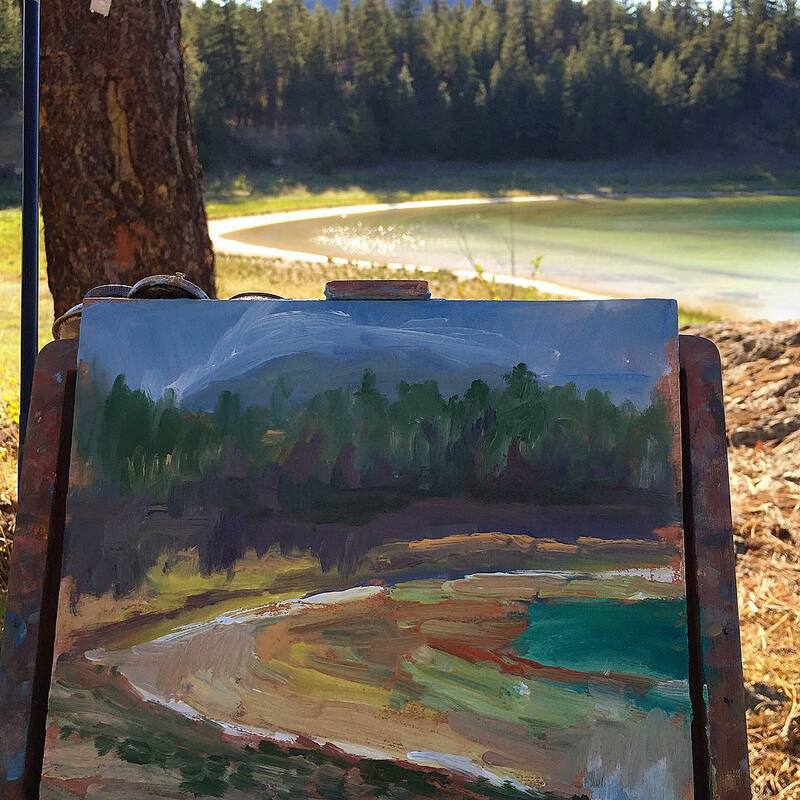 Douglas Lake. 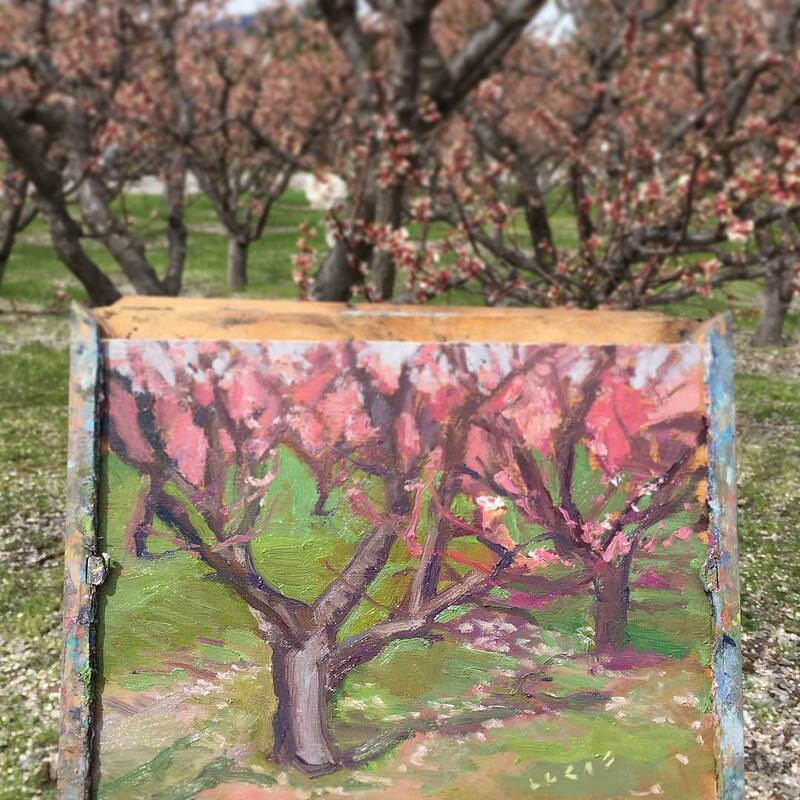 10 x 8. 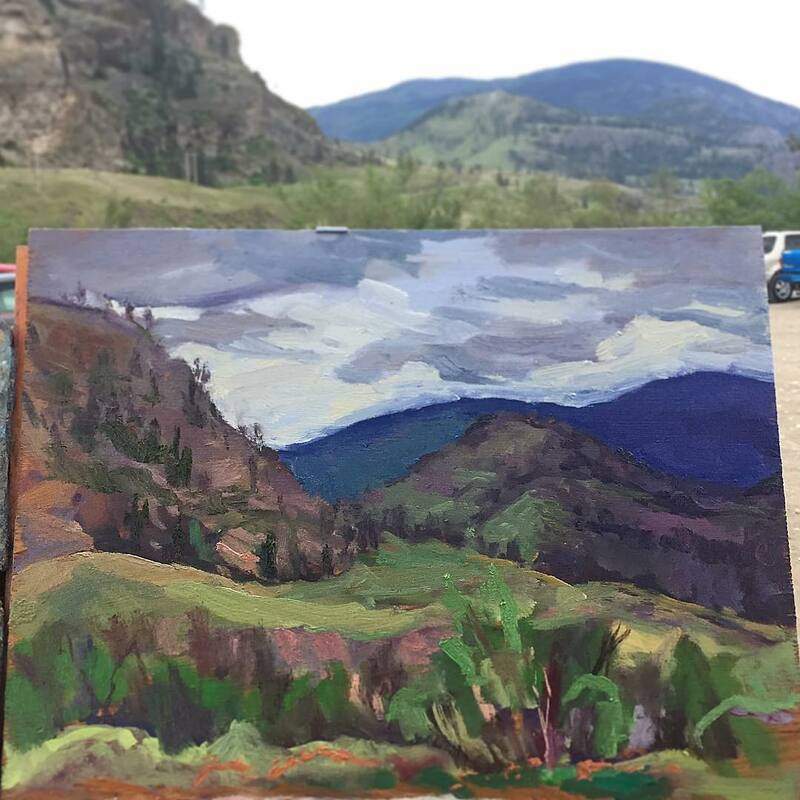 South at Nicola Lake. 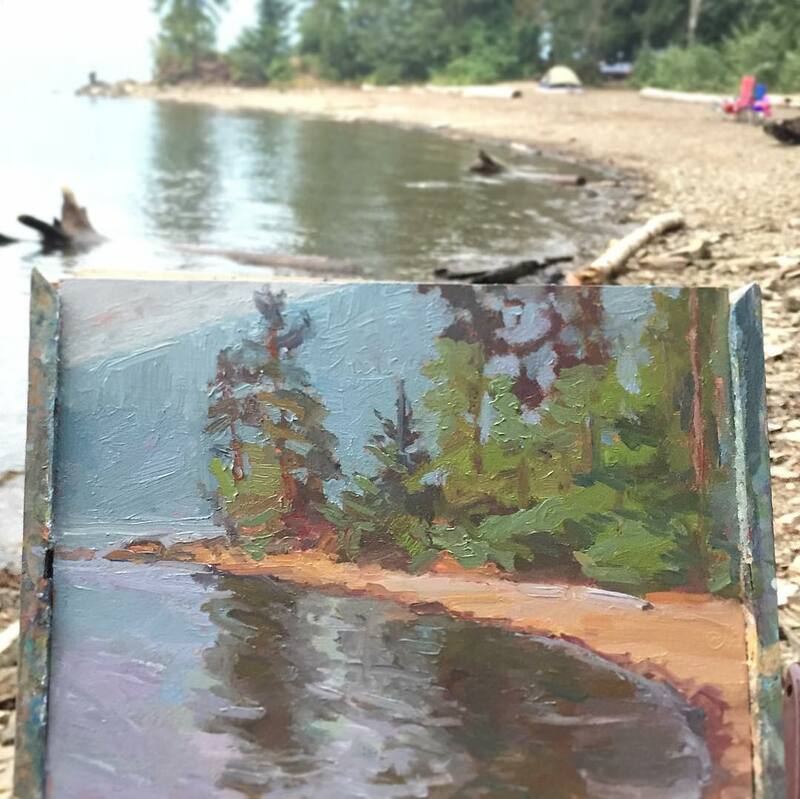 12 x 9. 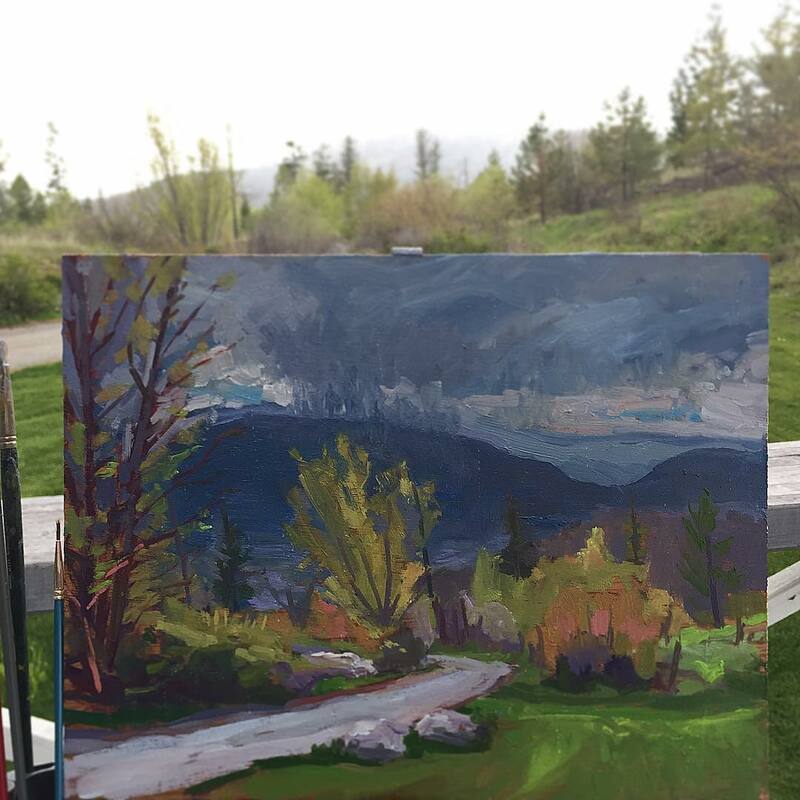 Monck Park Rd. 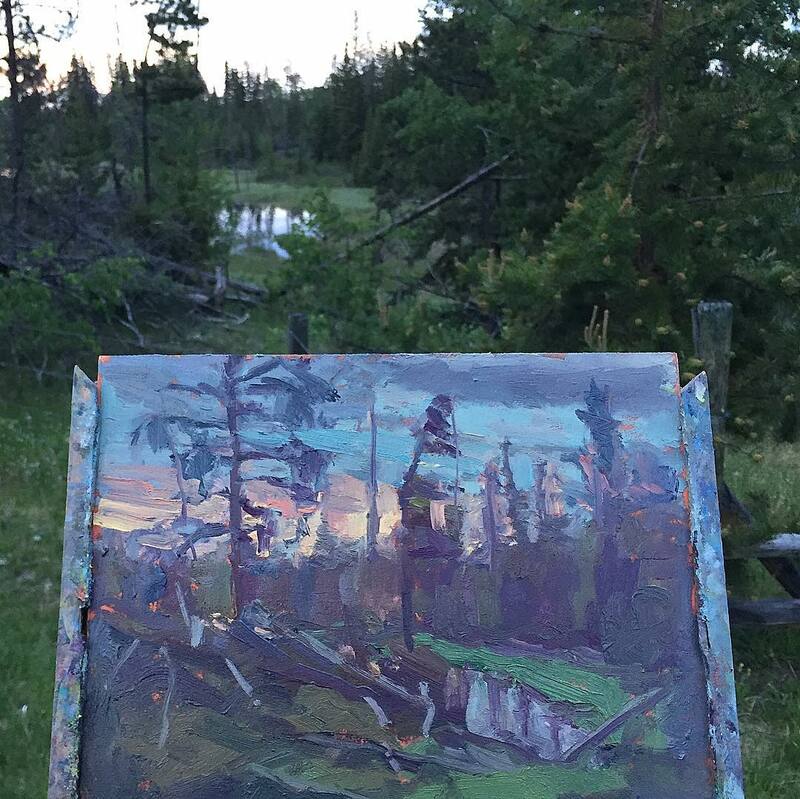 12 x 9. 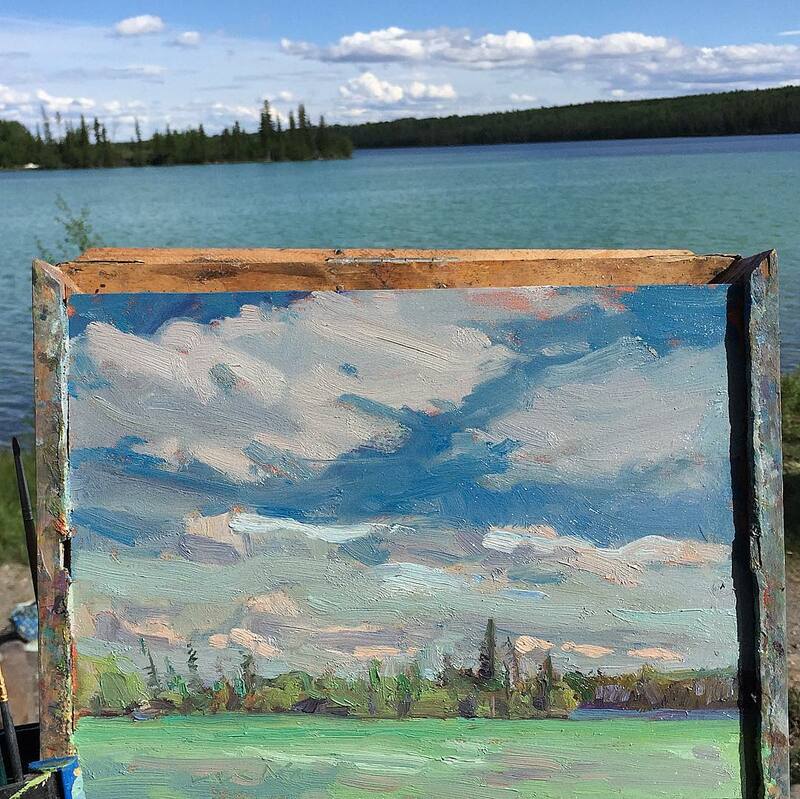 Nicola Lake. 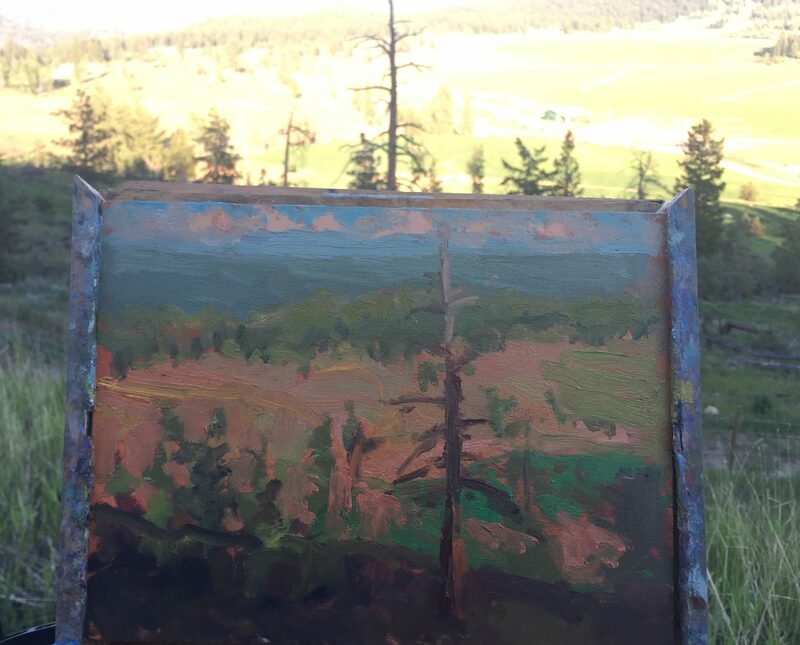 Lower Vantage Point. 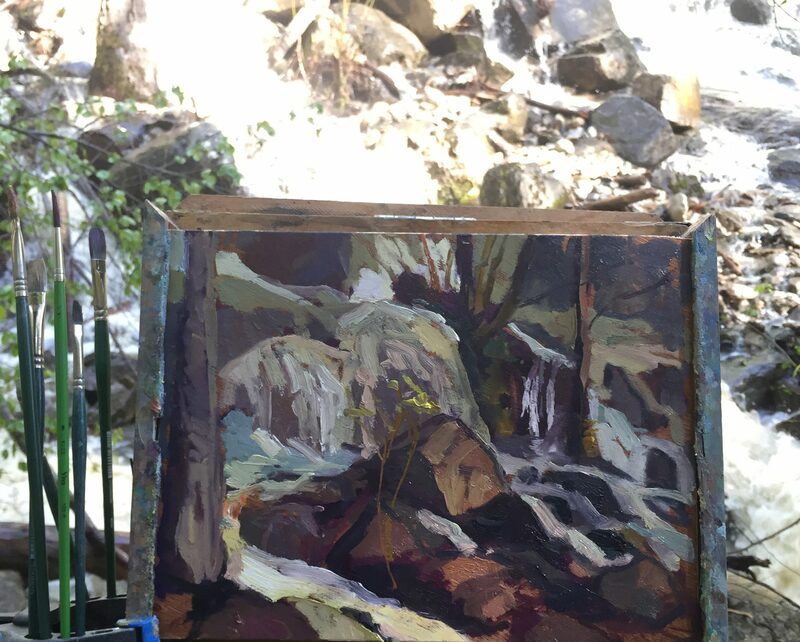 12 x 9. 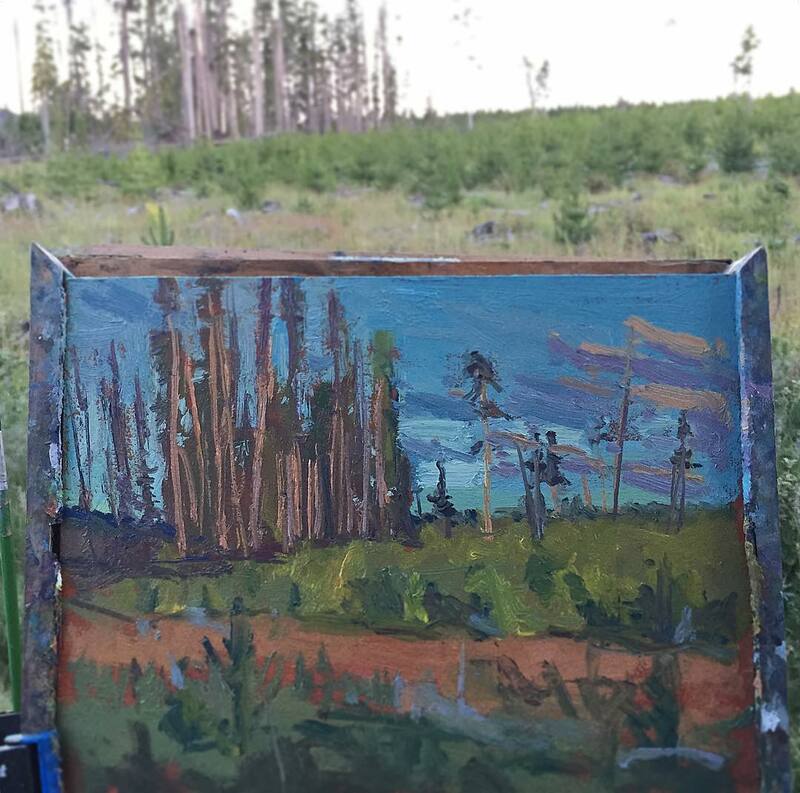 Dusk in the clear cut 12 x 9. 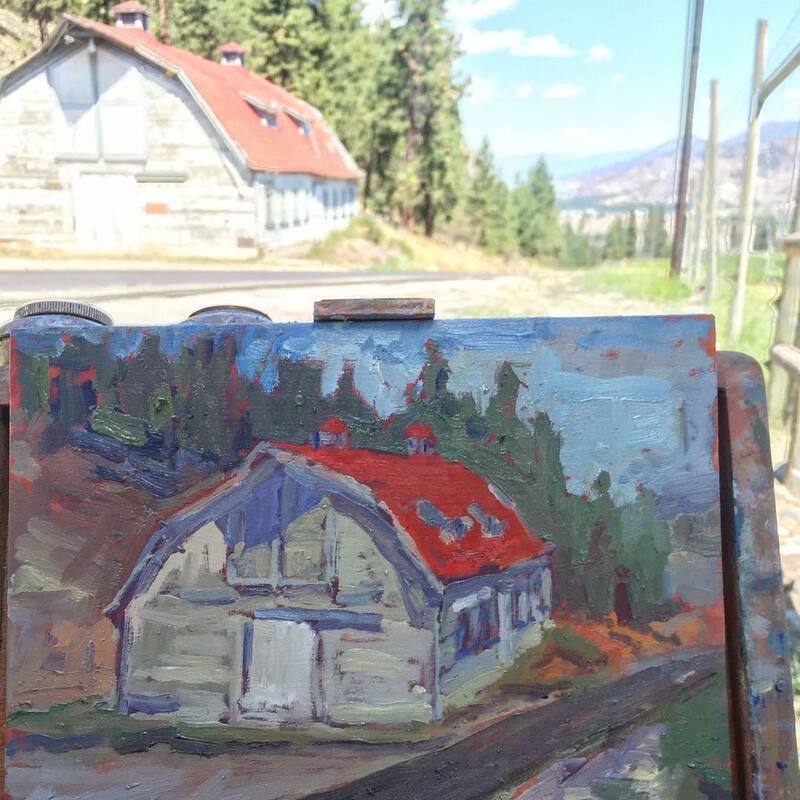 White barn. 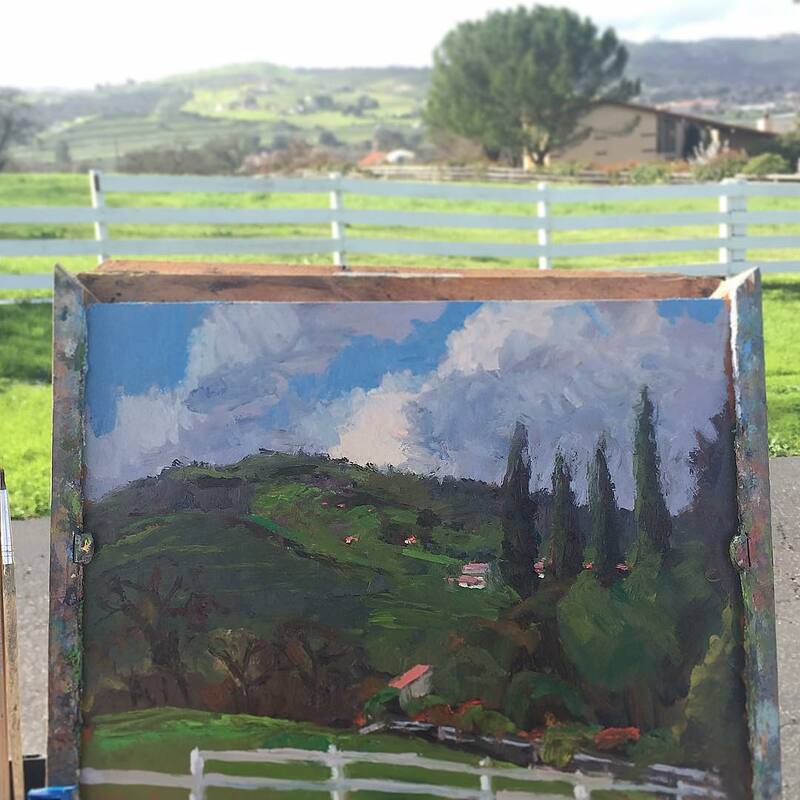 See you later ranch. 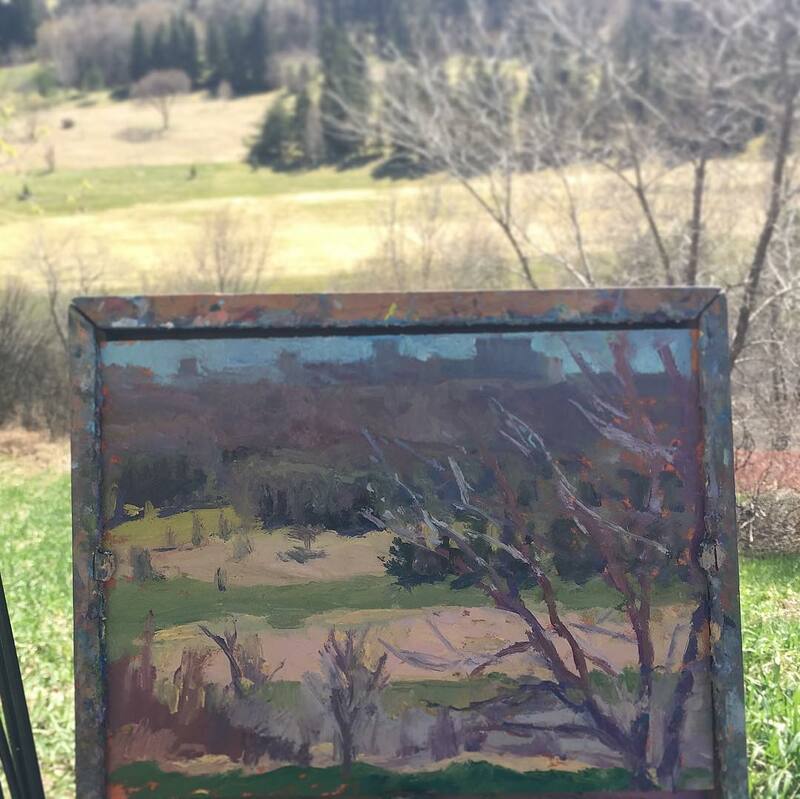 Contact Mark for pricing. 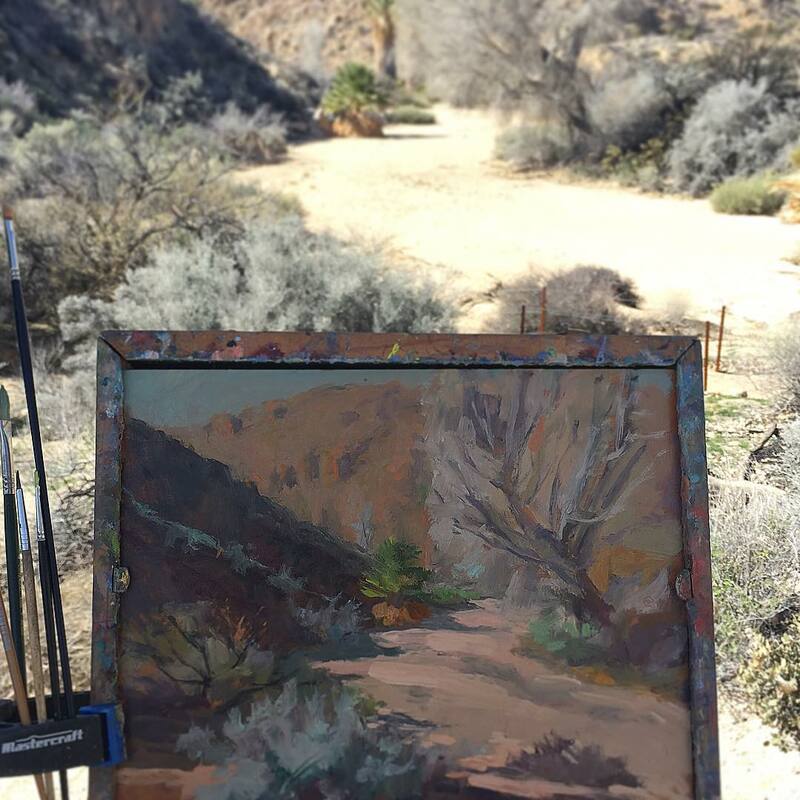 Include the title of painting in the message below.